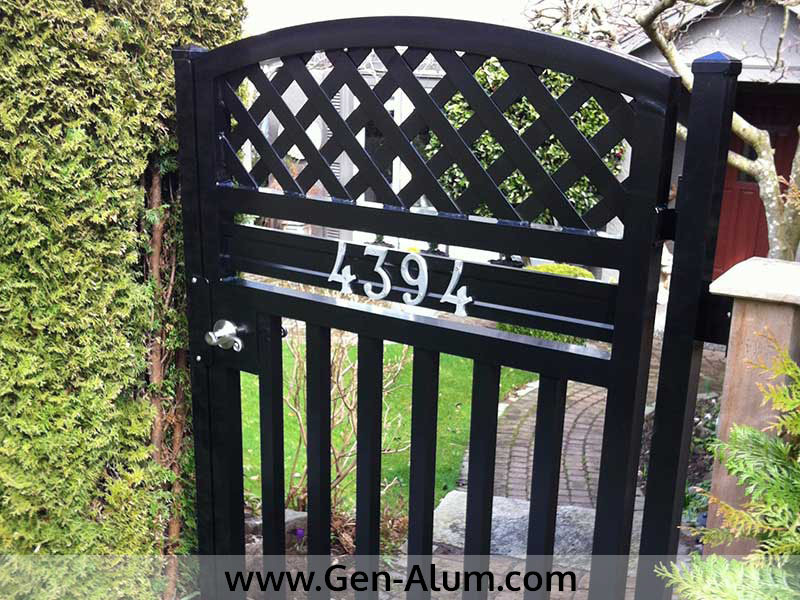 "serving the lower mainland since 1993"
*Custom colours available upon request. 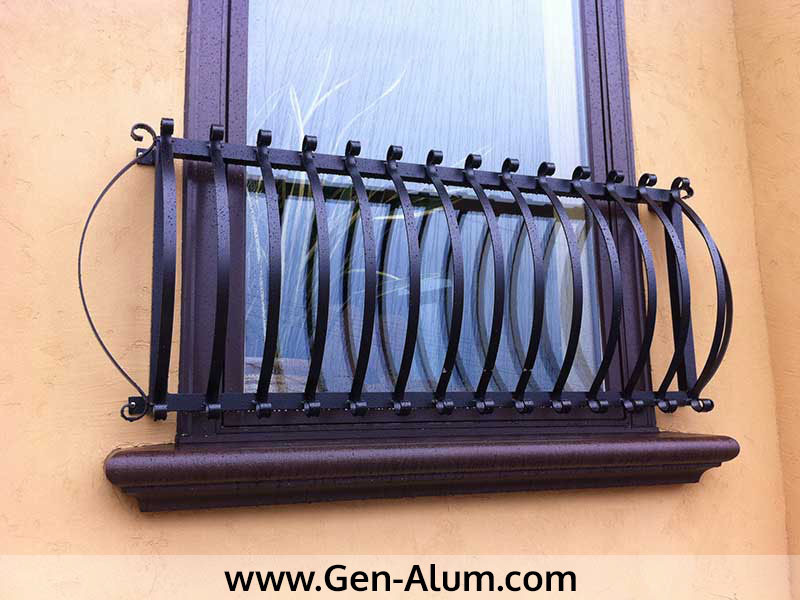 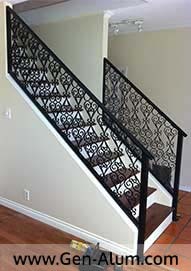 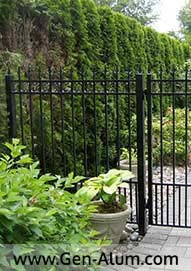 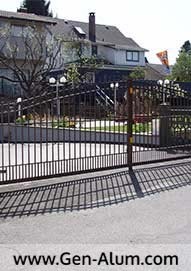 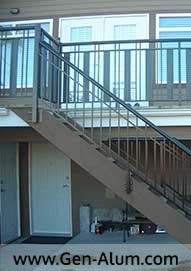 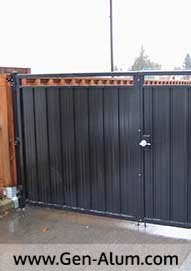 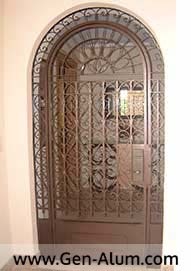 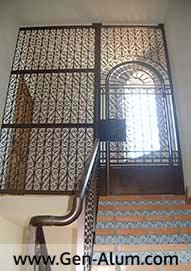 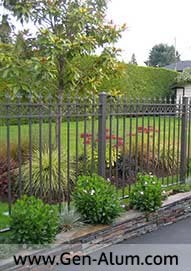 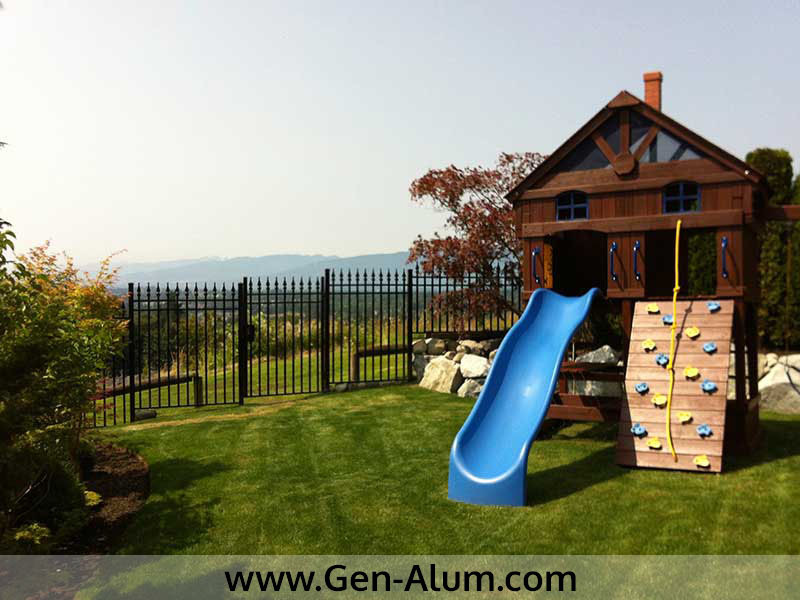 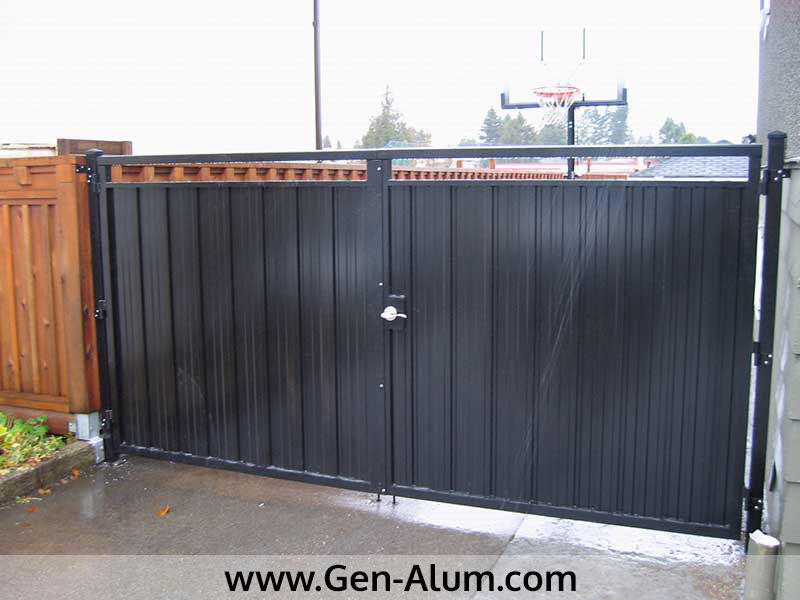 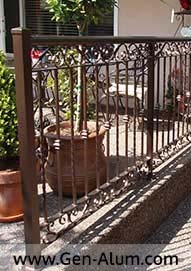 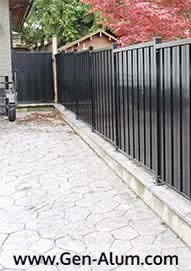 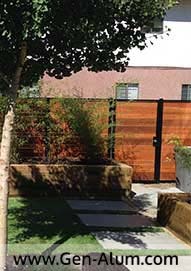 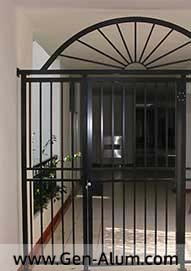 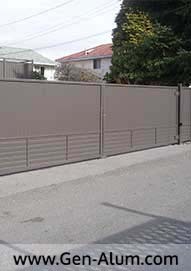 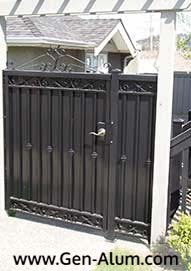 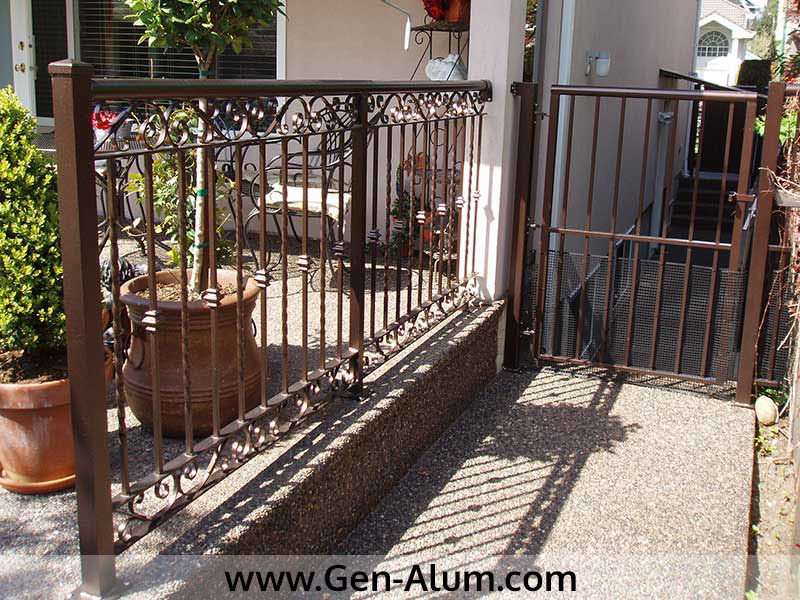 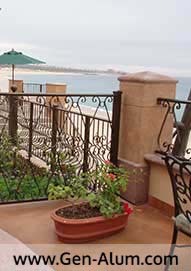 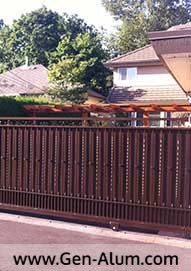 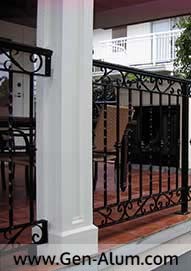 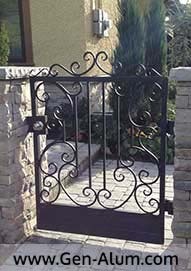 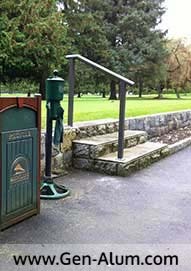 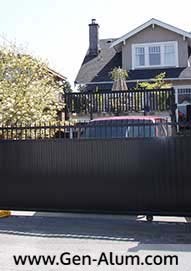 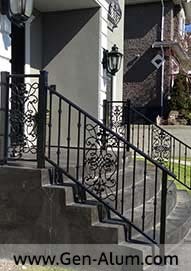 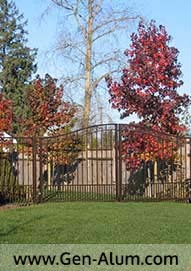 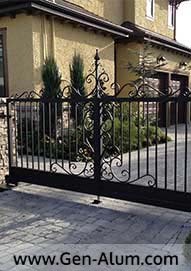 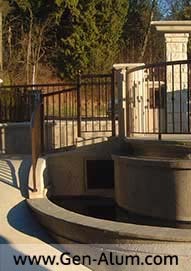 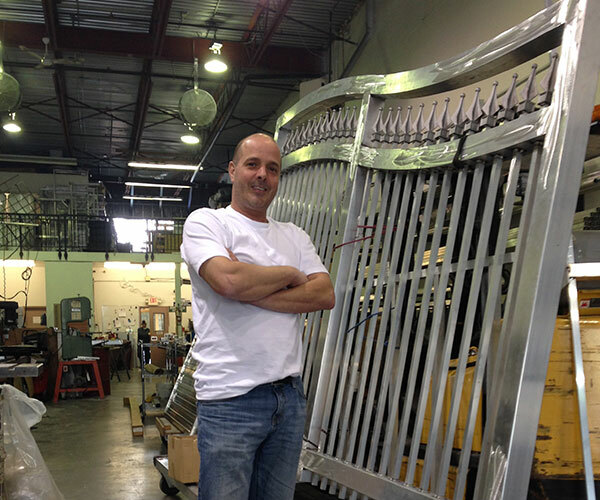 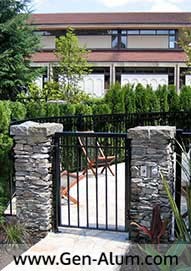 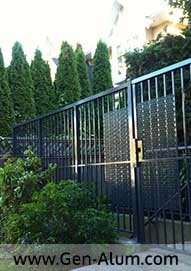 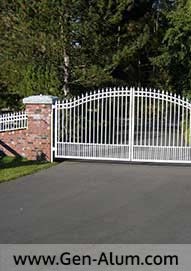 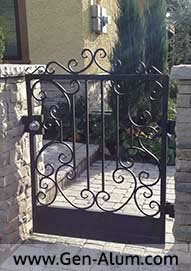 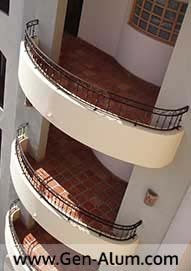 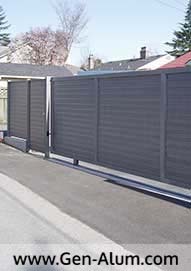 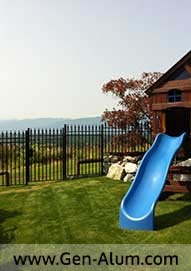 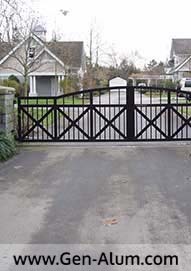 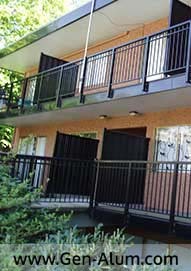 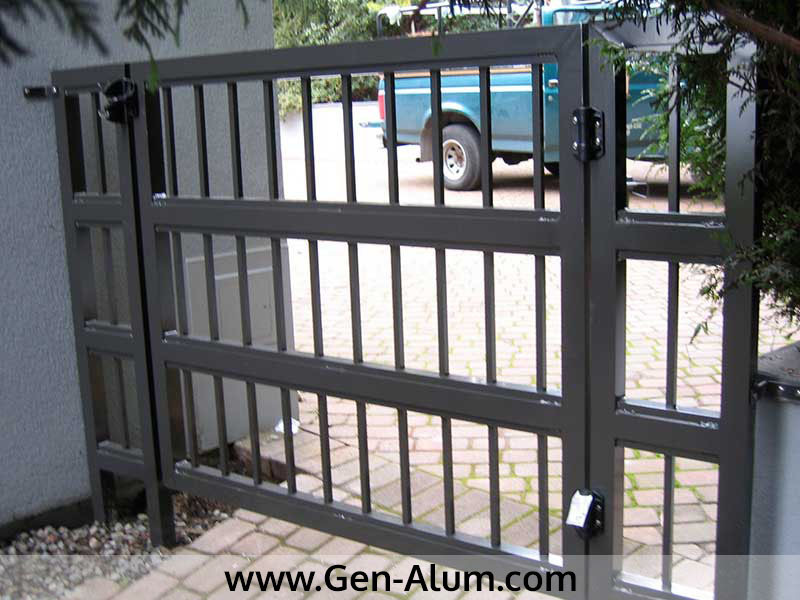 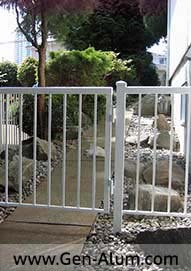 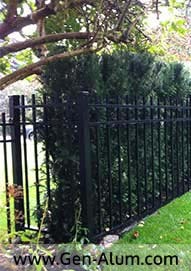 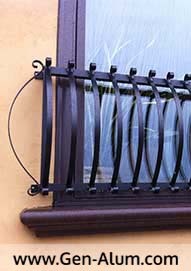 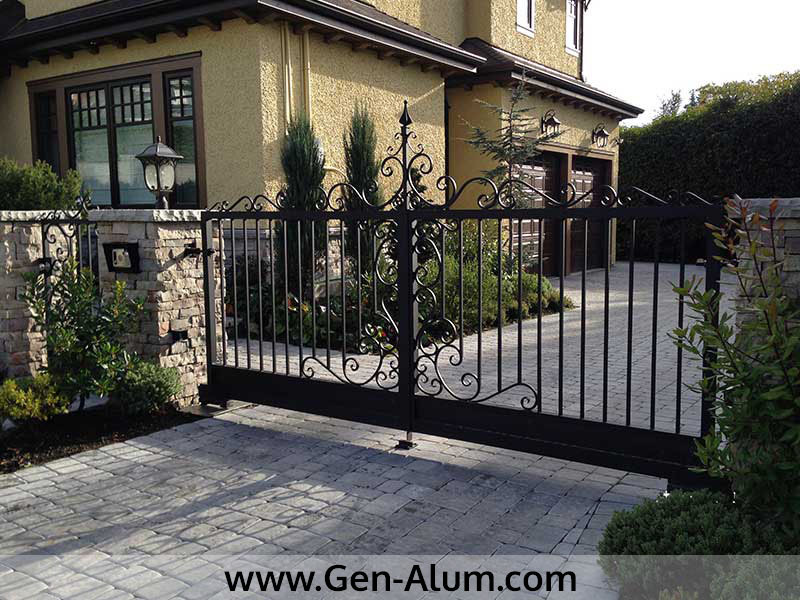 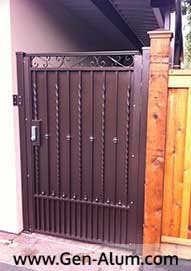 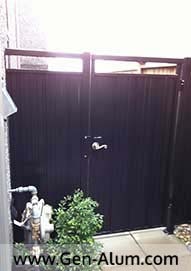 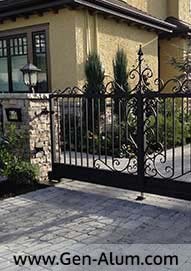 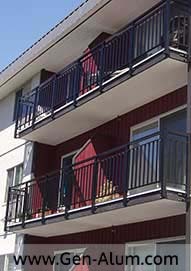 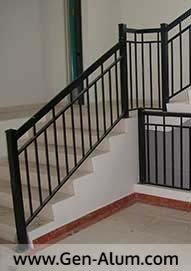 Is a manufacturer of high quality custom welded railings, fencing, gates, and other aluminum railing solutions. 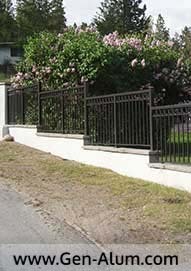 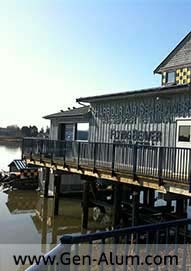 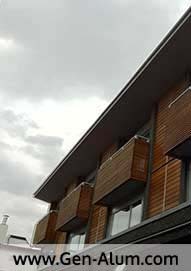 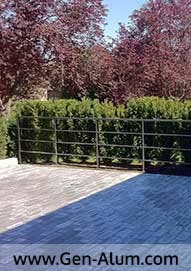 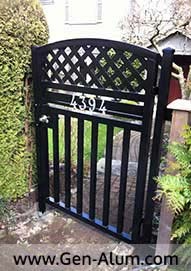 We have shipped railings worldwide and would be pleased to quote on all of your requirements, regardless of the size of your project. 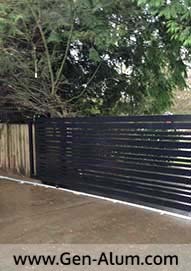 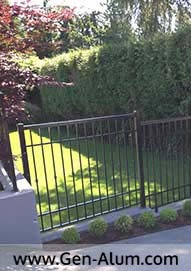 For all your railing, fencing and gates. 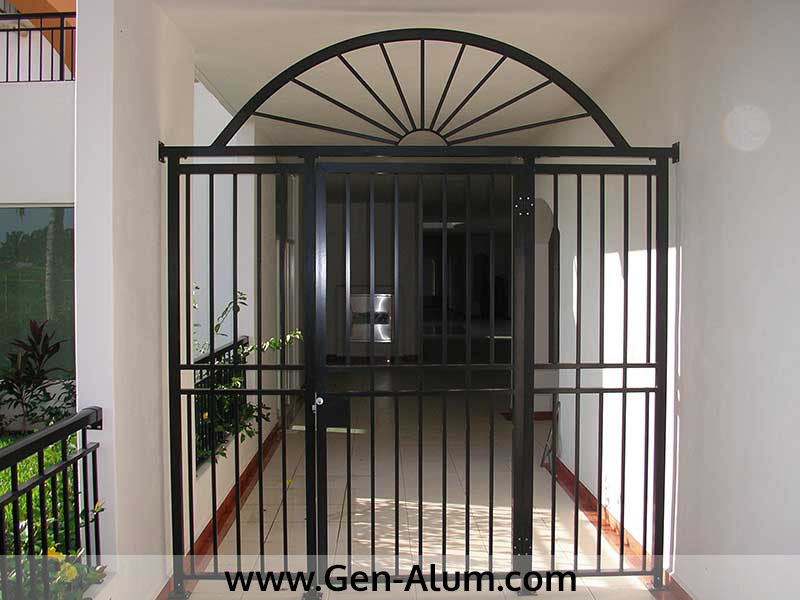 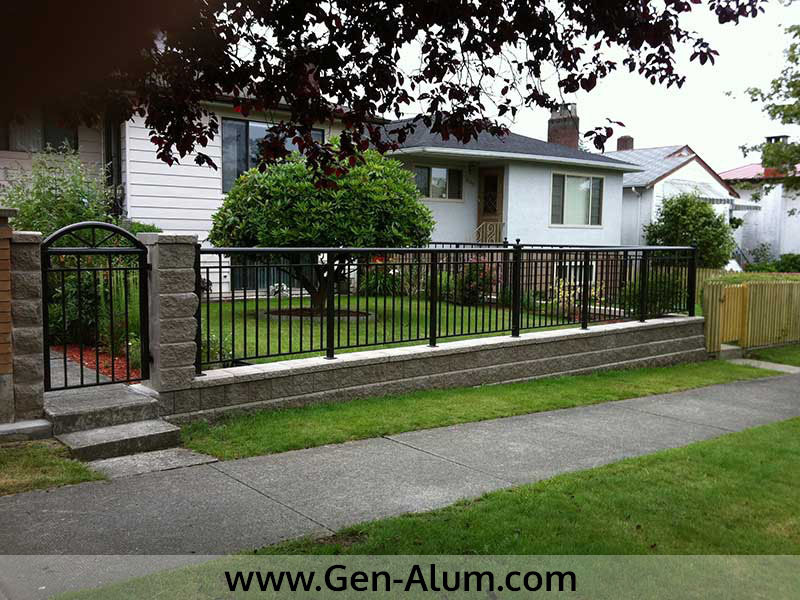 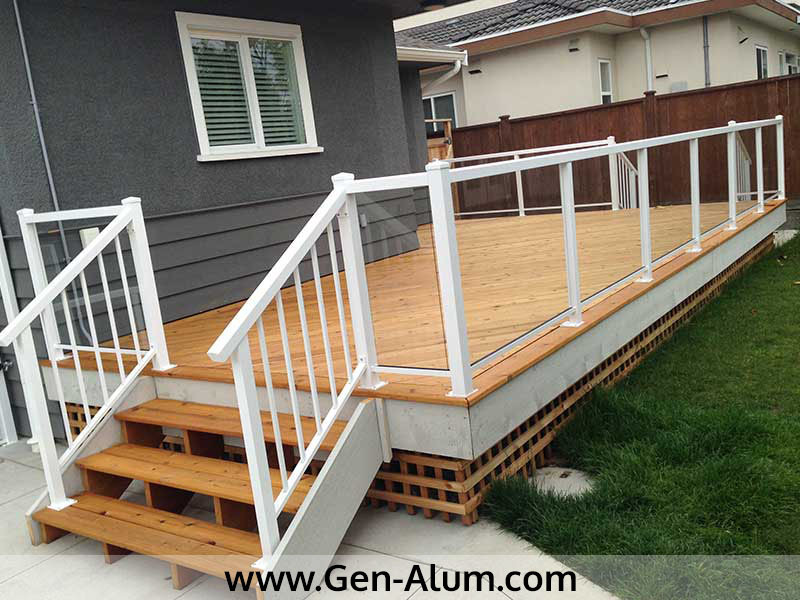 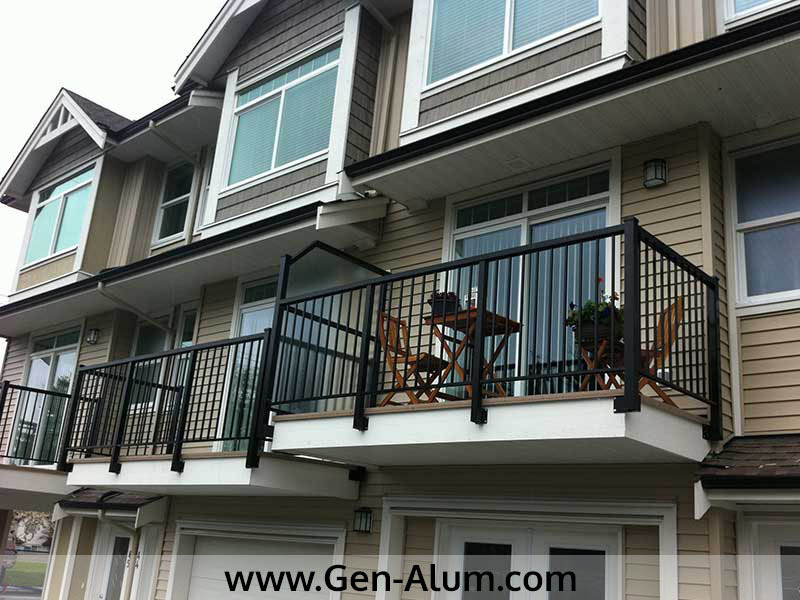 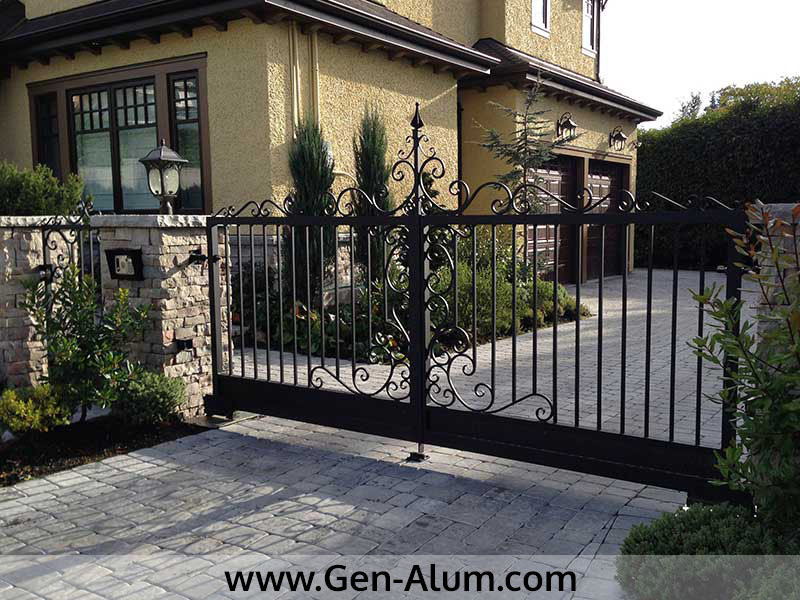 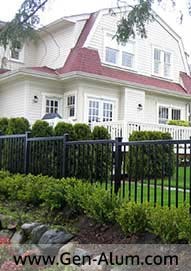 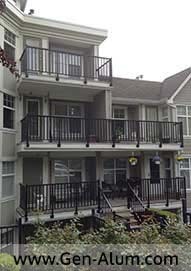 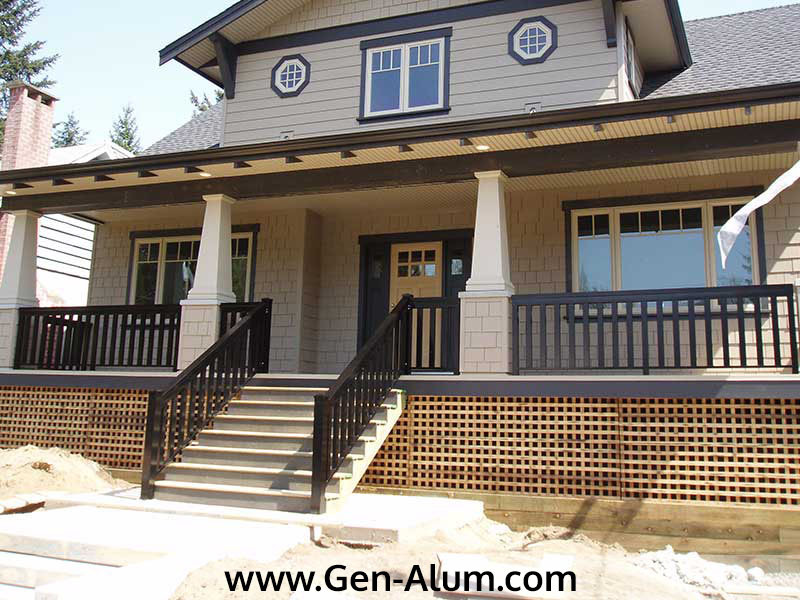 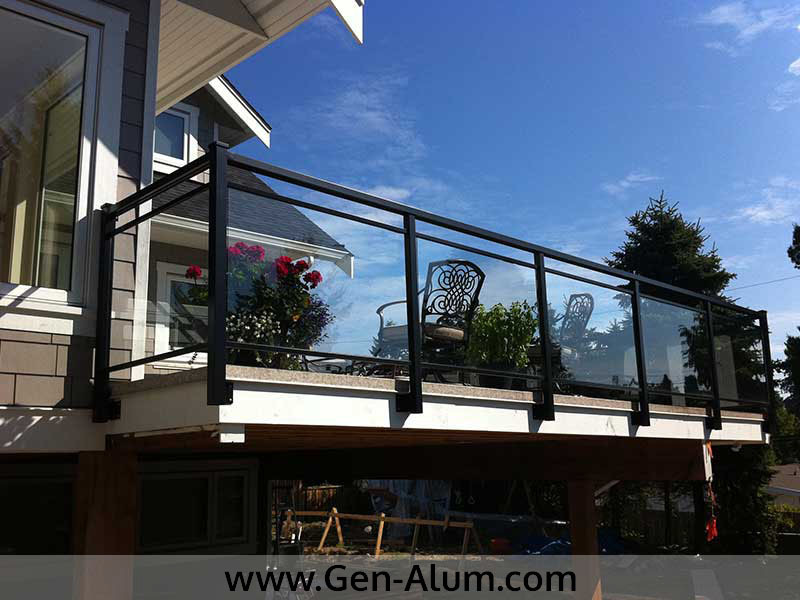 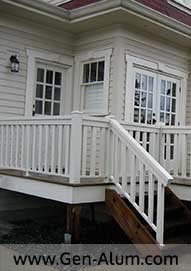 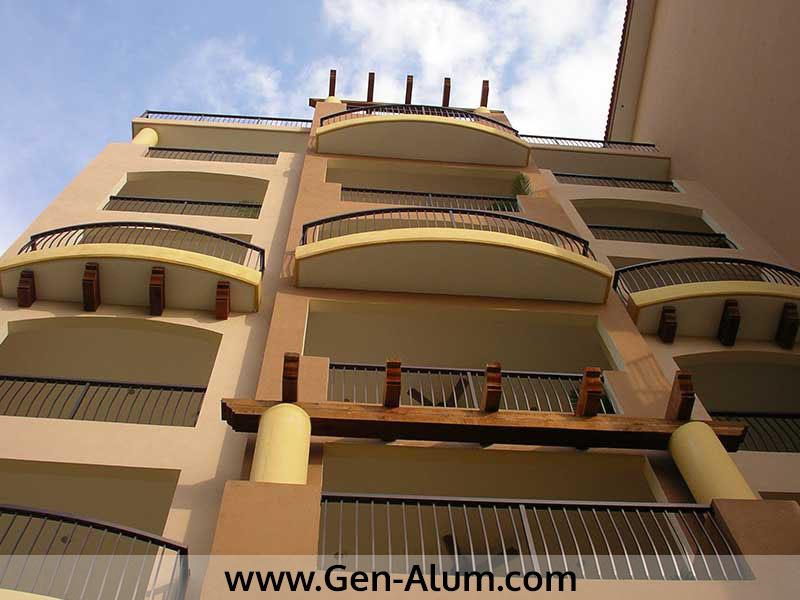 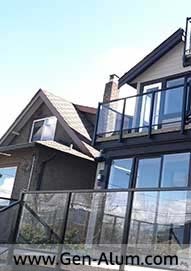 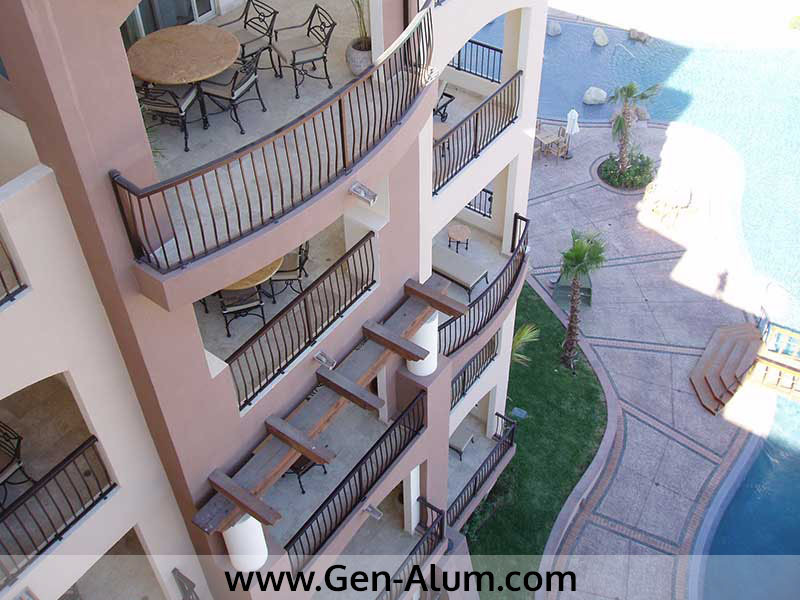 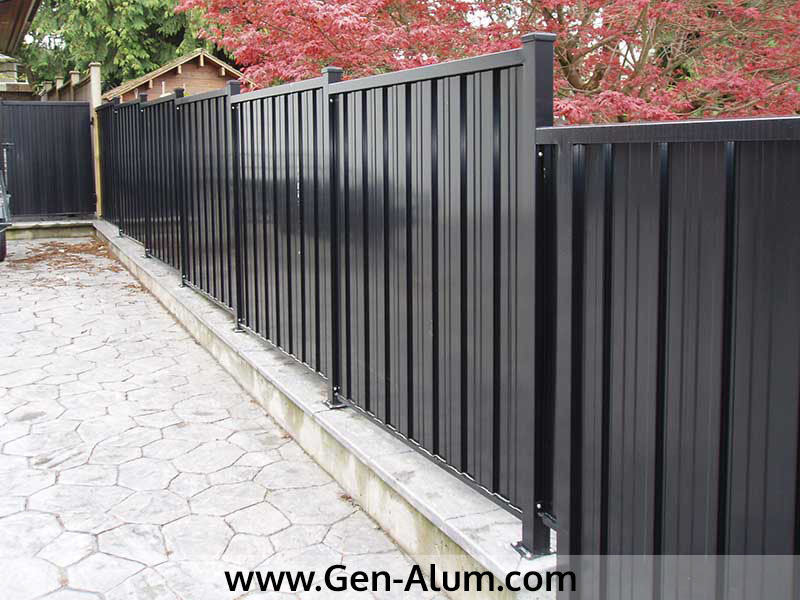 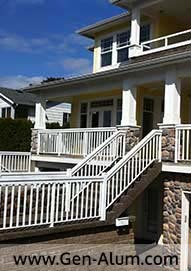 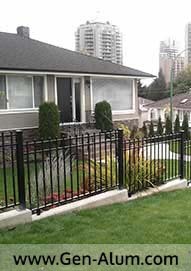 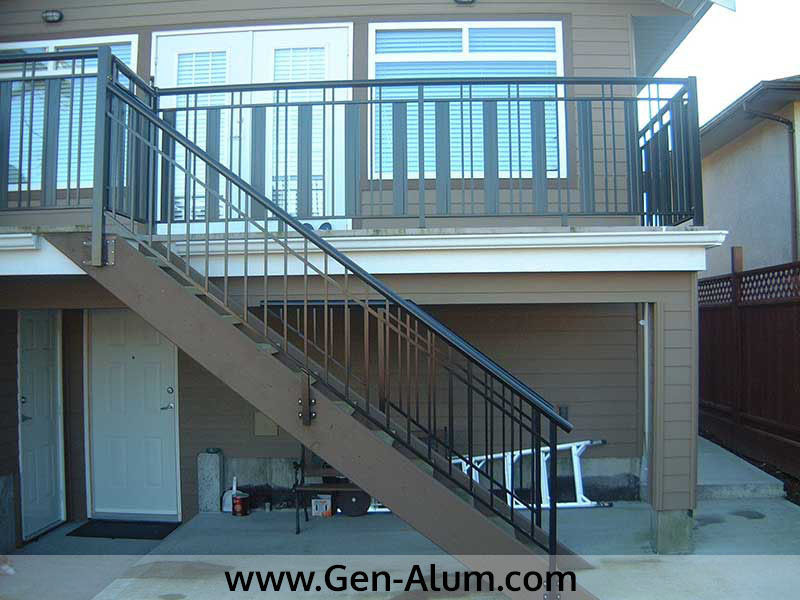 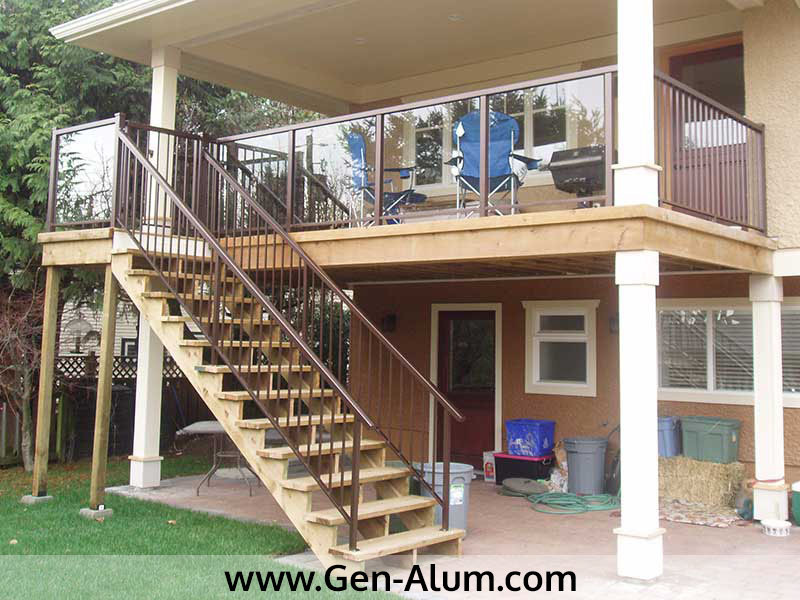 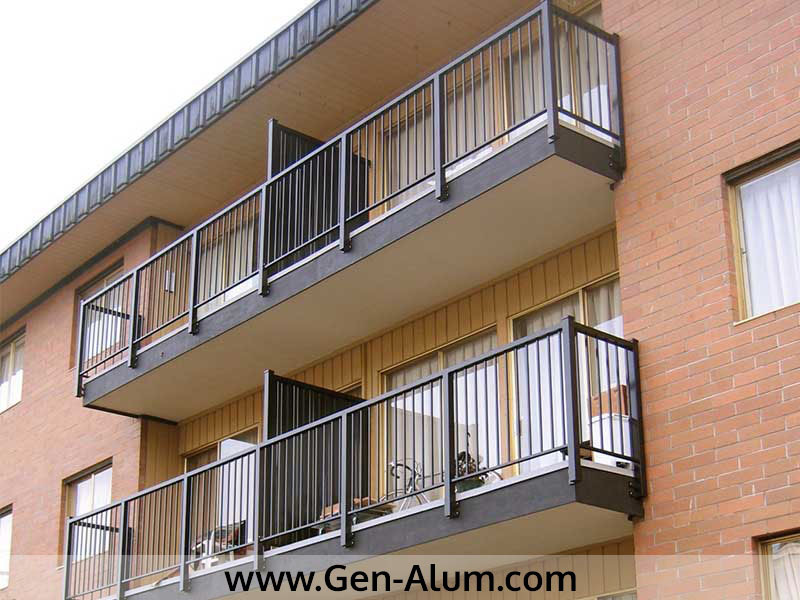 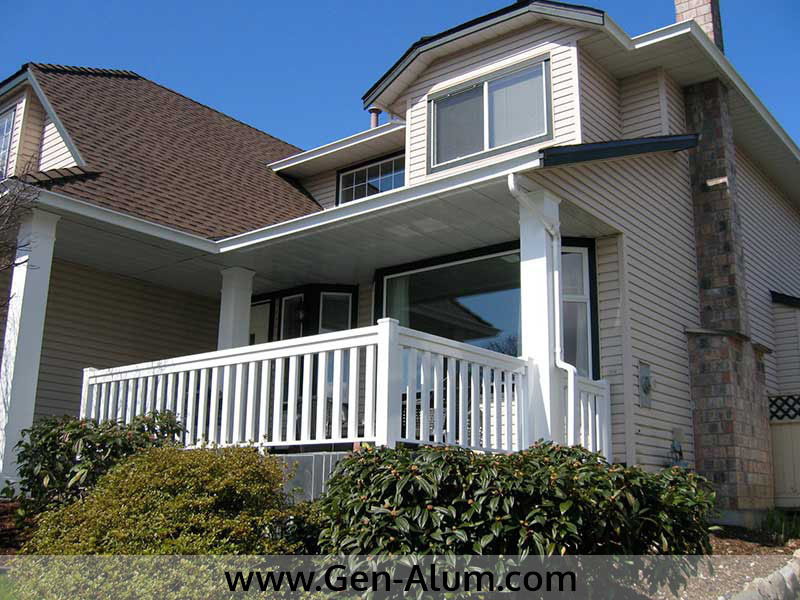 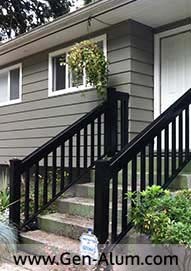 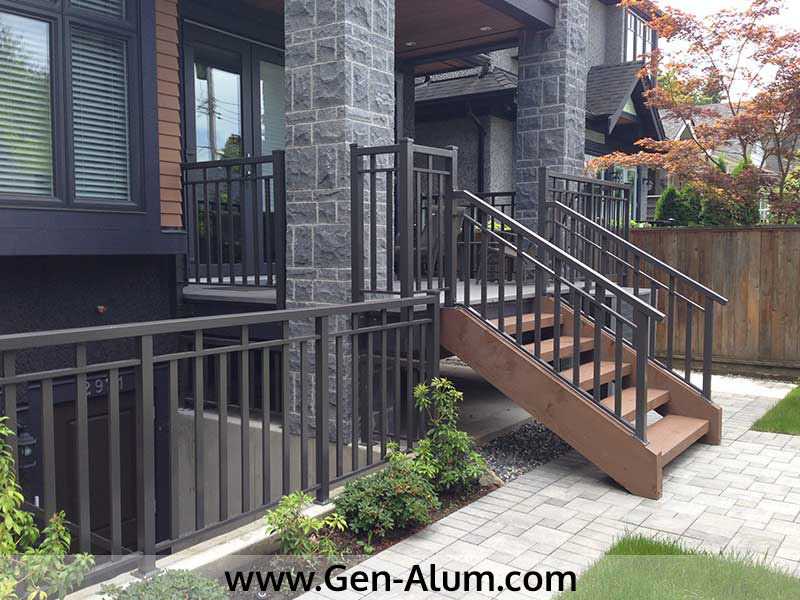 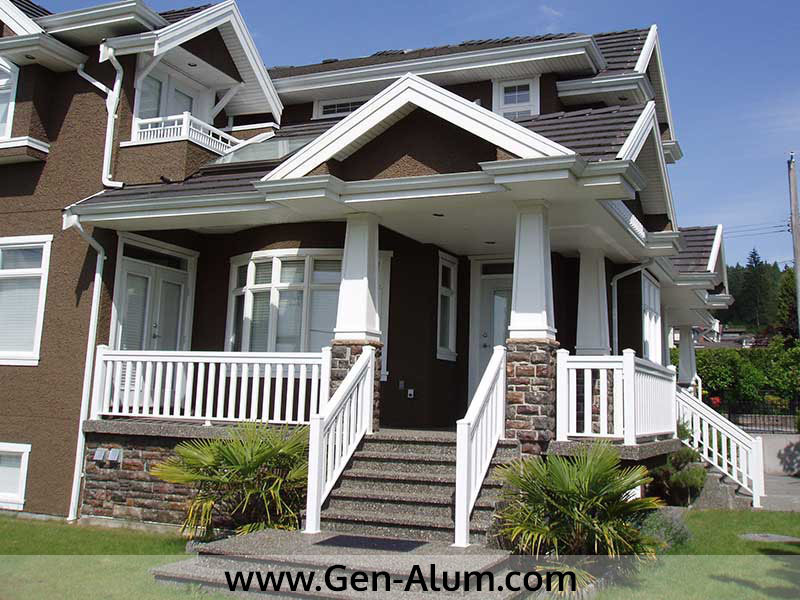 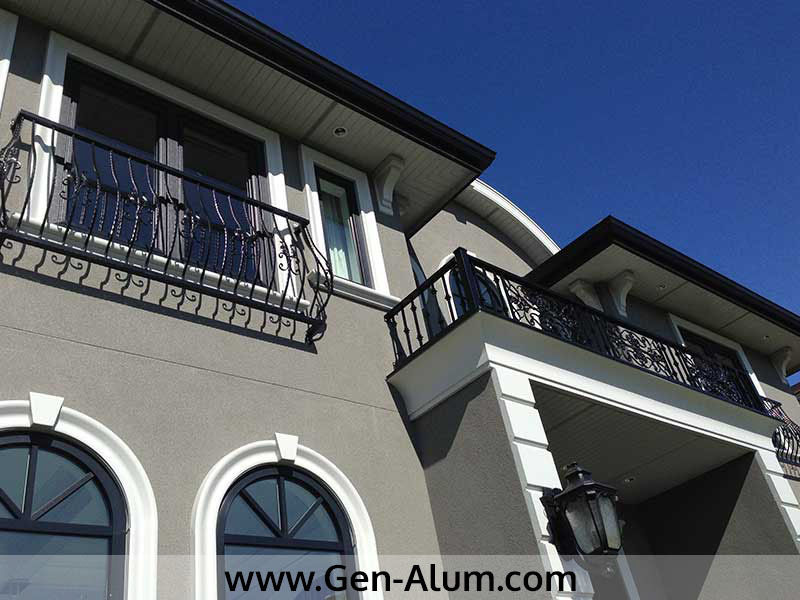 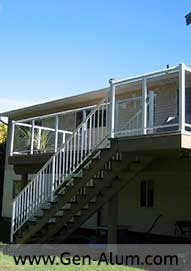 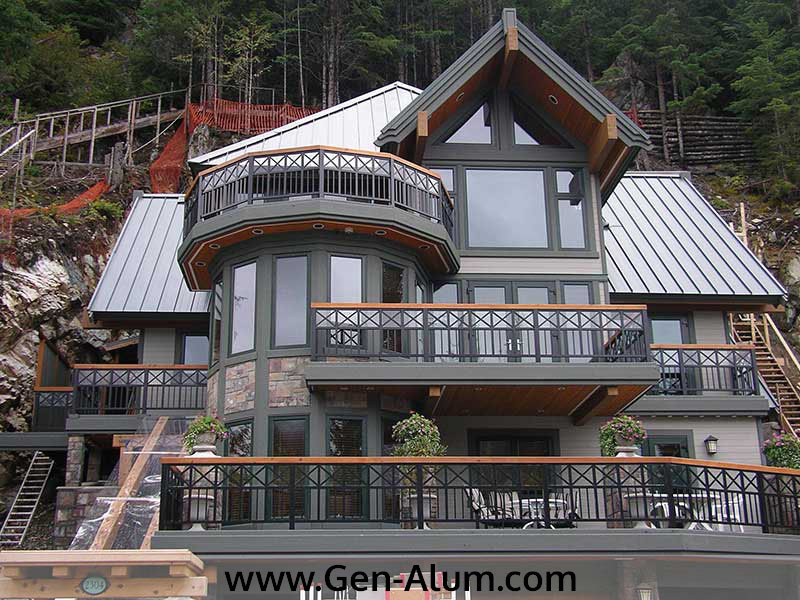 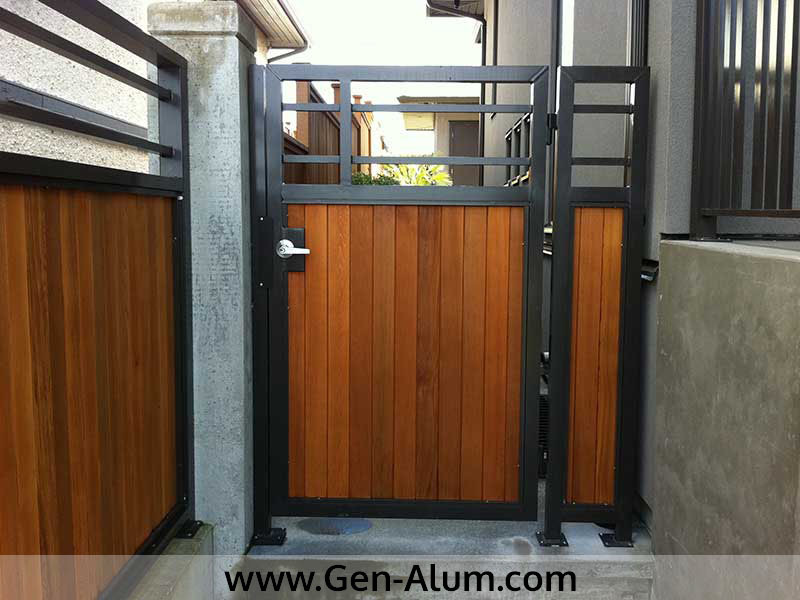 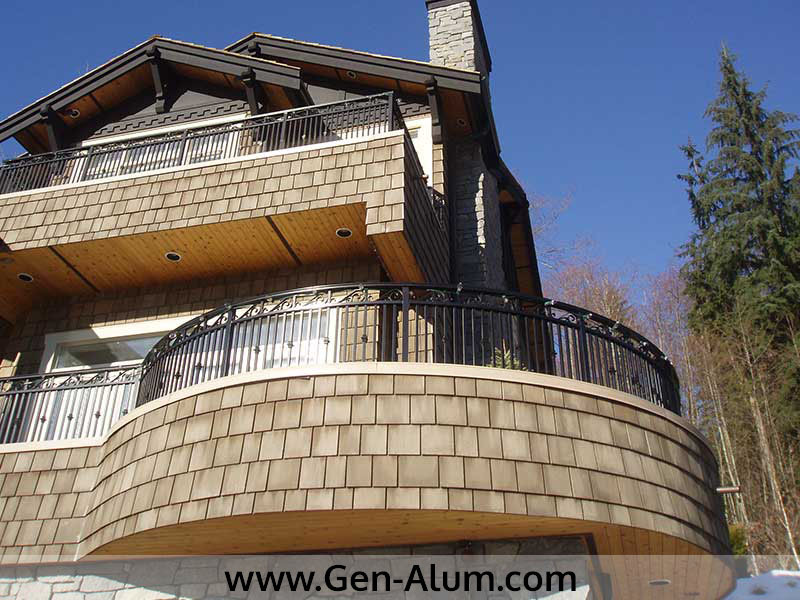 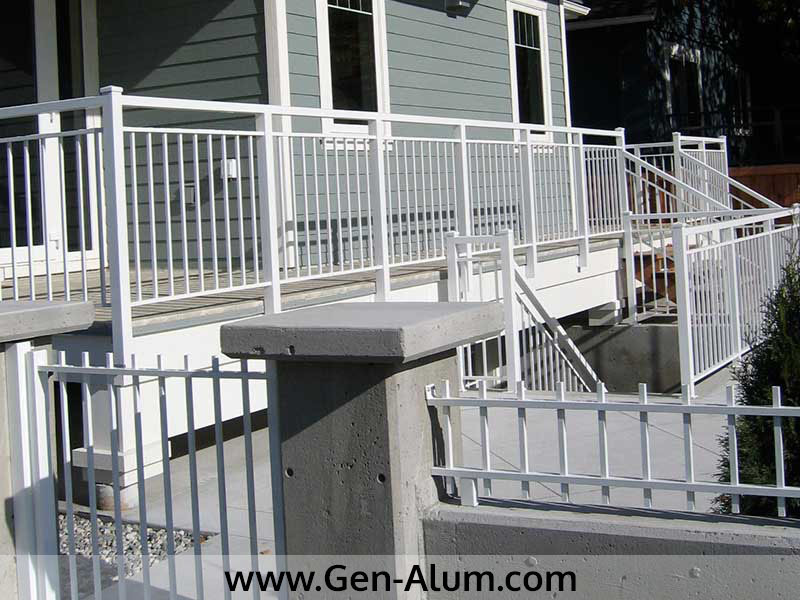 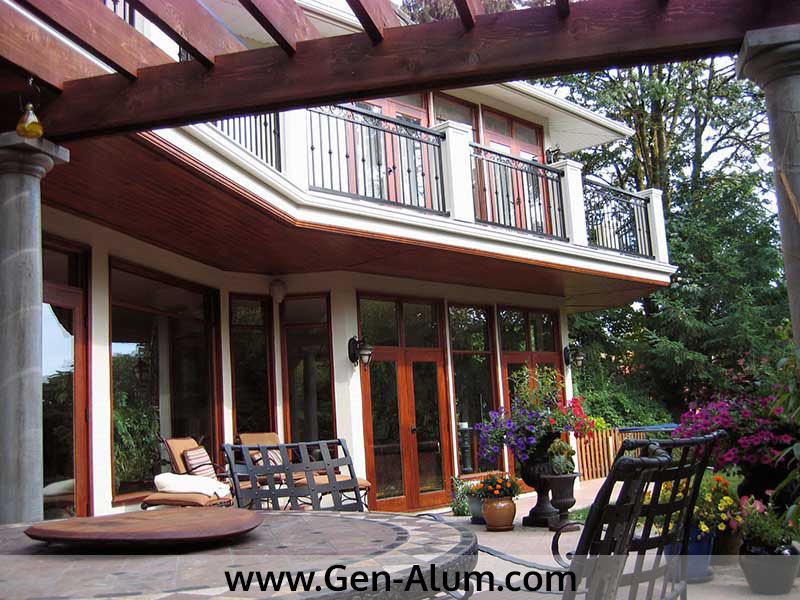 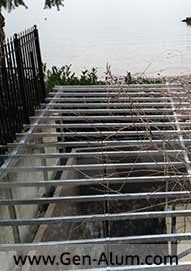 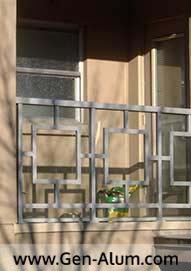 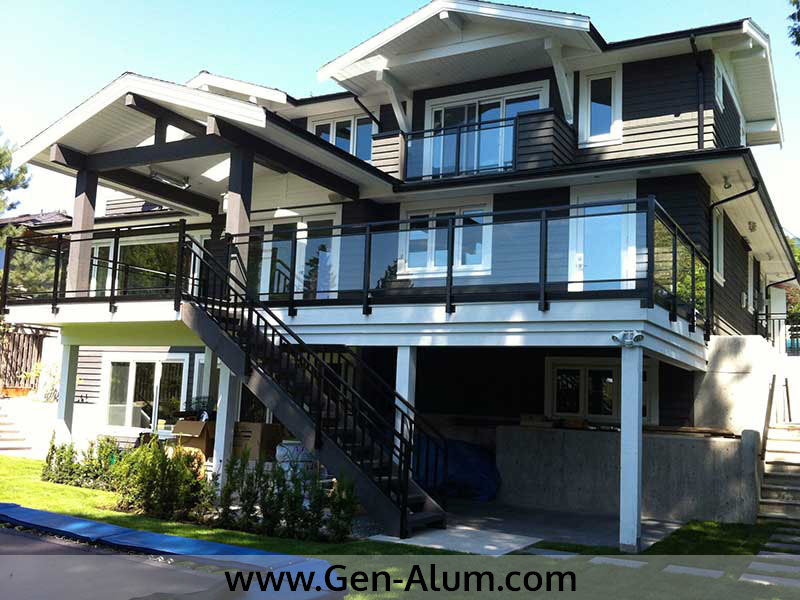 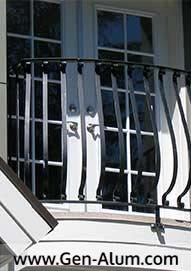 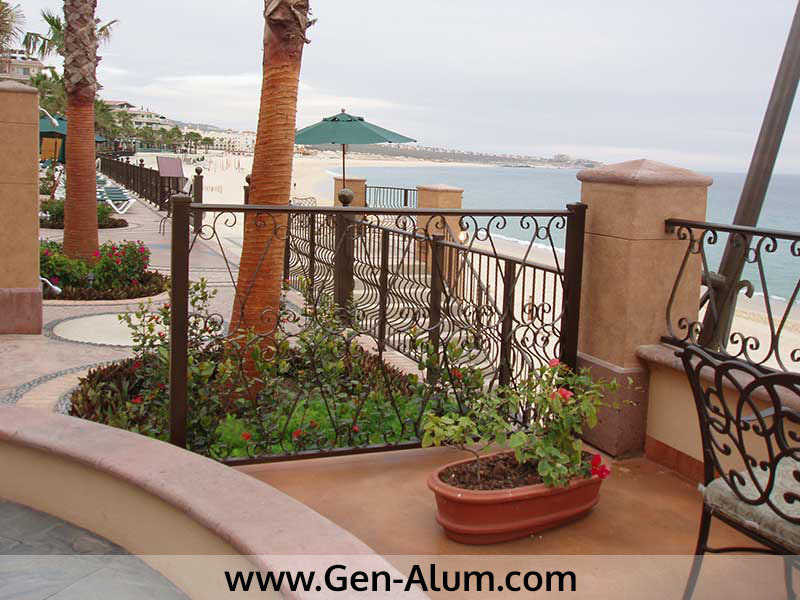 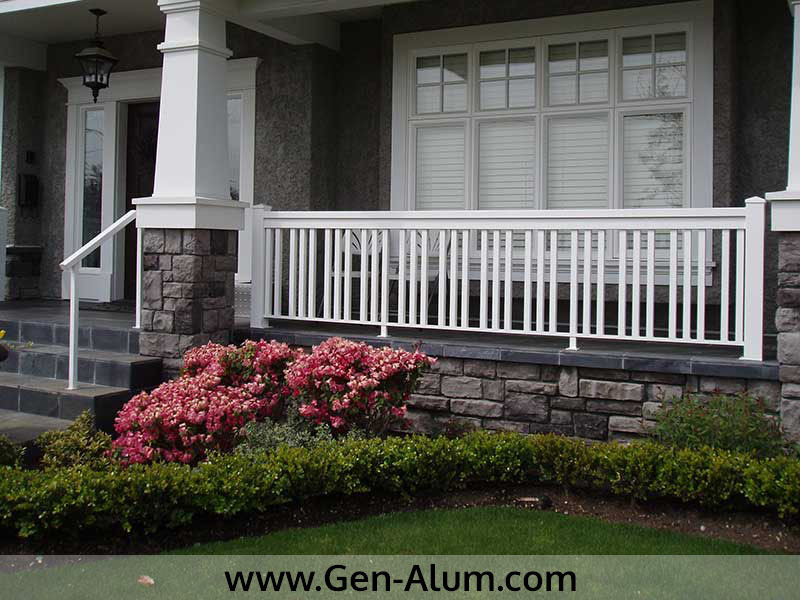 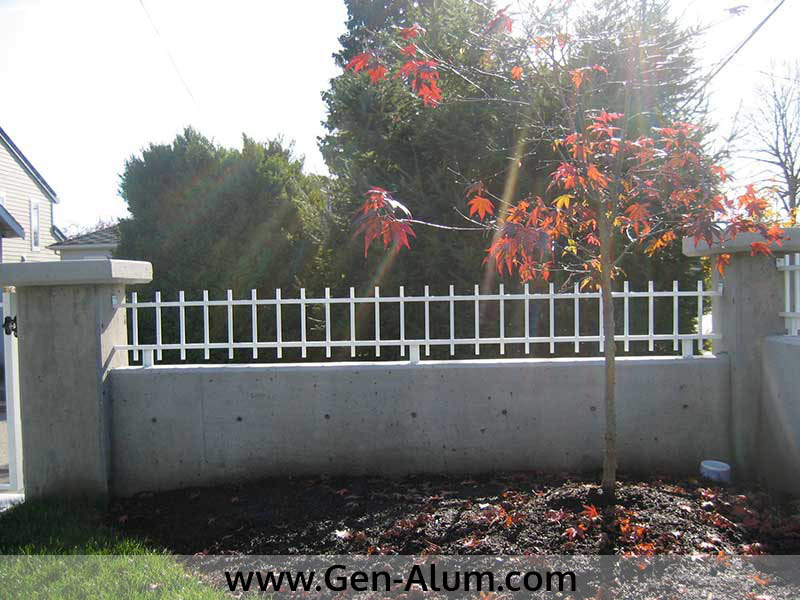 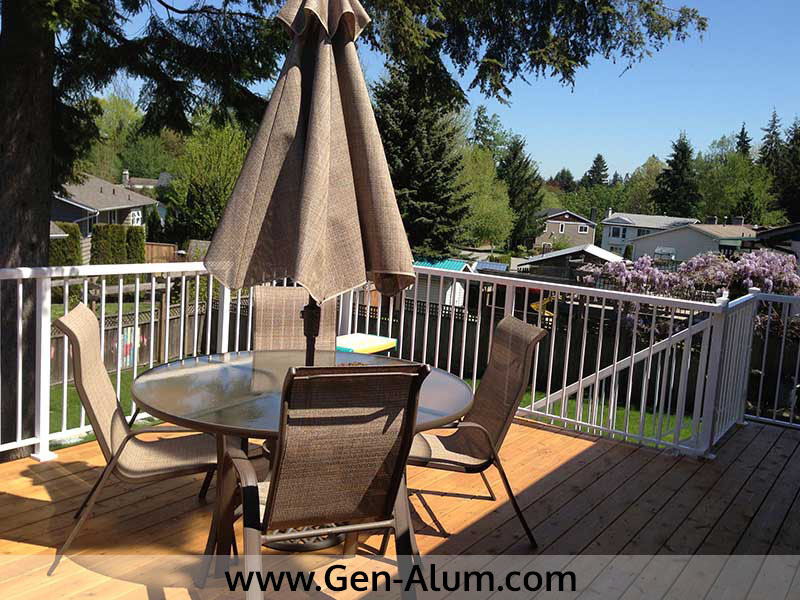 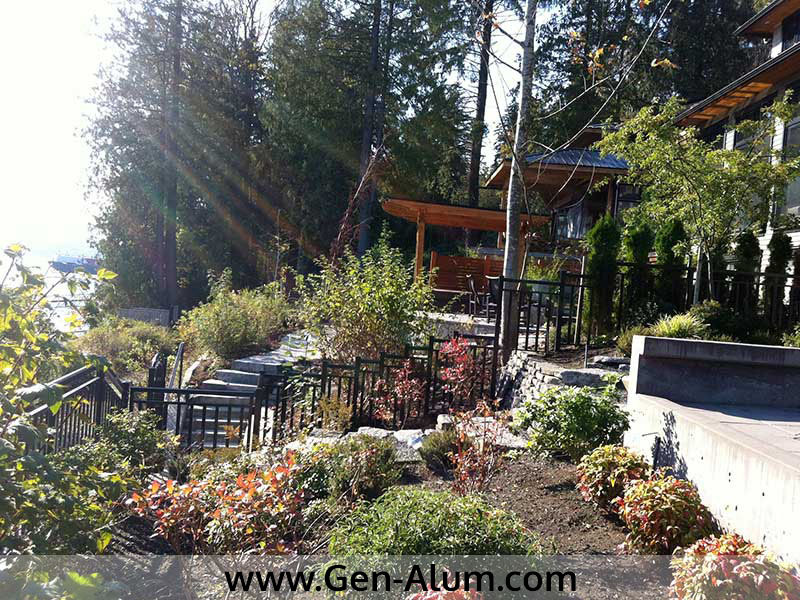 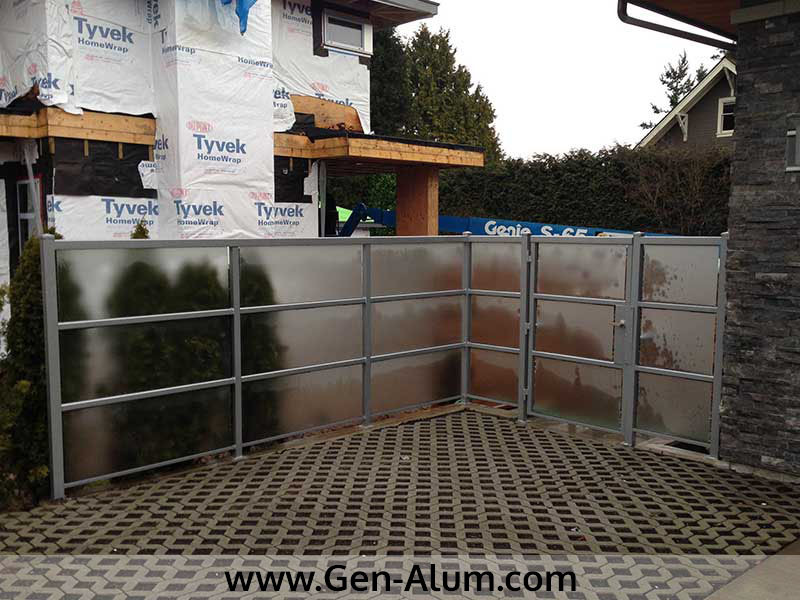 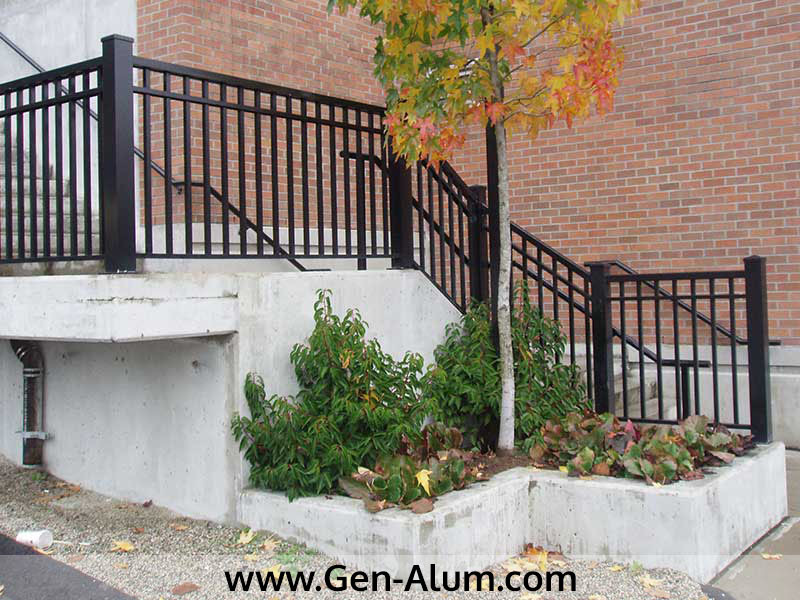 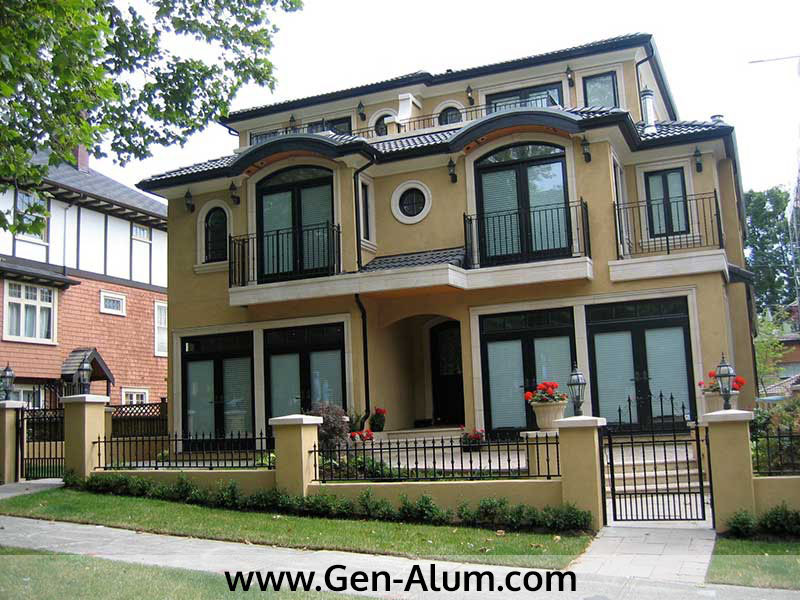 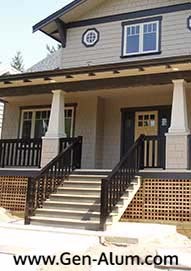 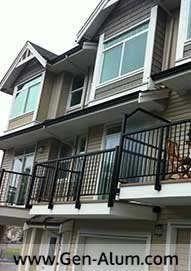 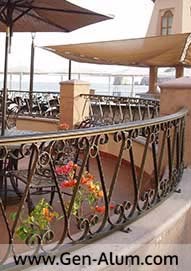 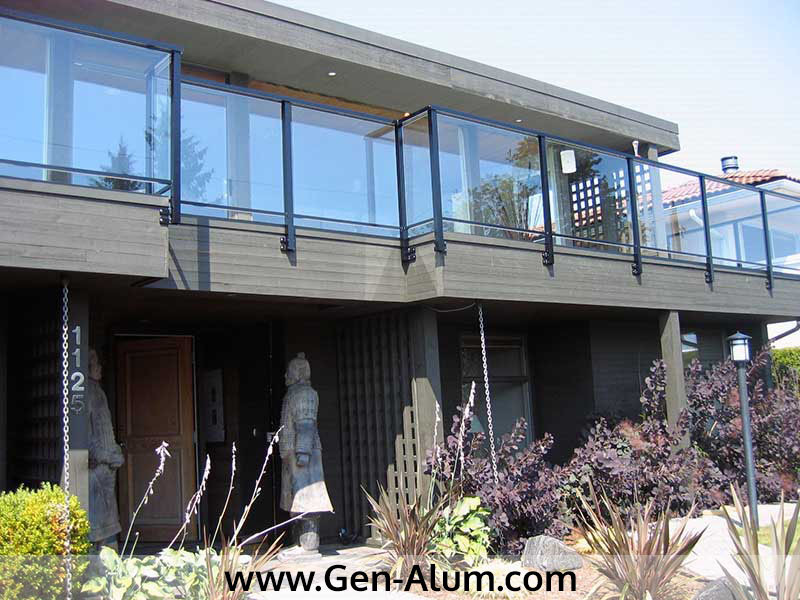 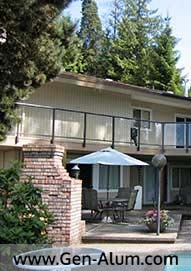 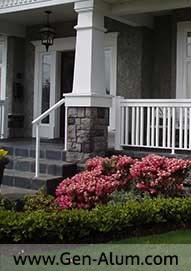 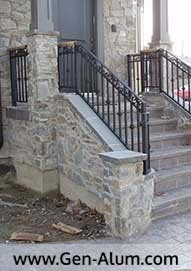 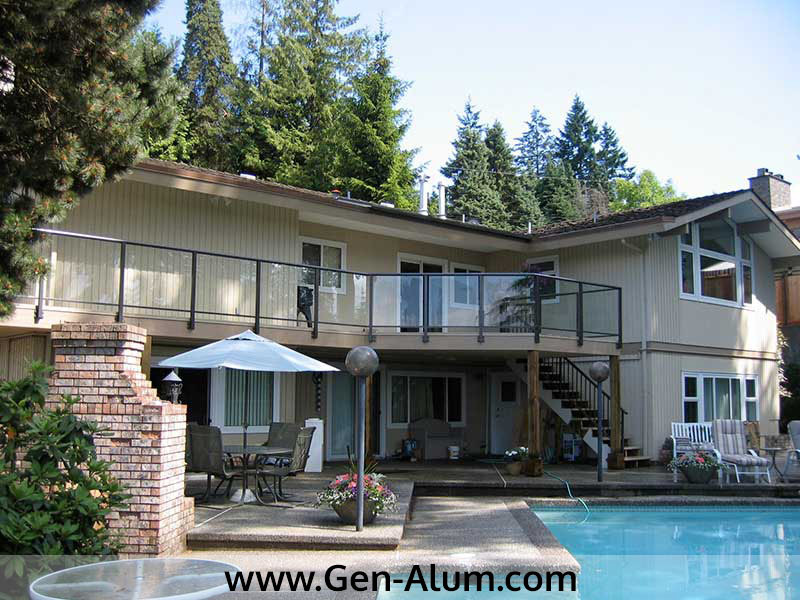 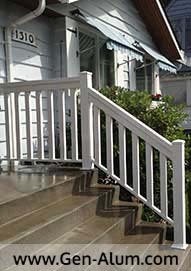 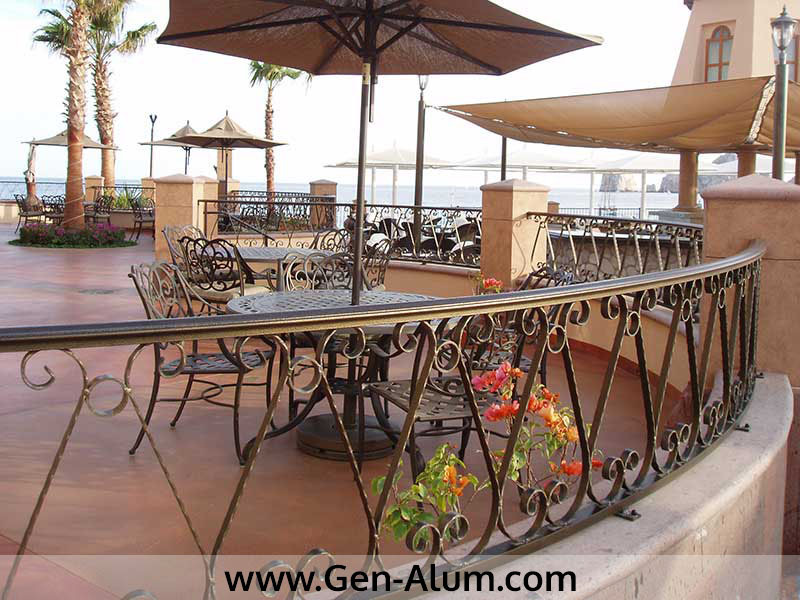 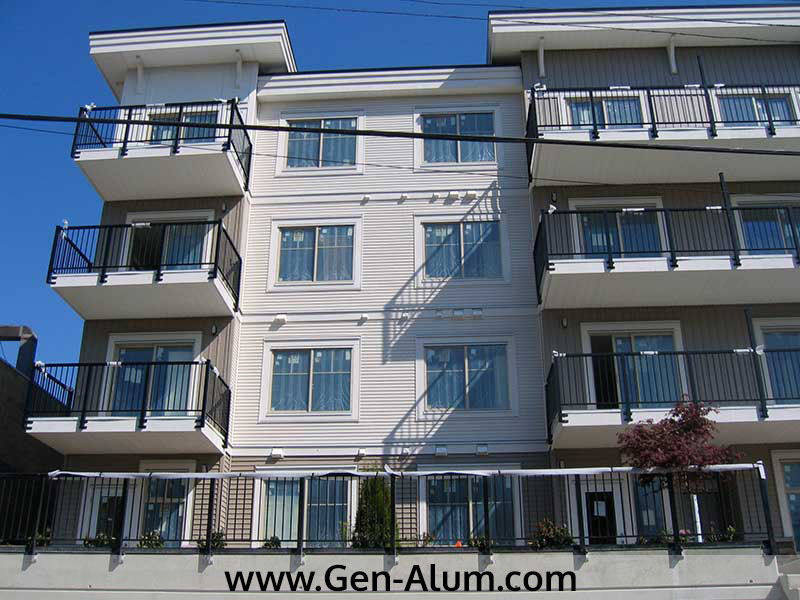 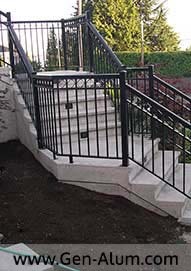 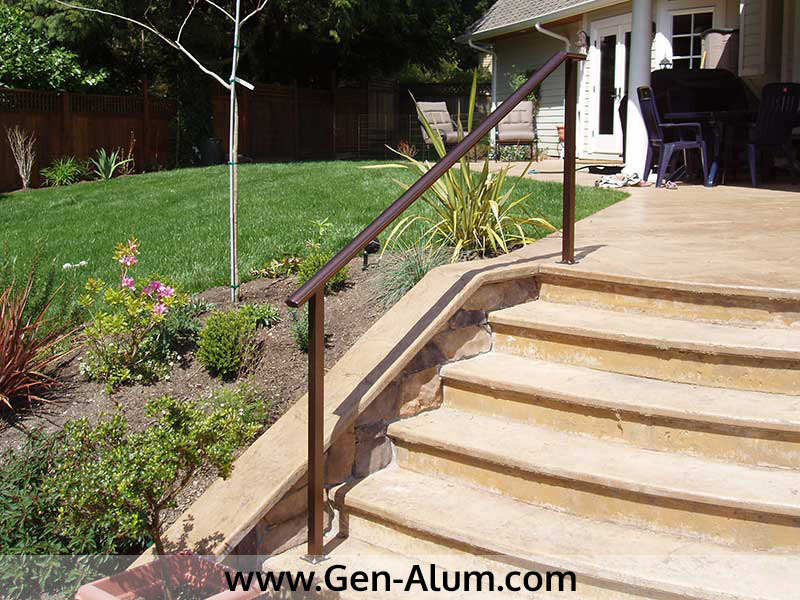 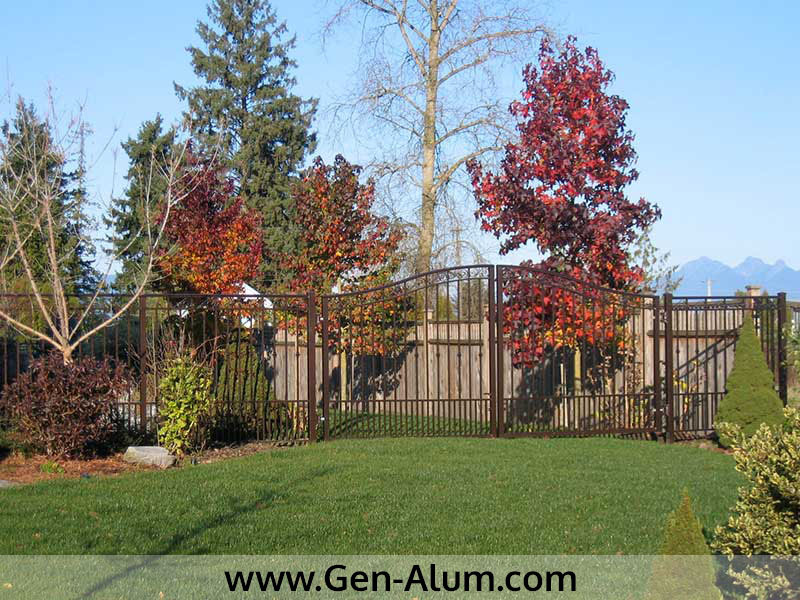 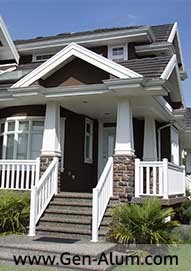 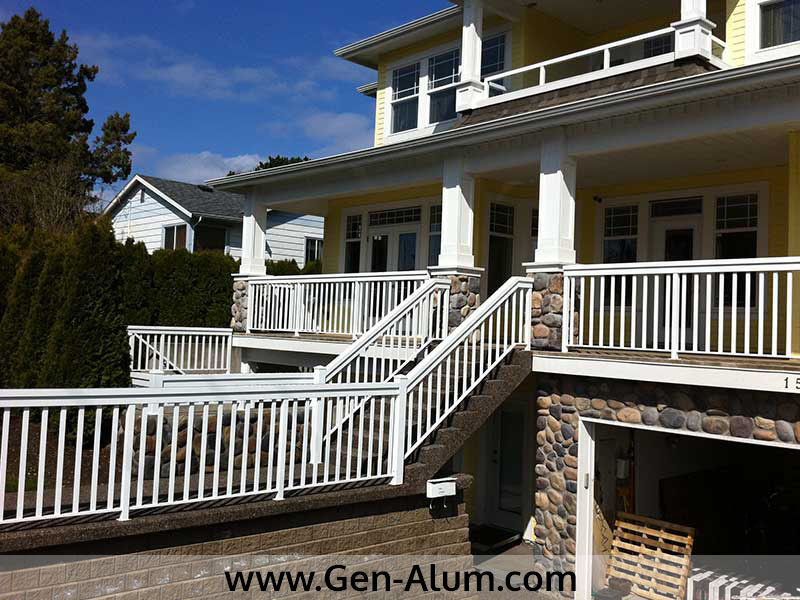 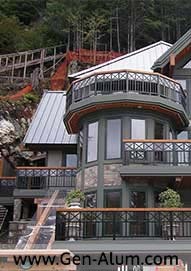 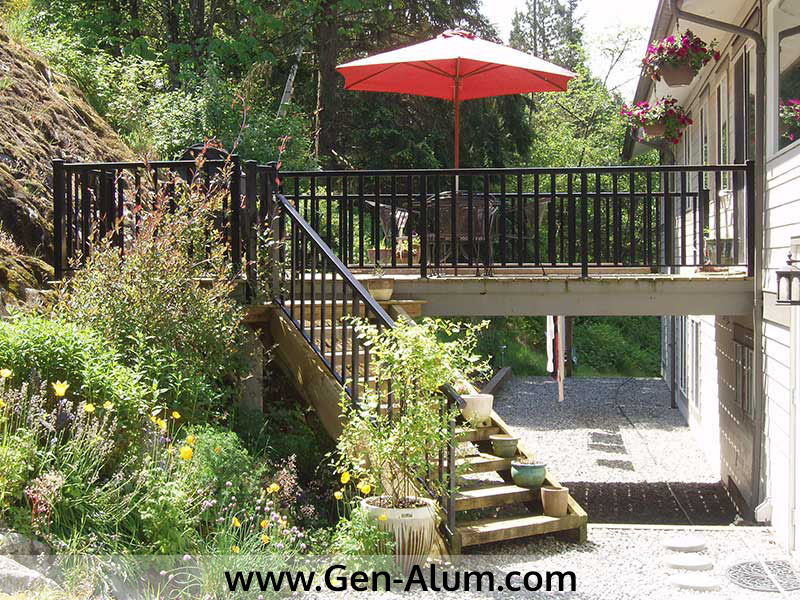 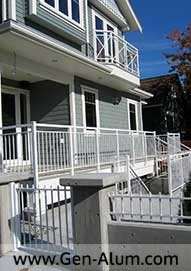 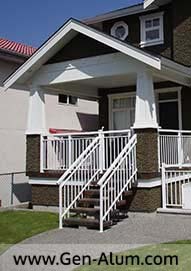 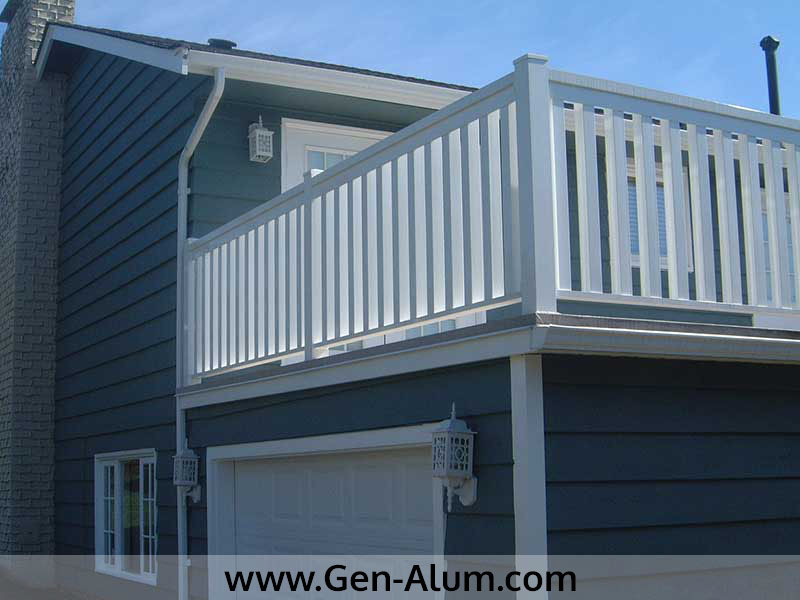 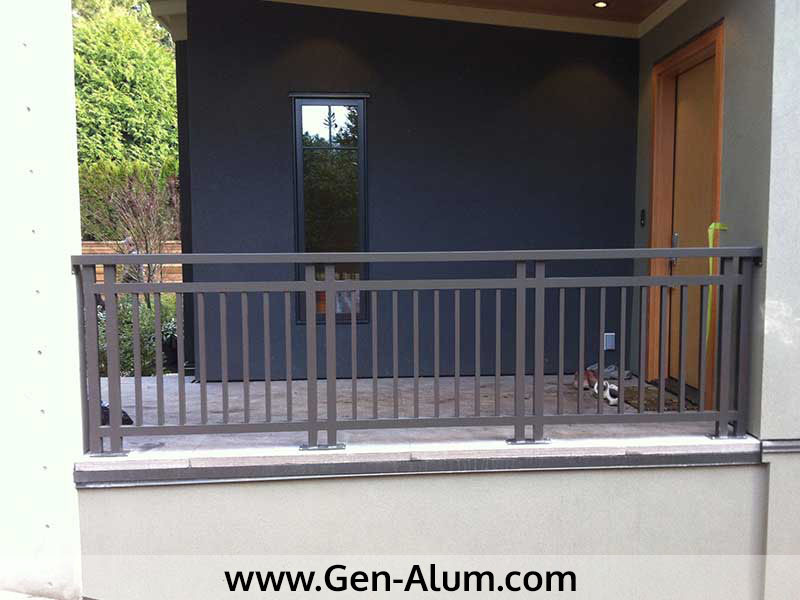 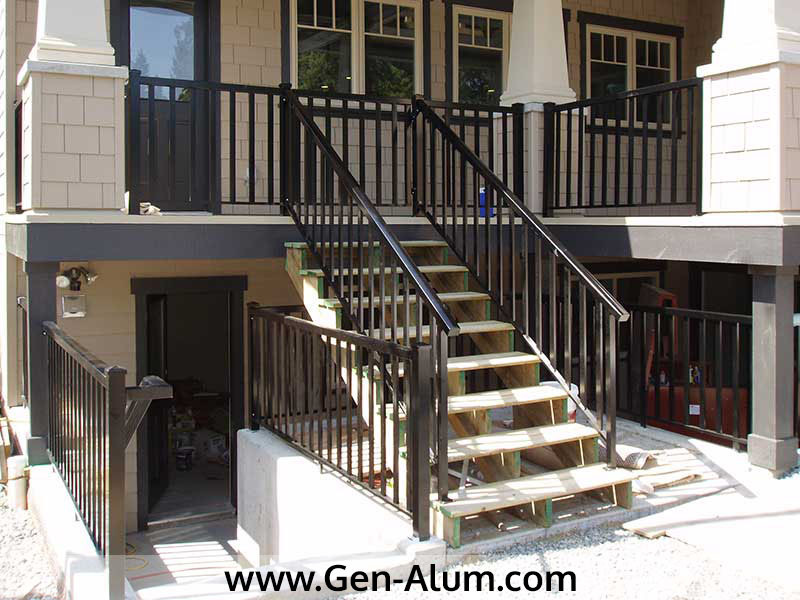 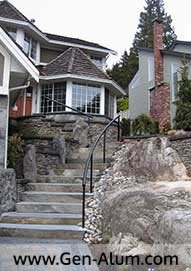 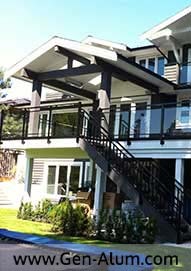 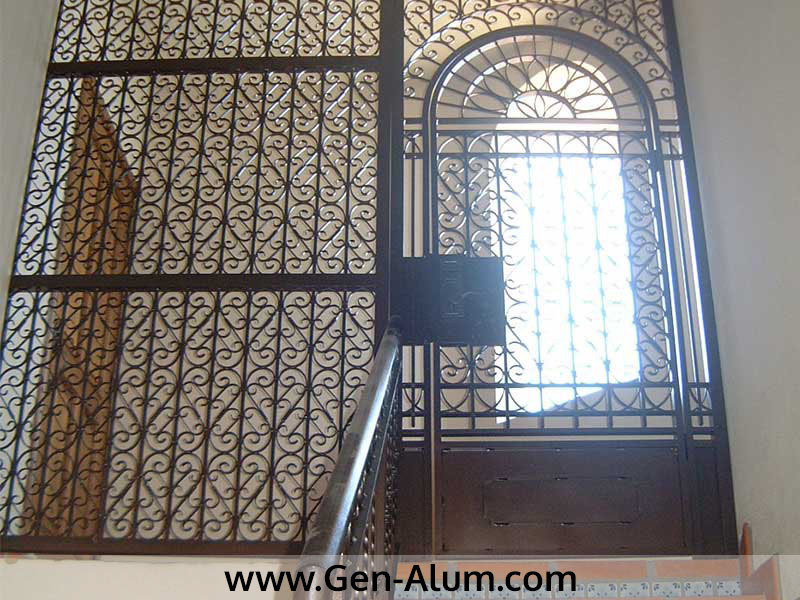 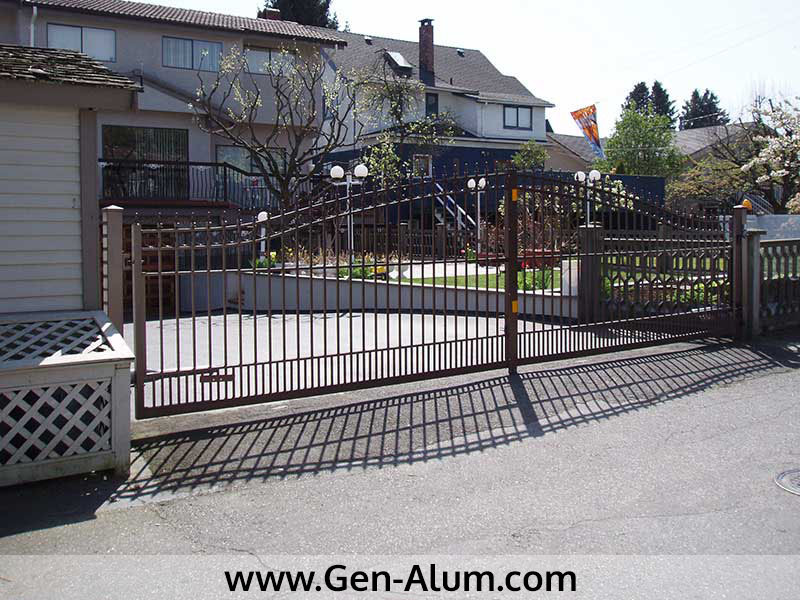 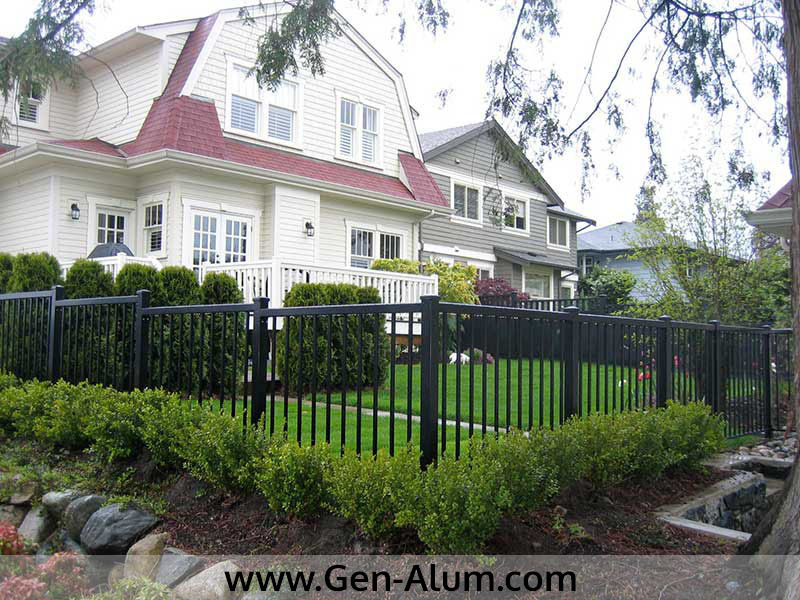 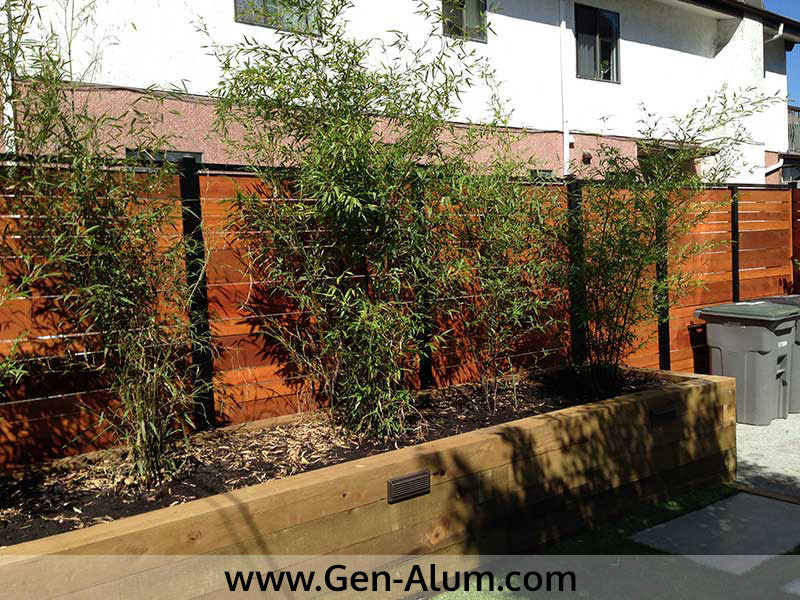 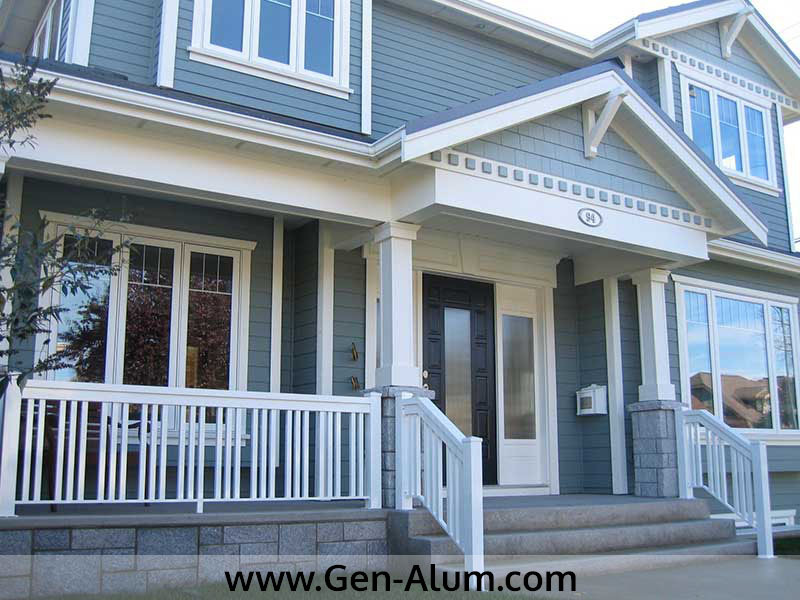 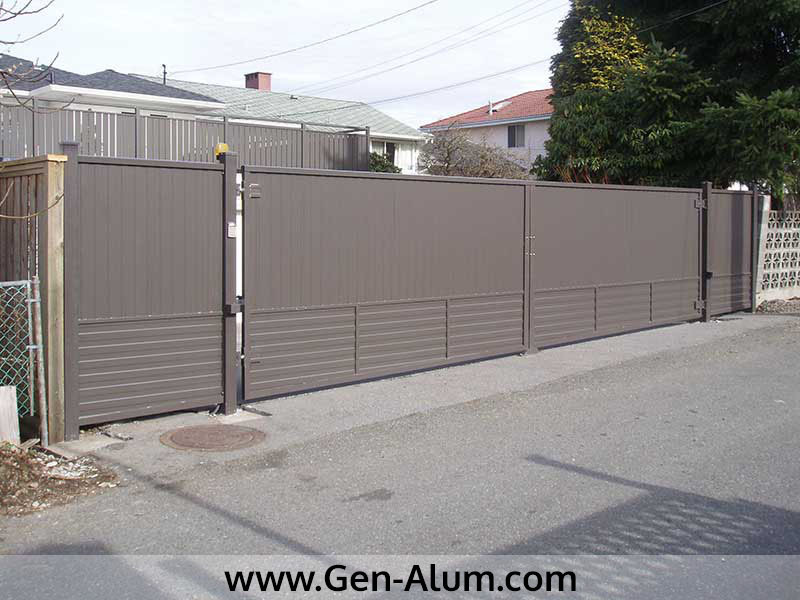 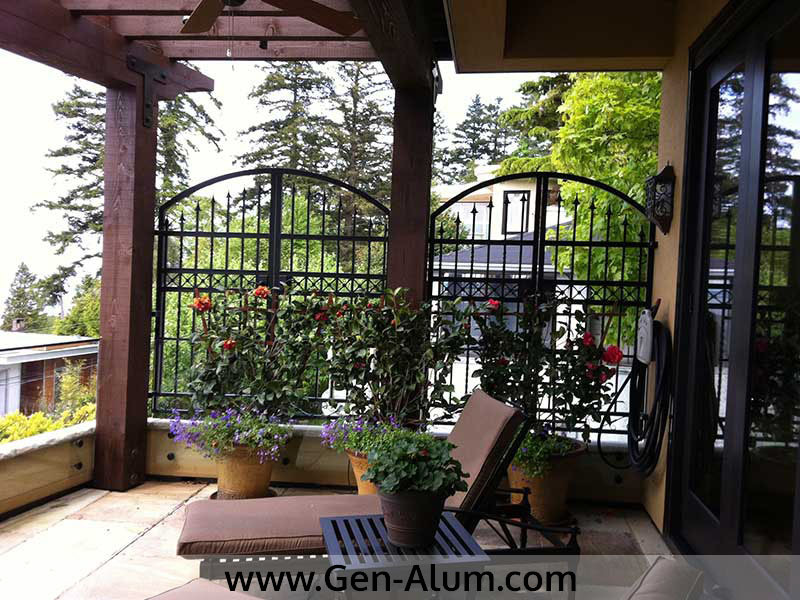 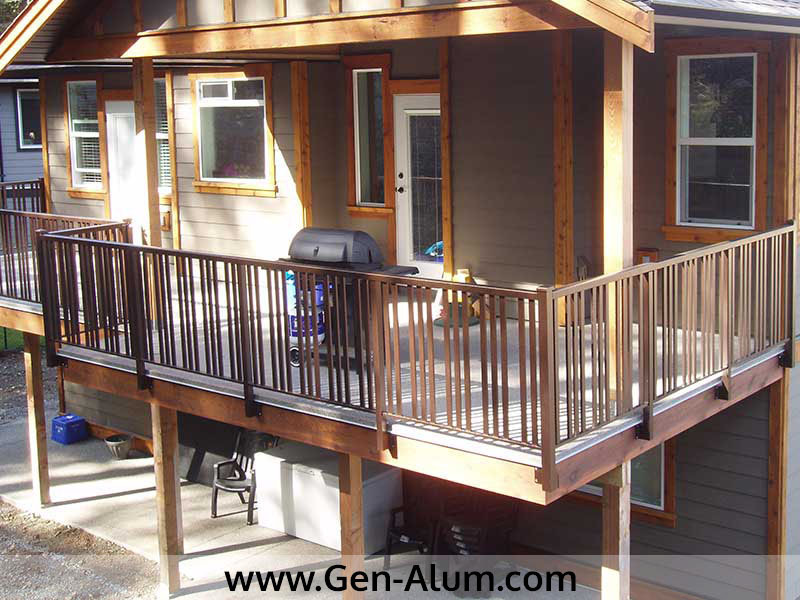 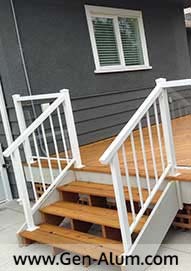 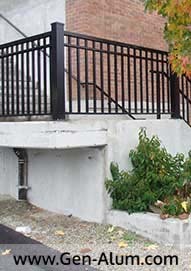 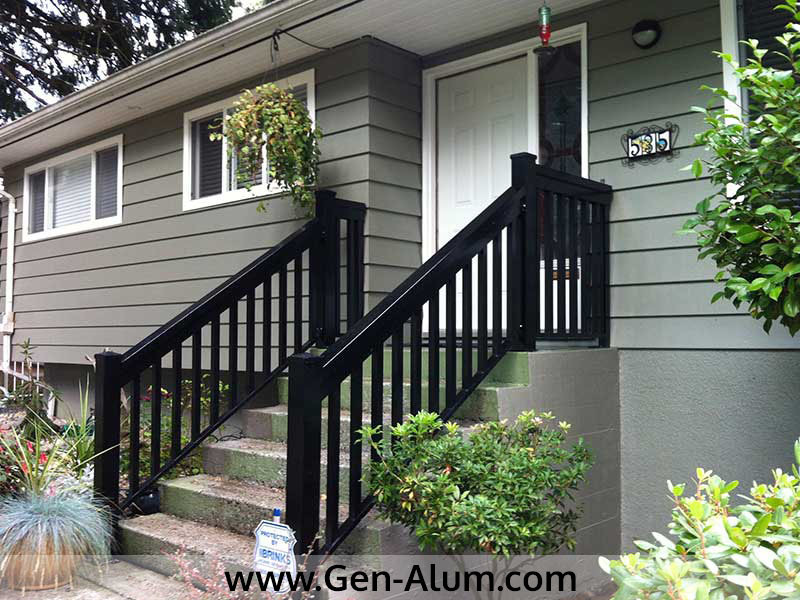 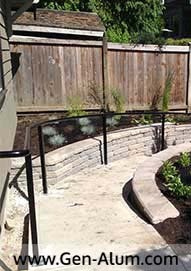 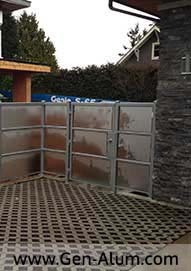 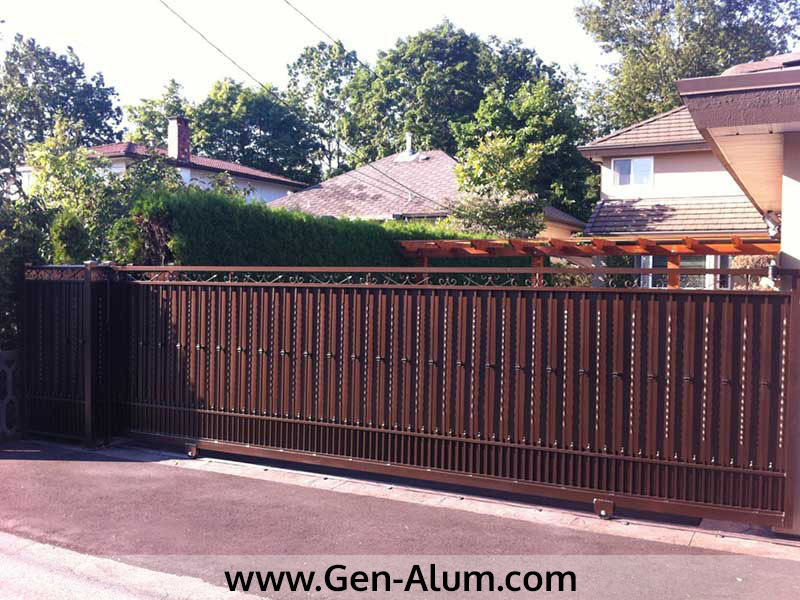 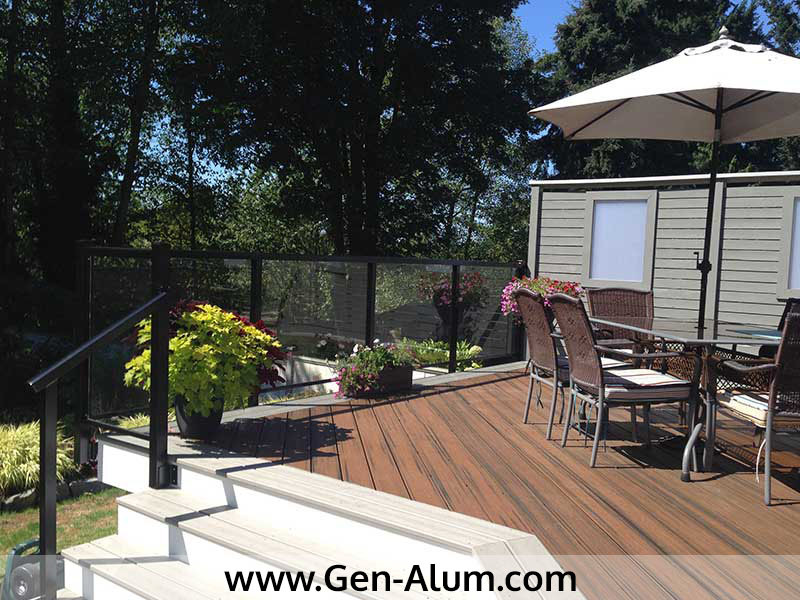 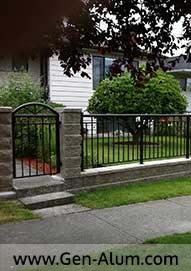 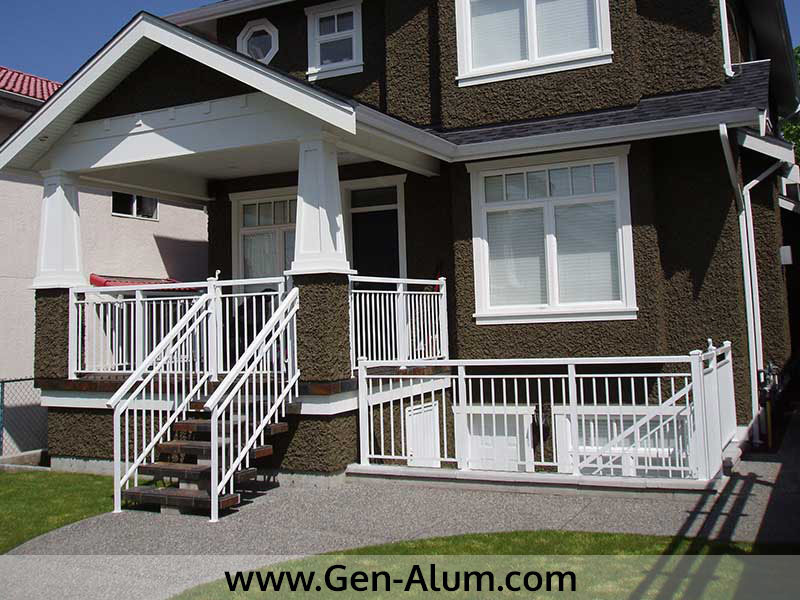 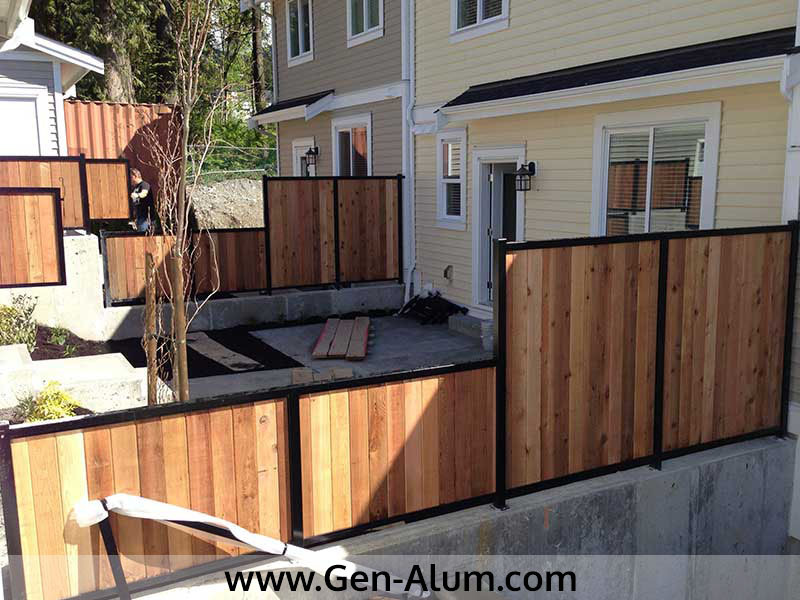 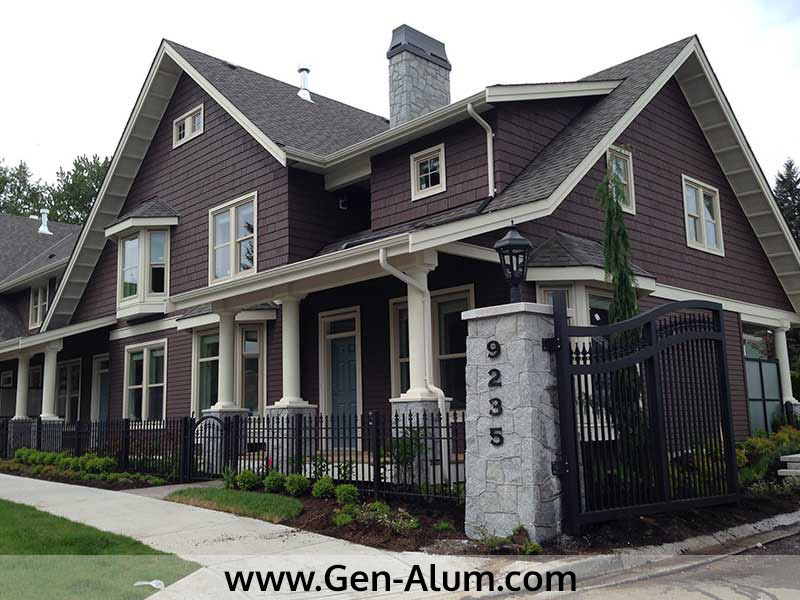 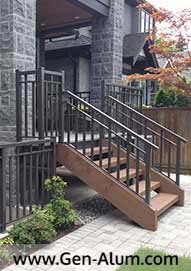 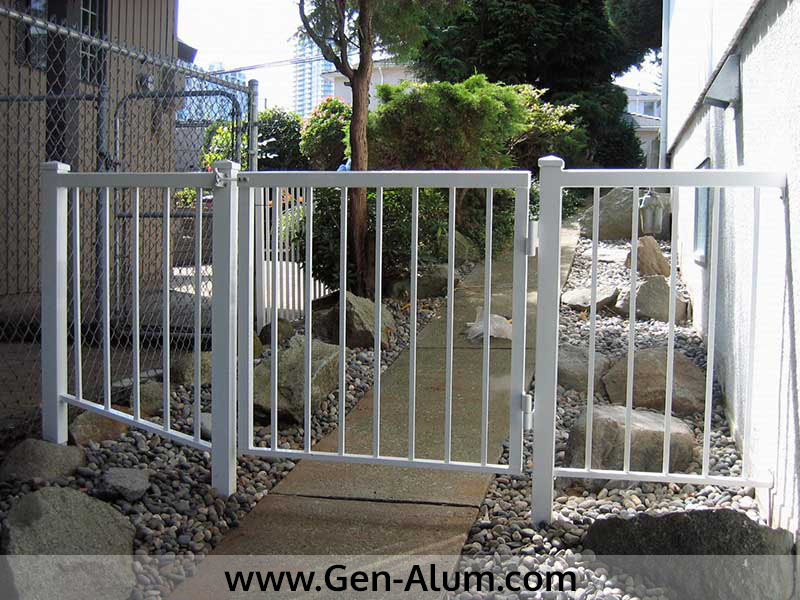 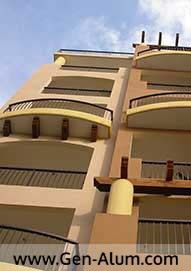 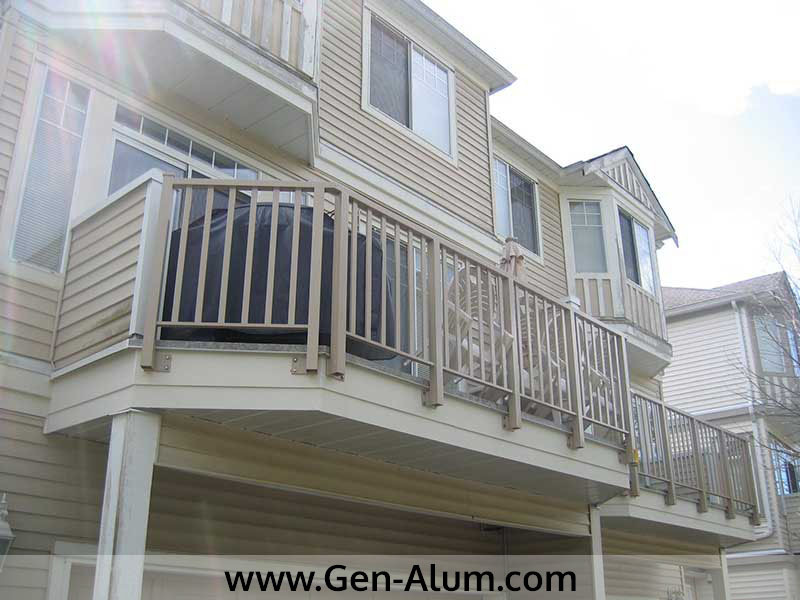 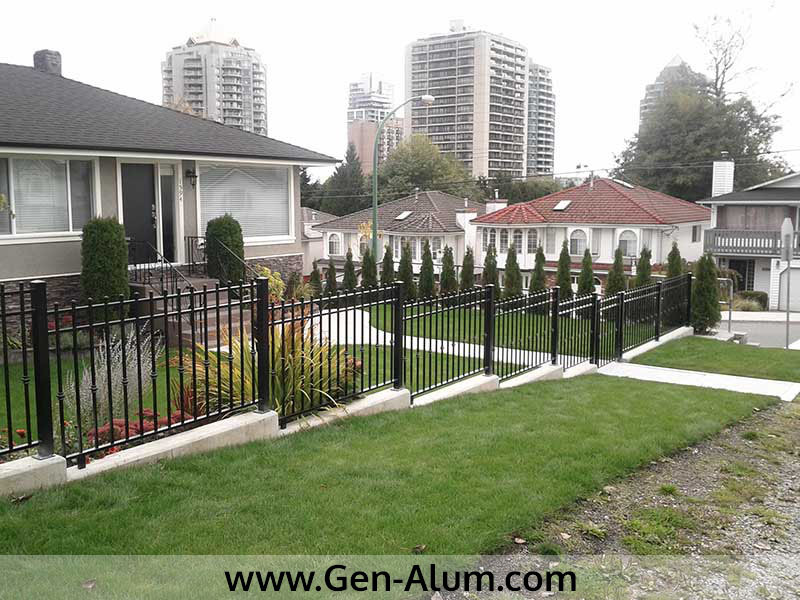 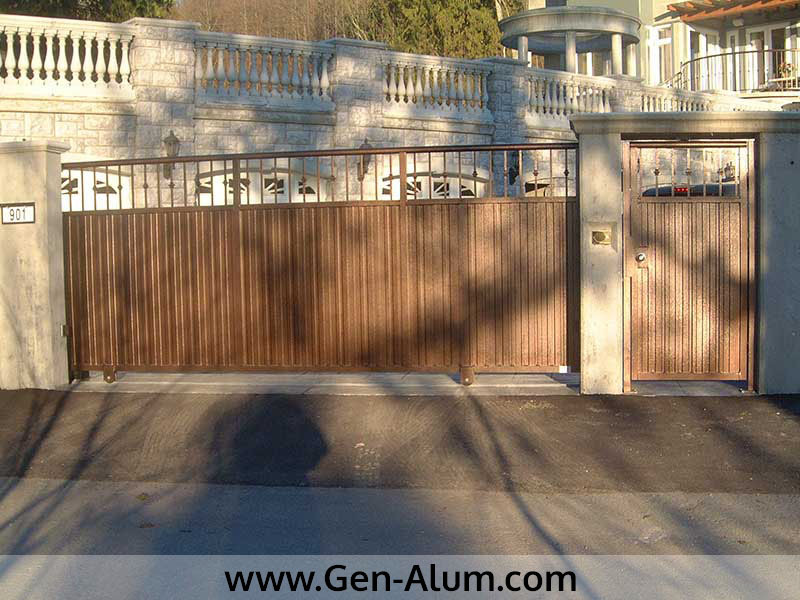 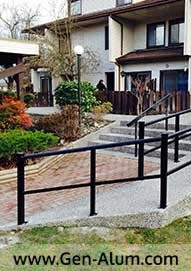 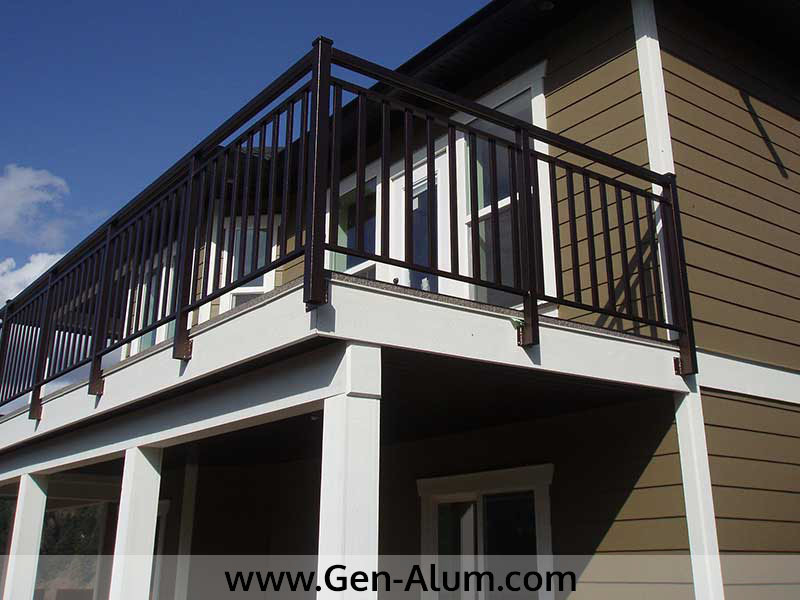 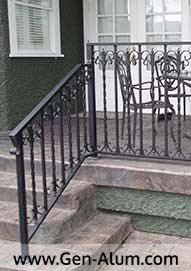 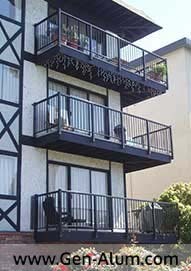 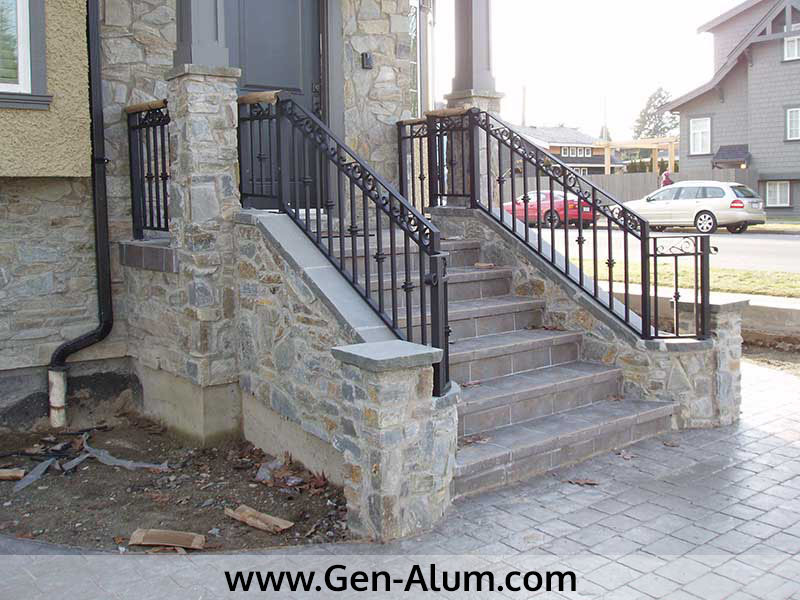 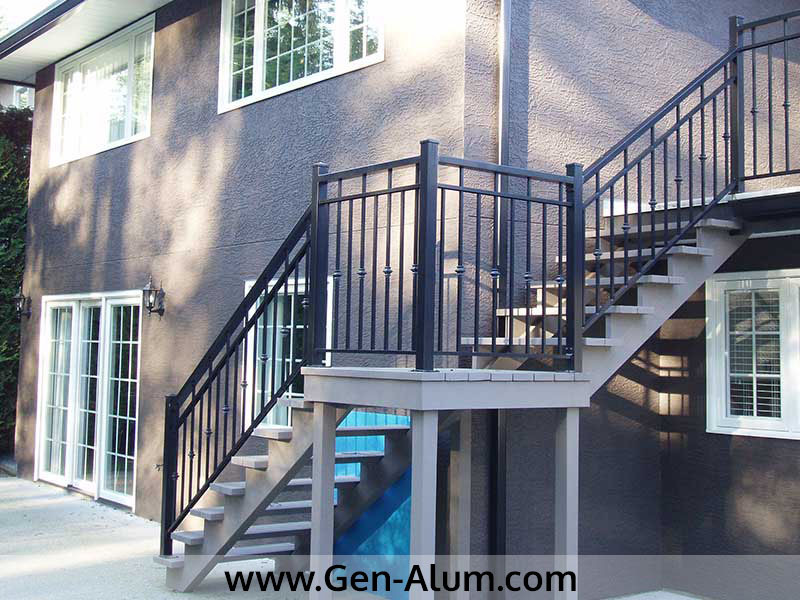 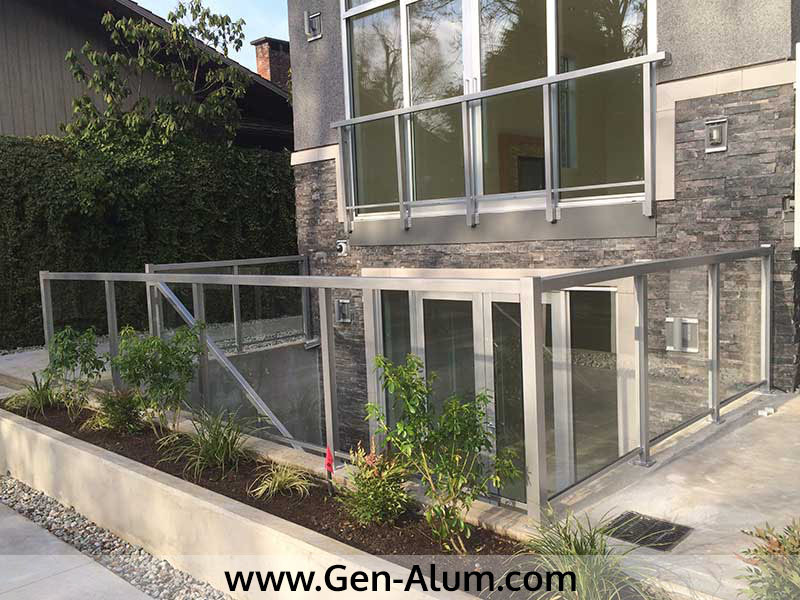 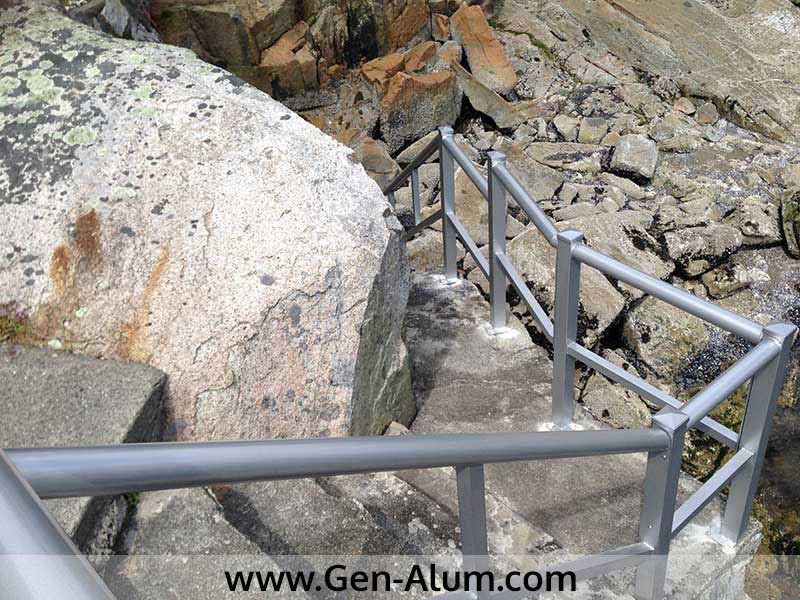 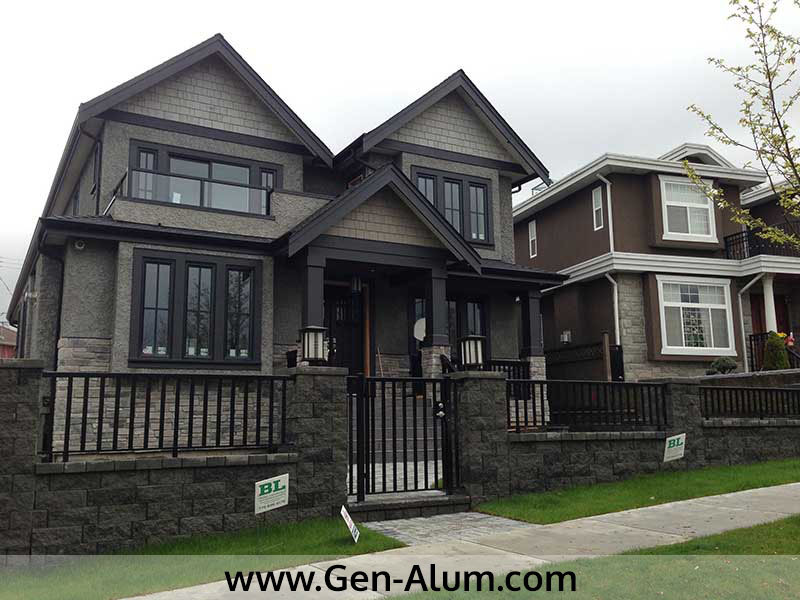 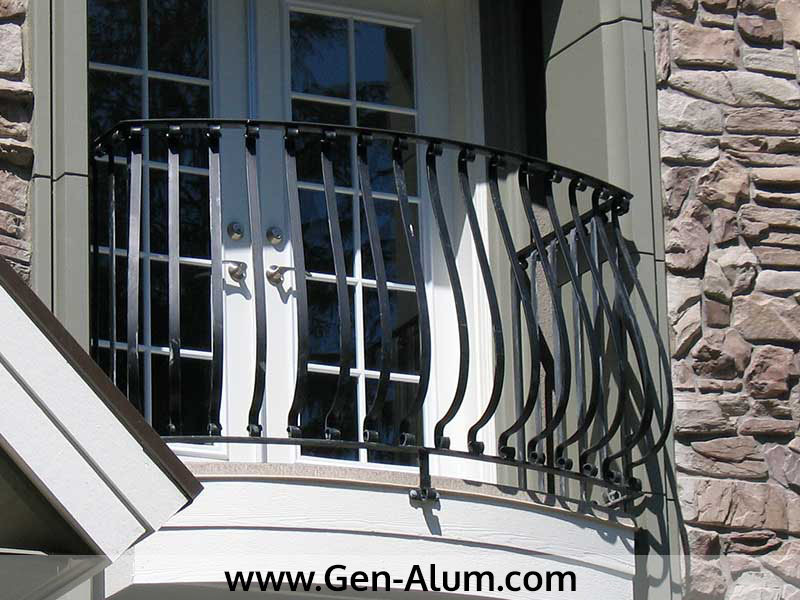 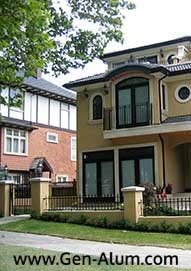 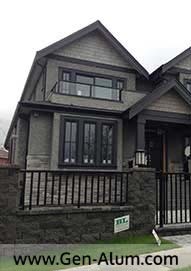 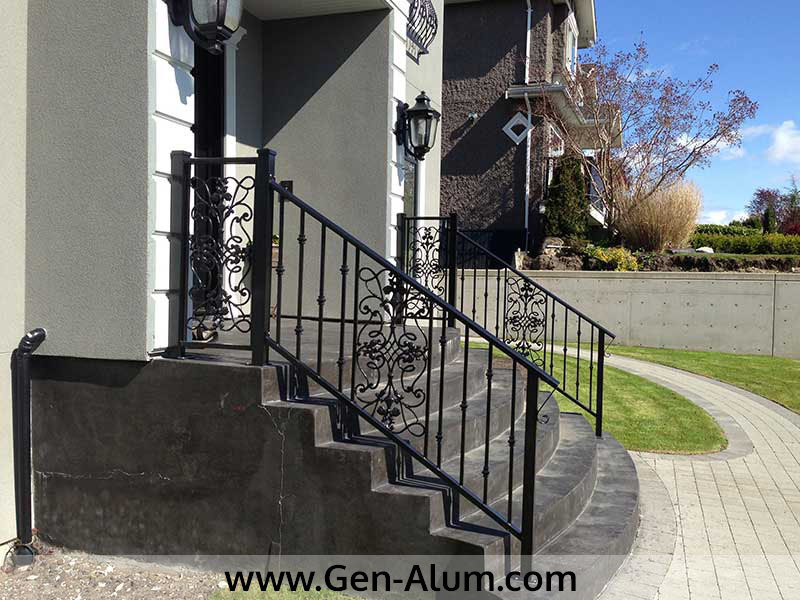 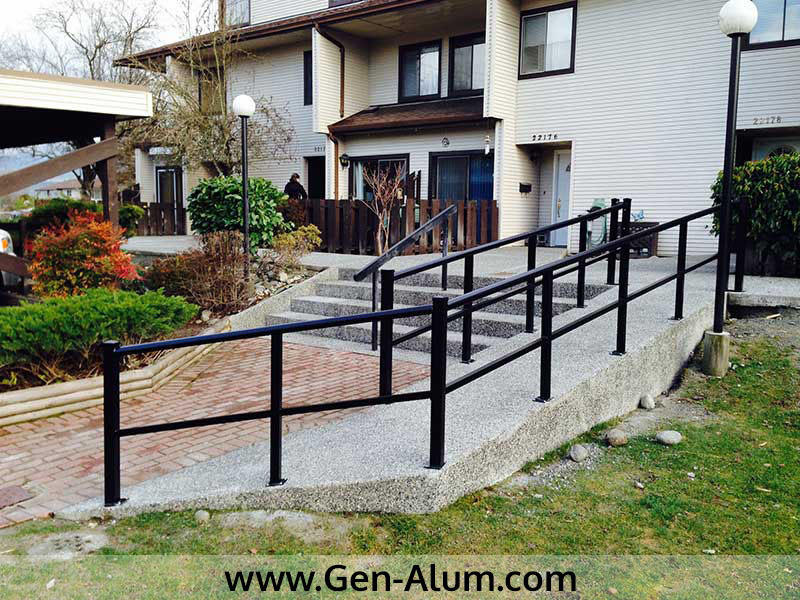 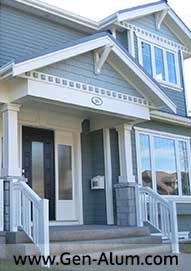 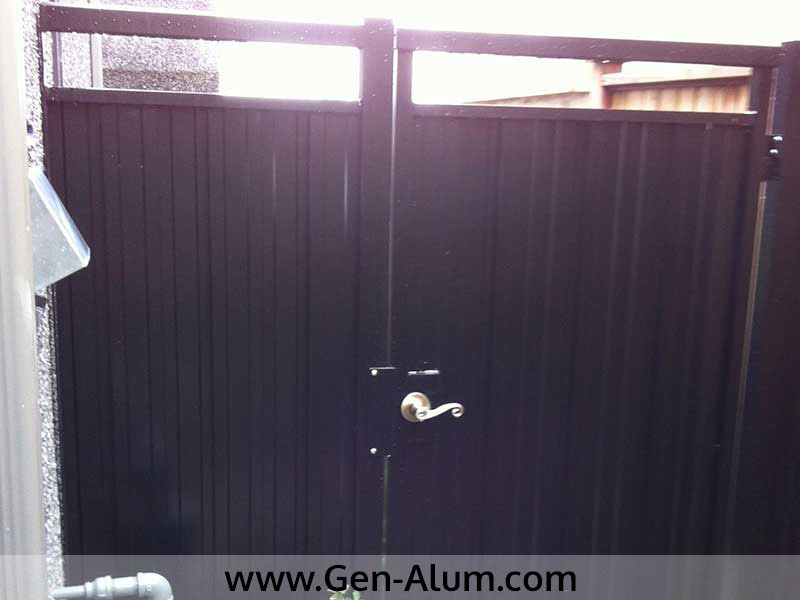 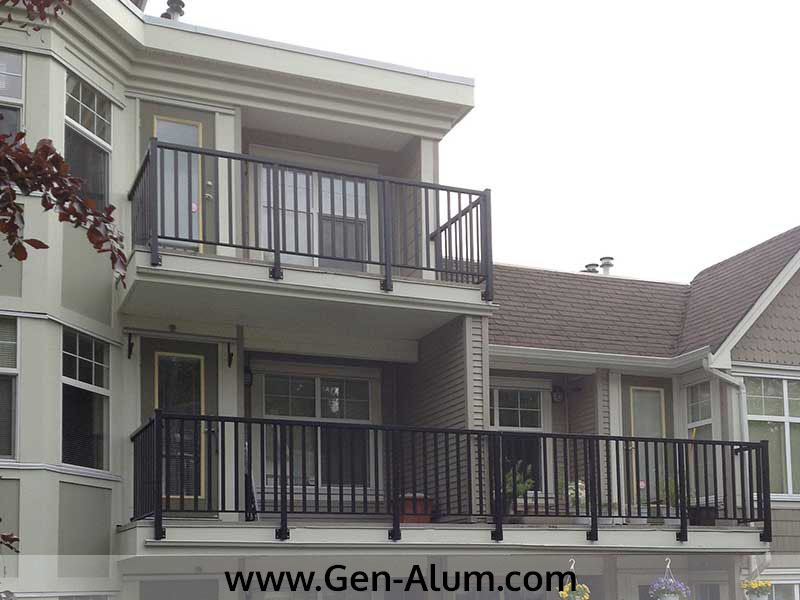 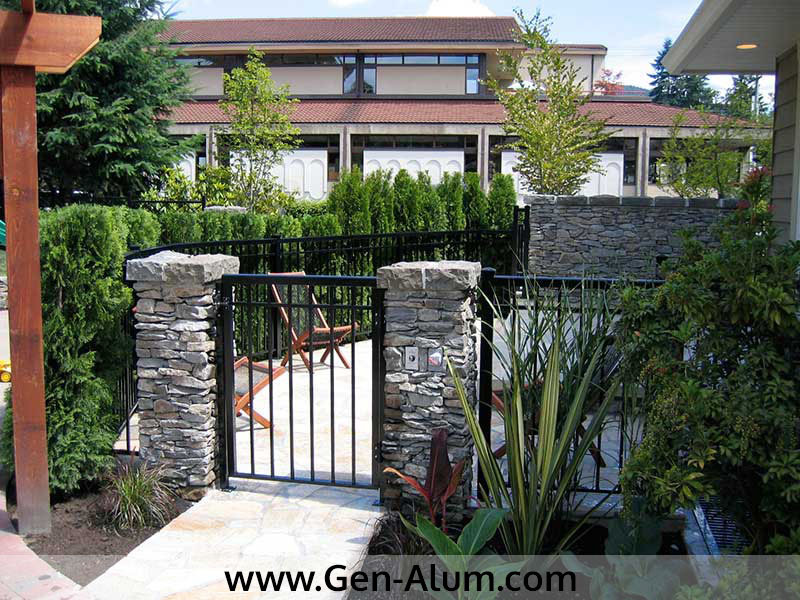 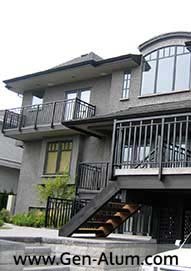 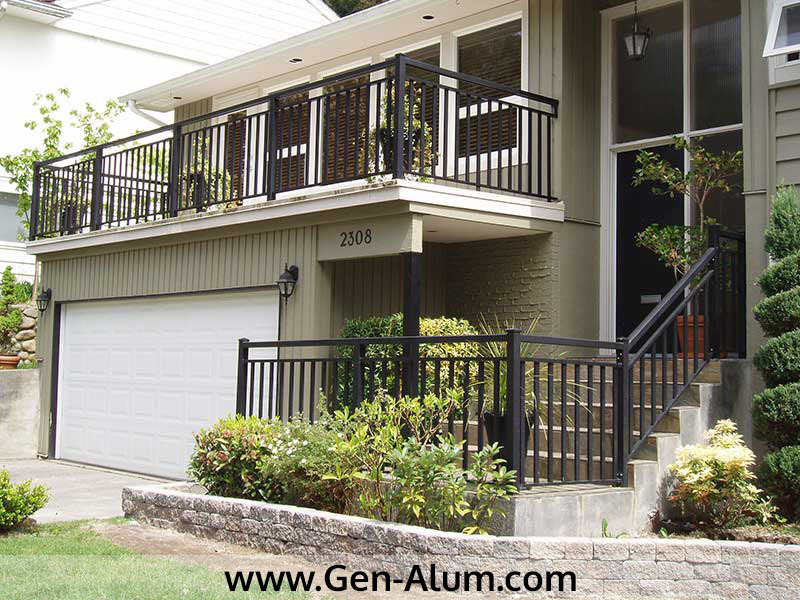 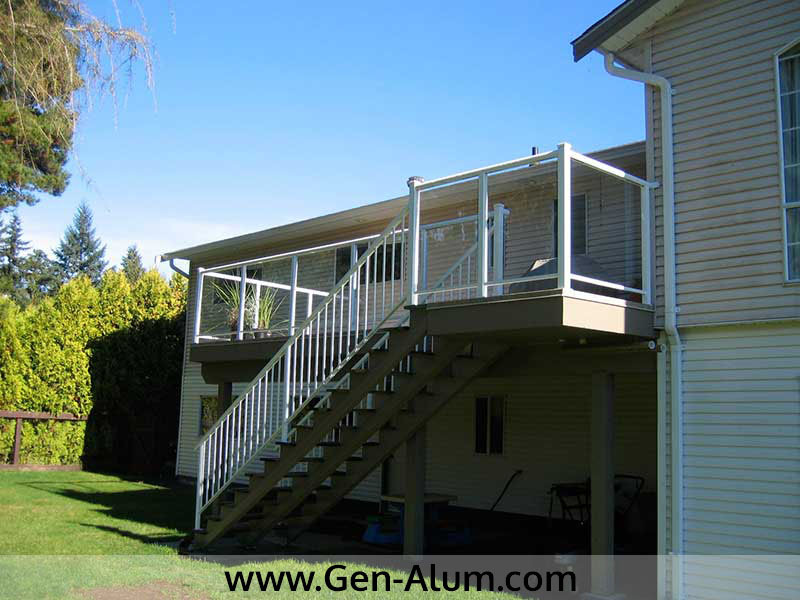 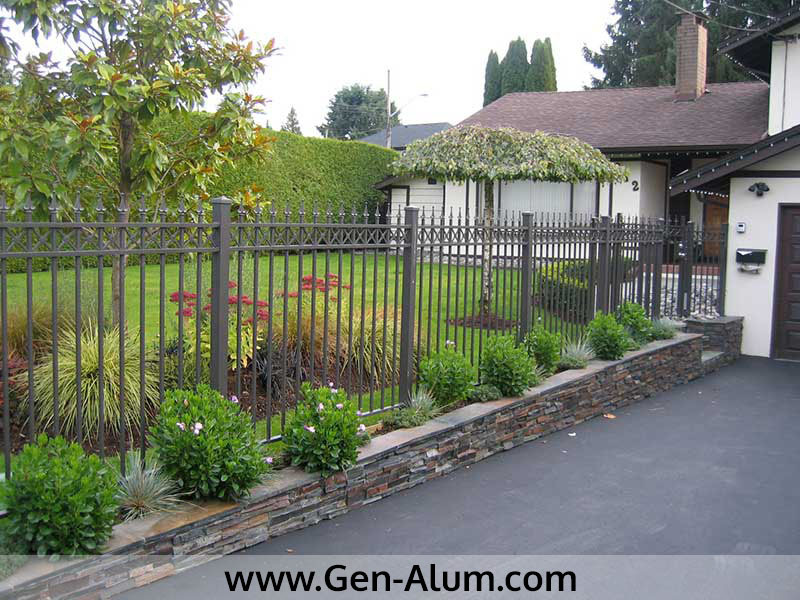 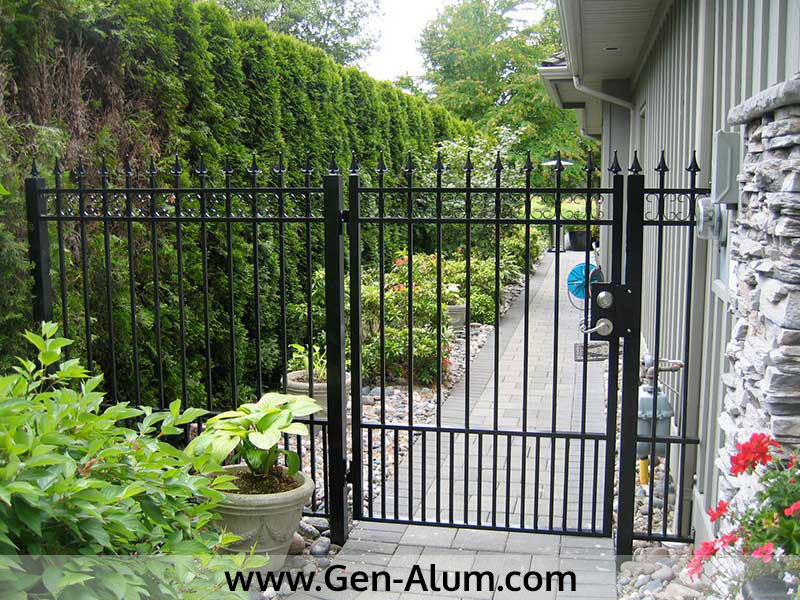 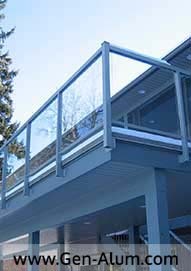 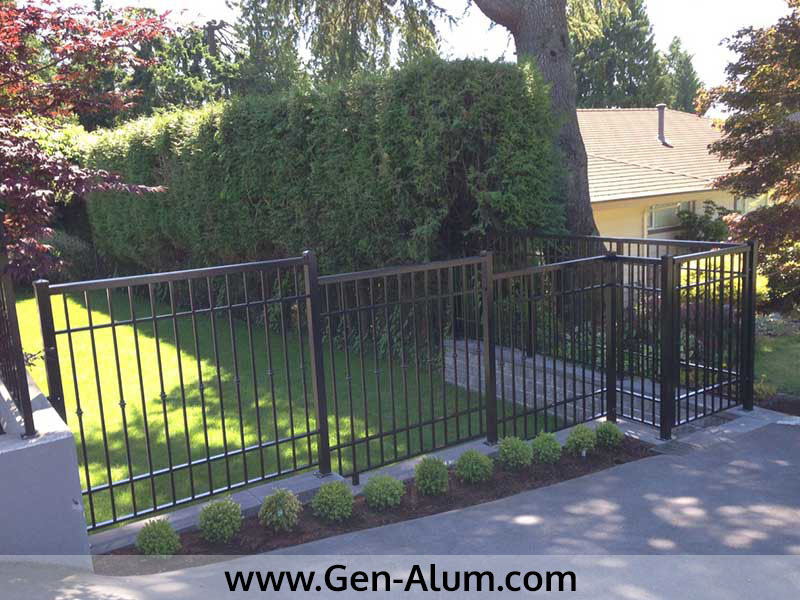 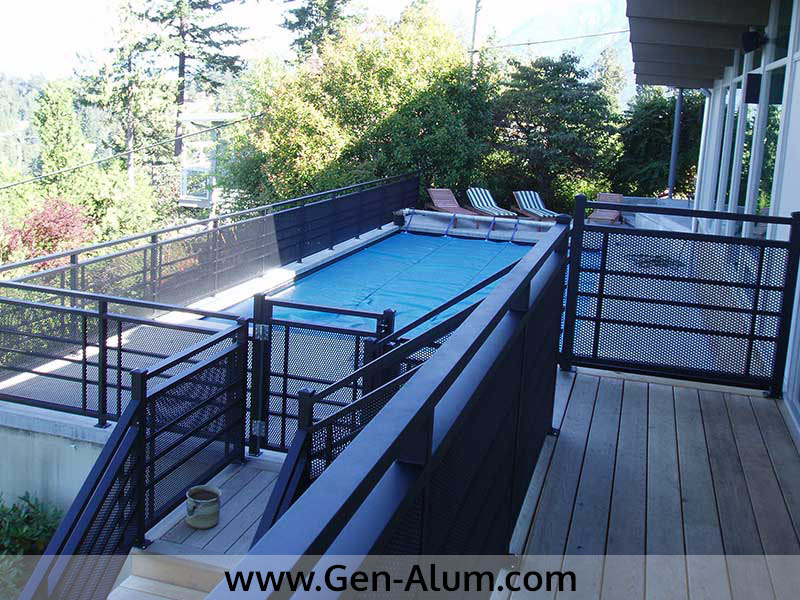 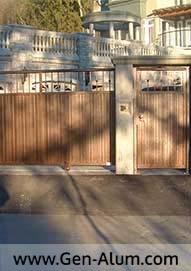 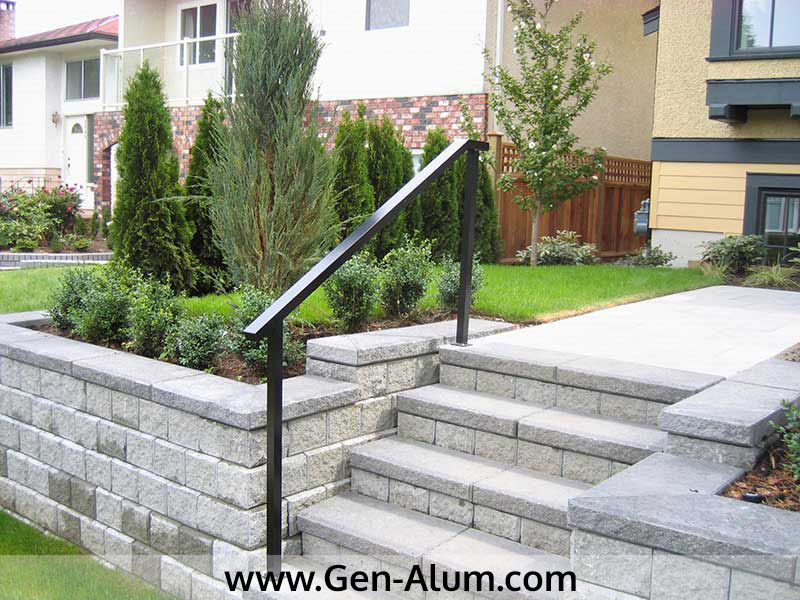 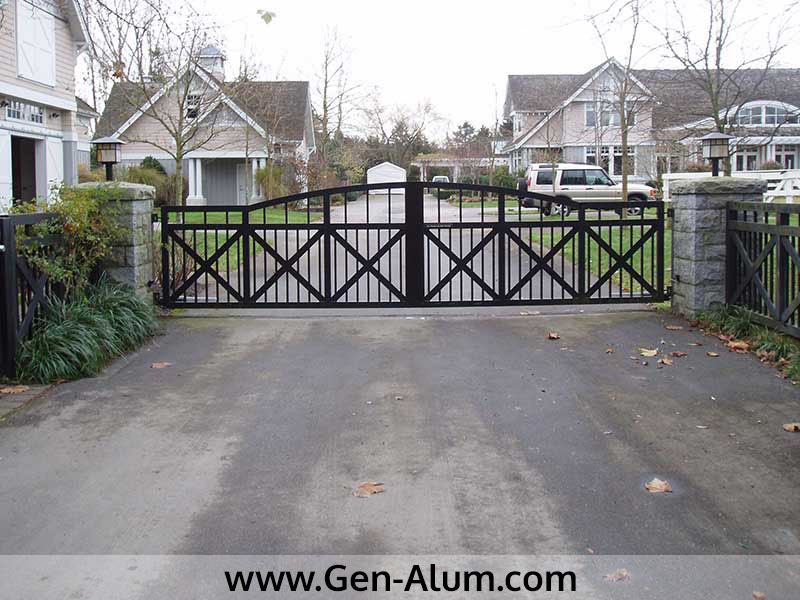 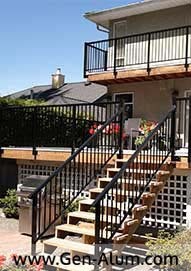 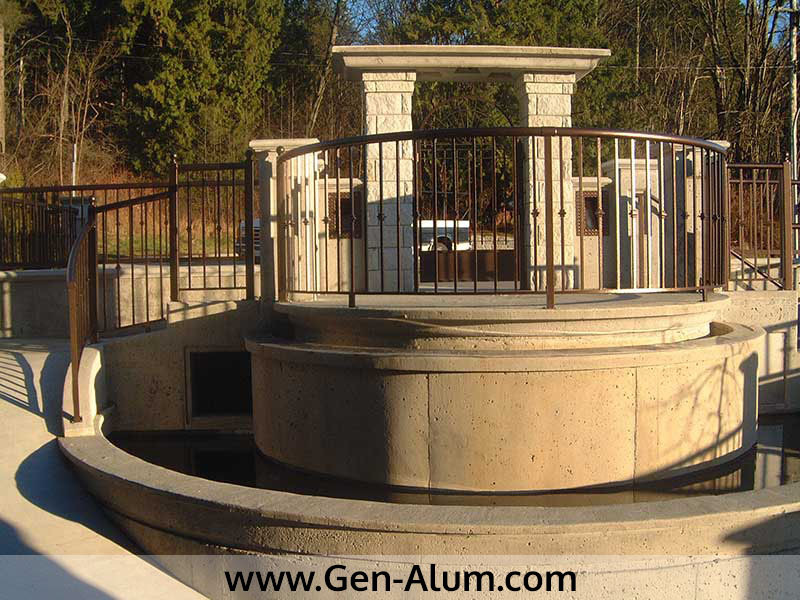 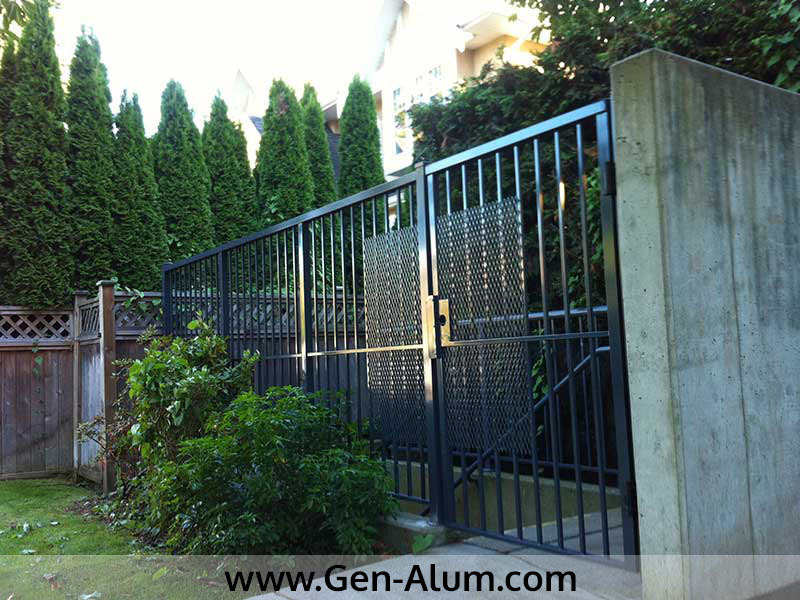 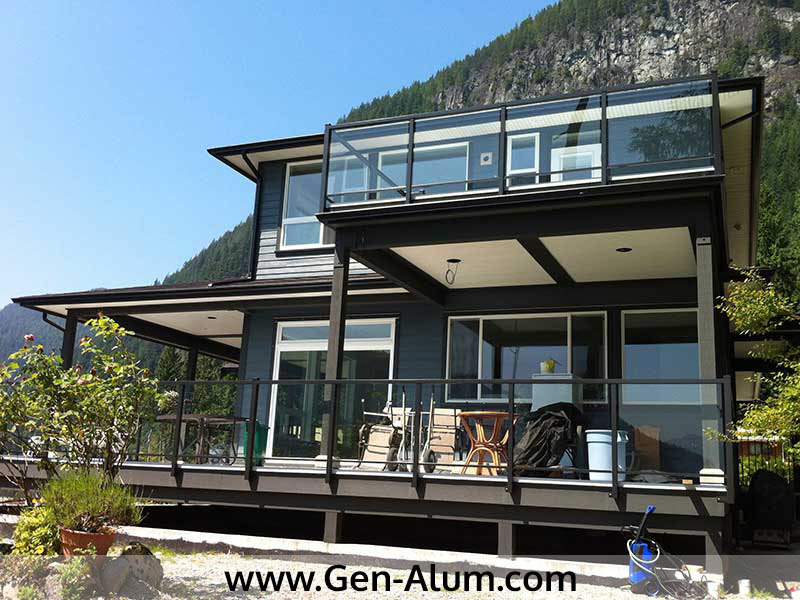 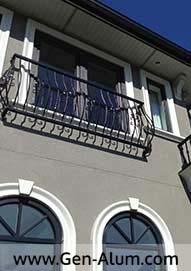 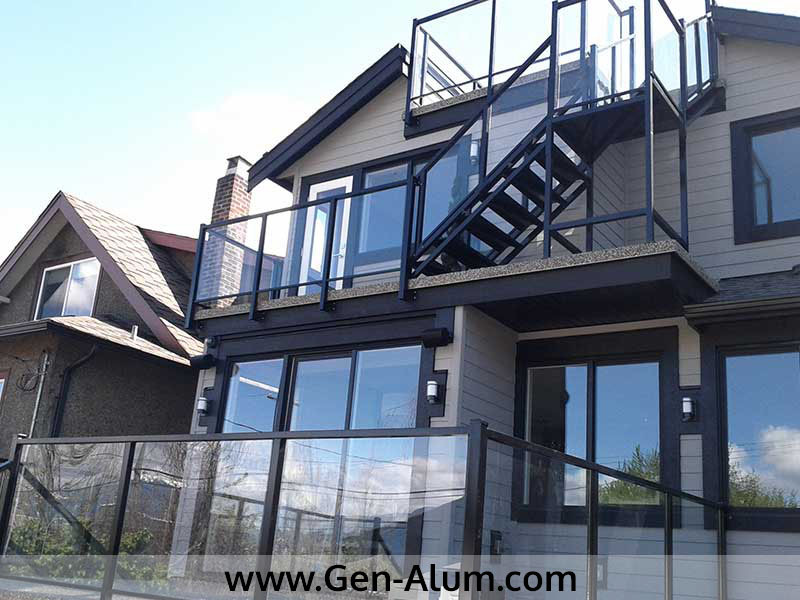 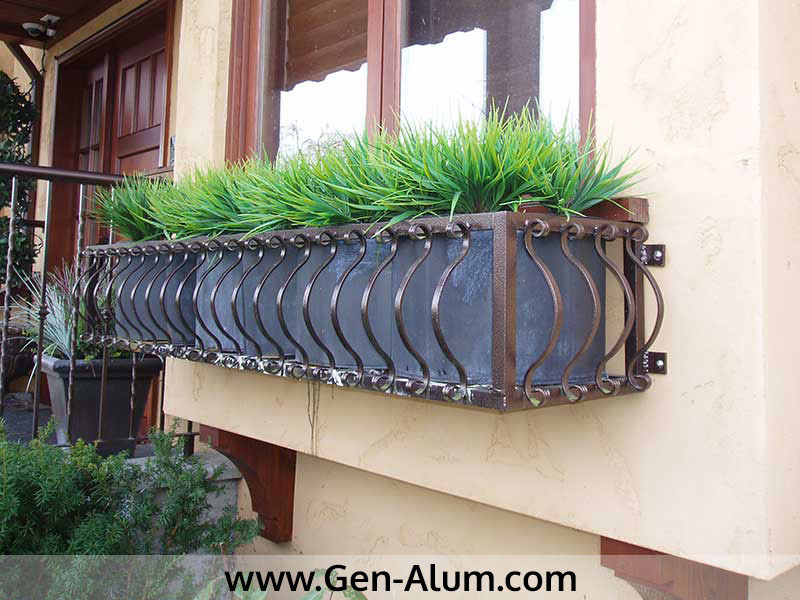 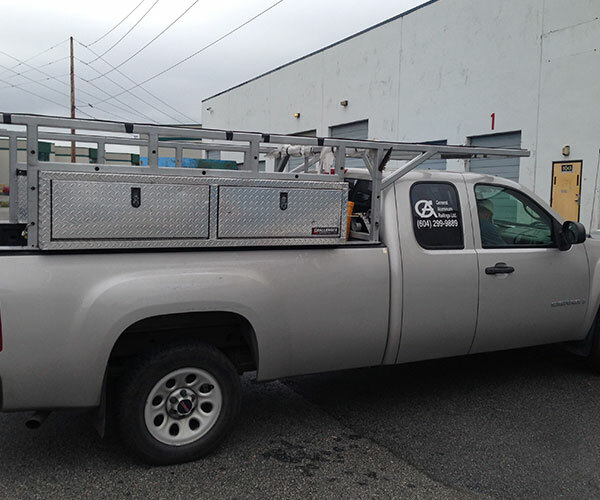 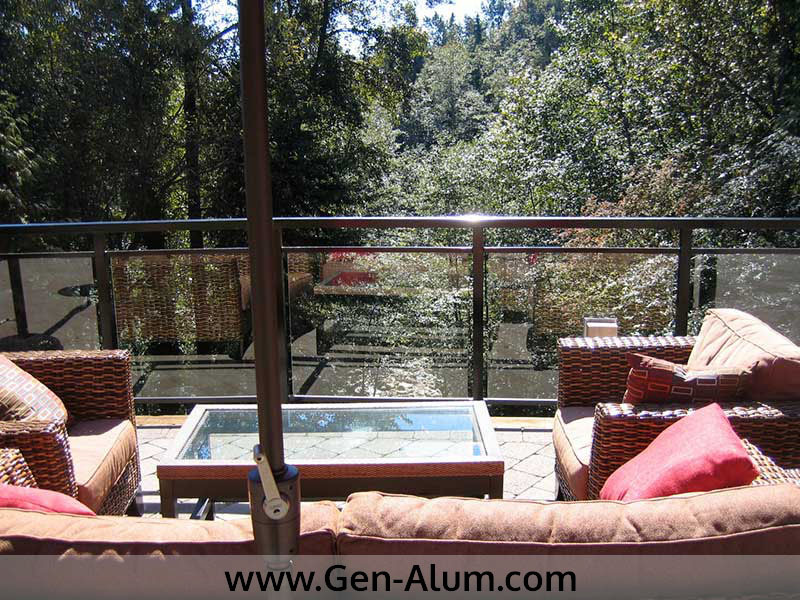 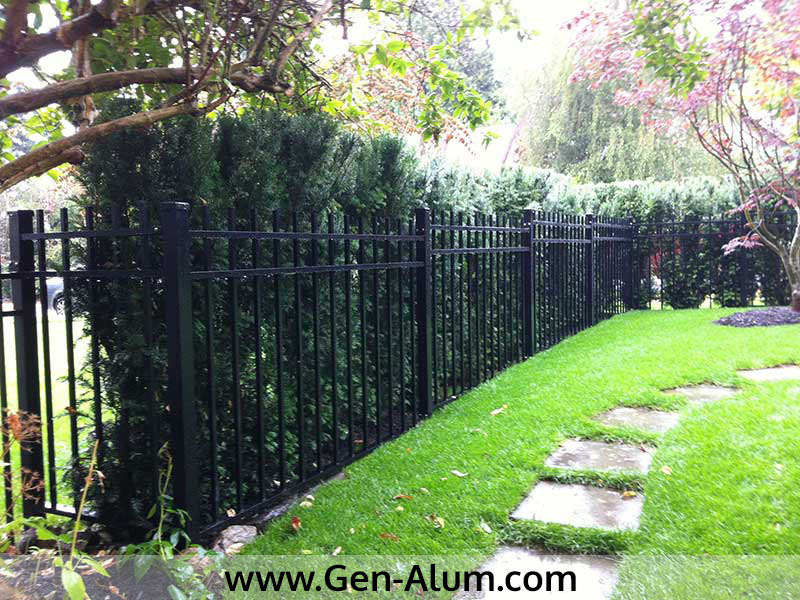 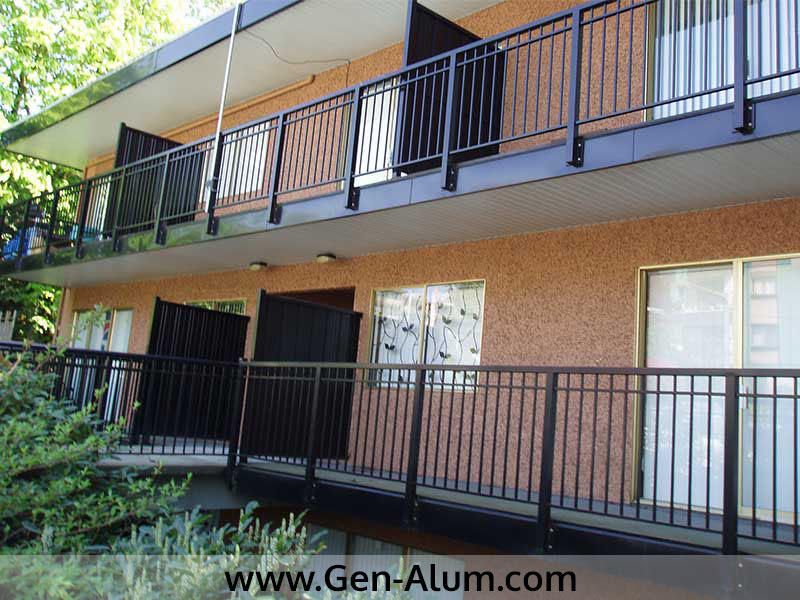 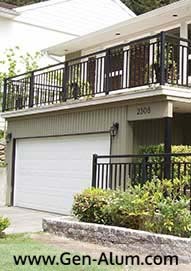 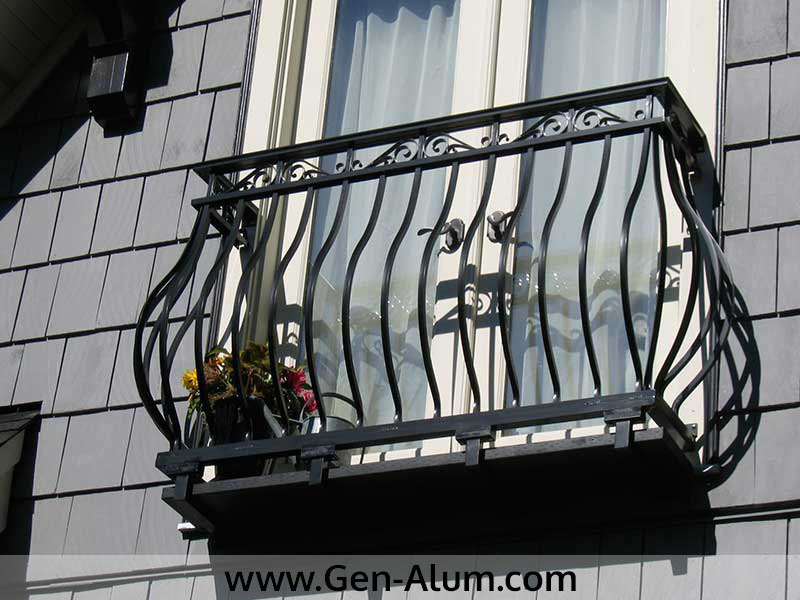 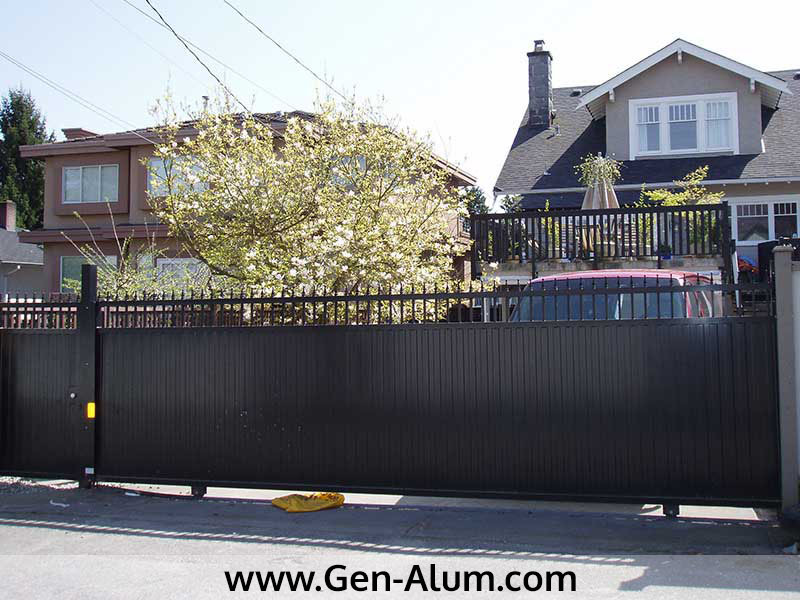 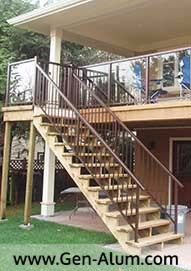 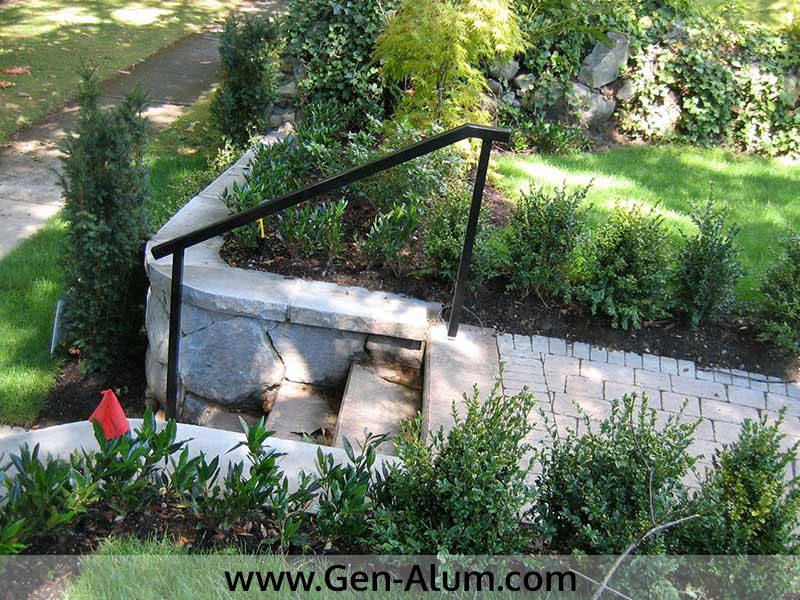 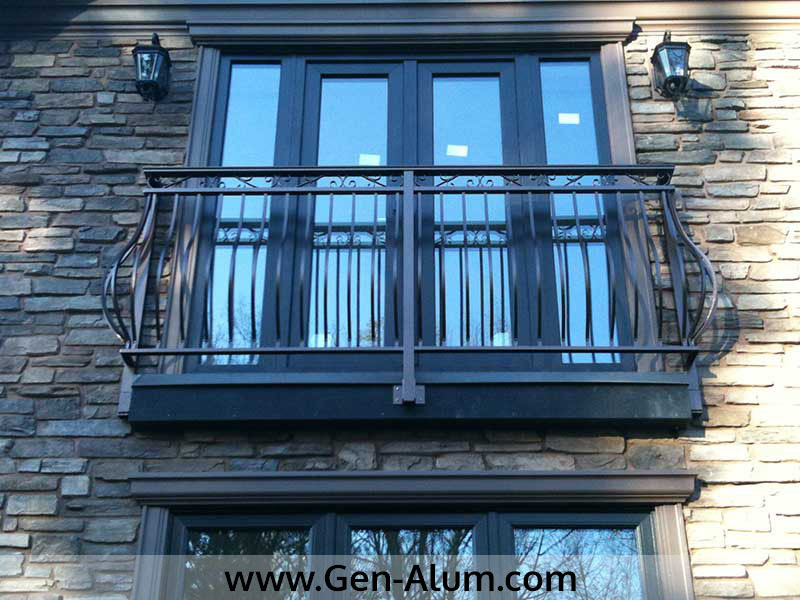 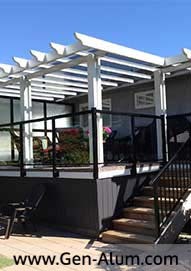 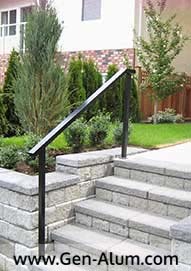 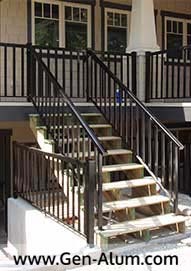 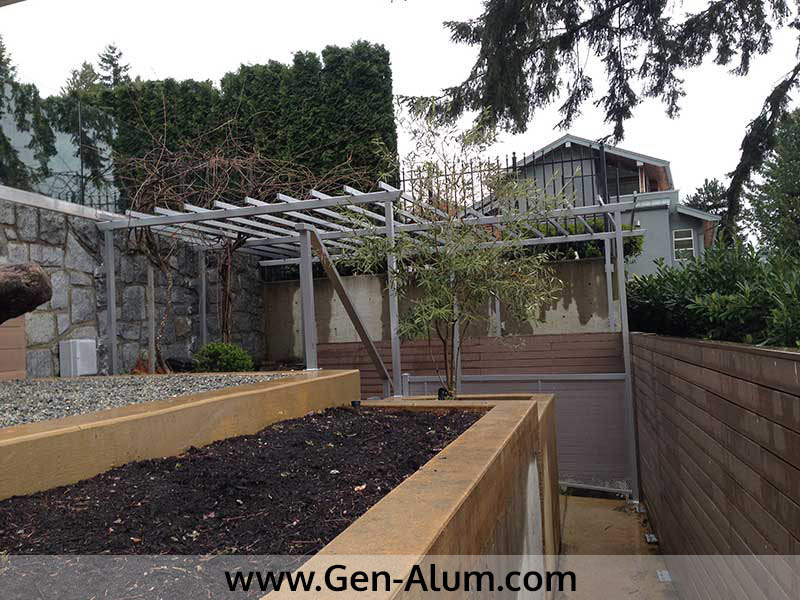 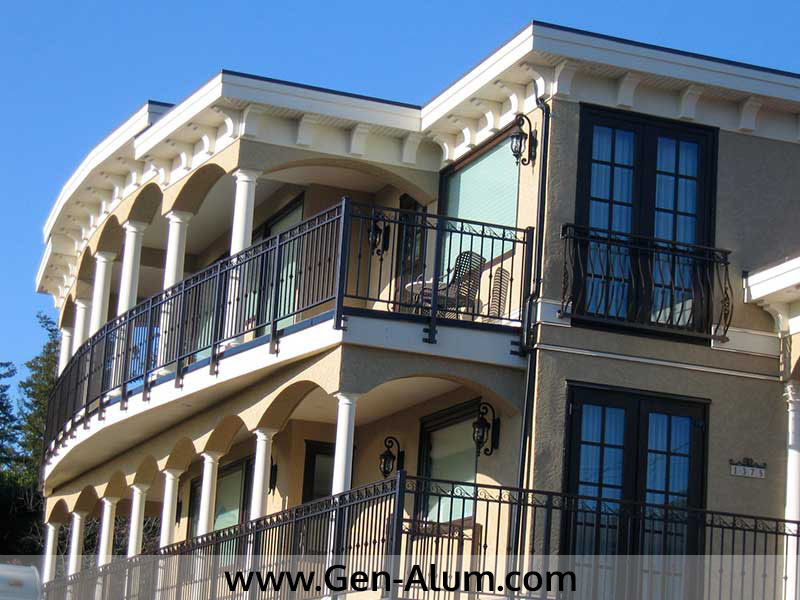 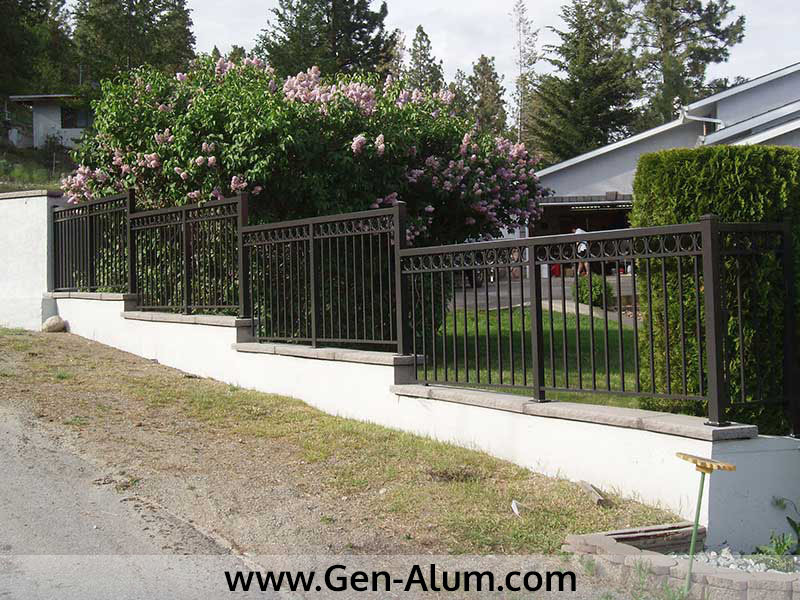 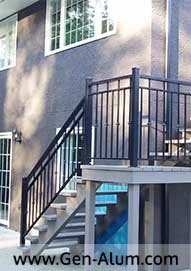 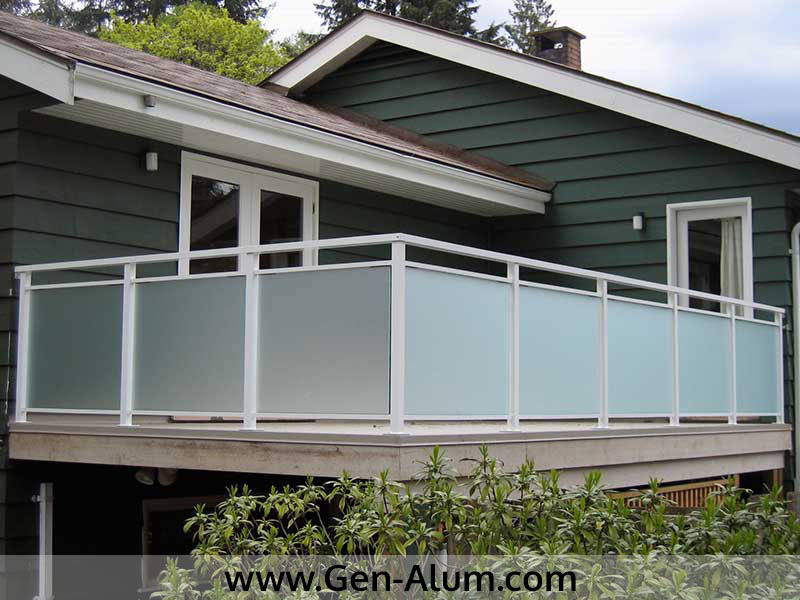 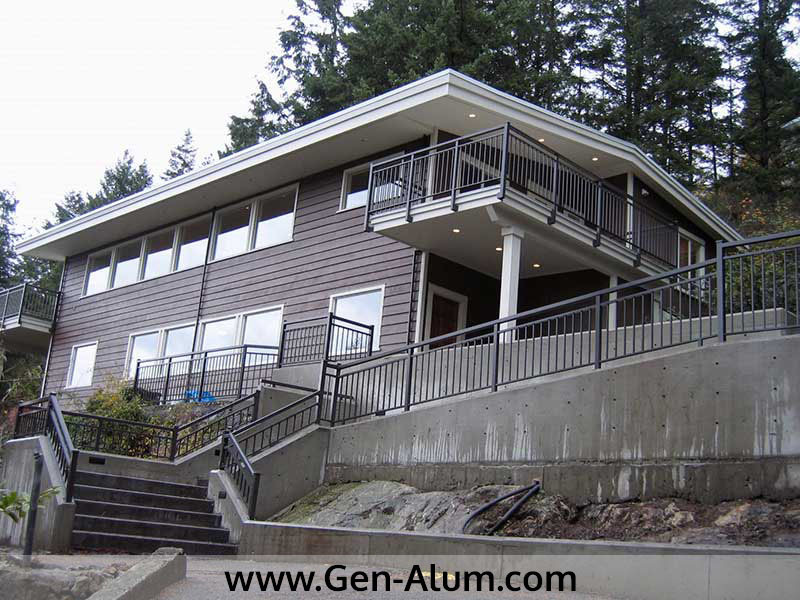 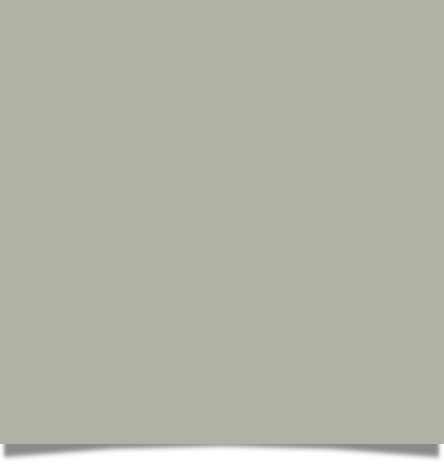 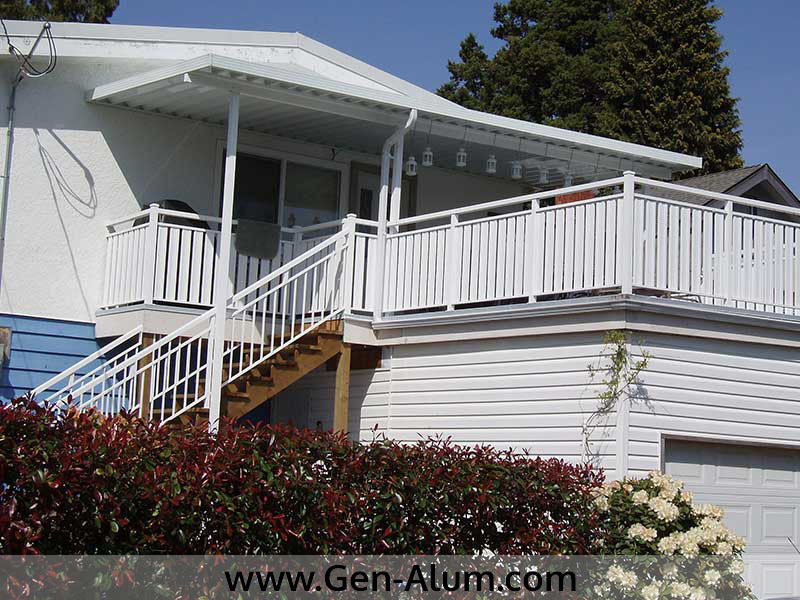 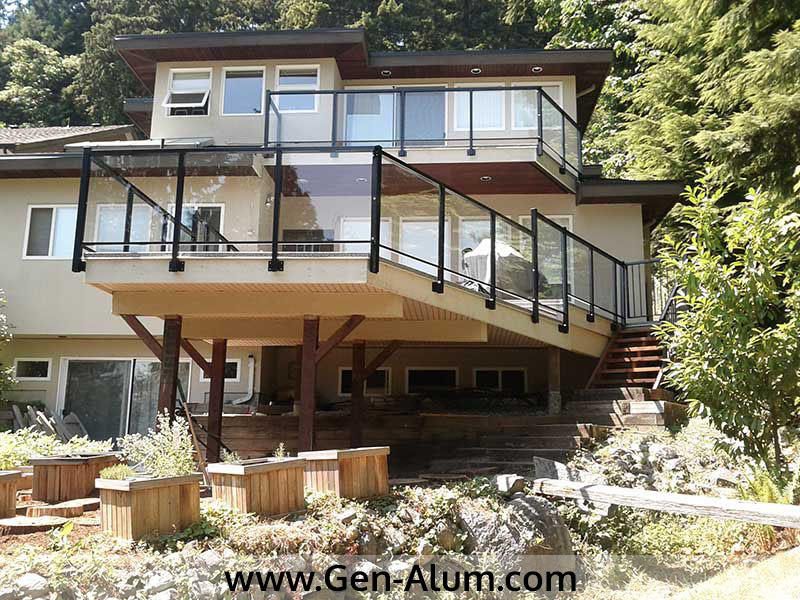 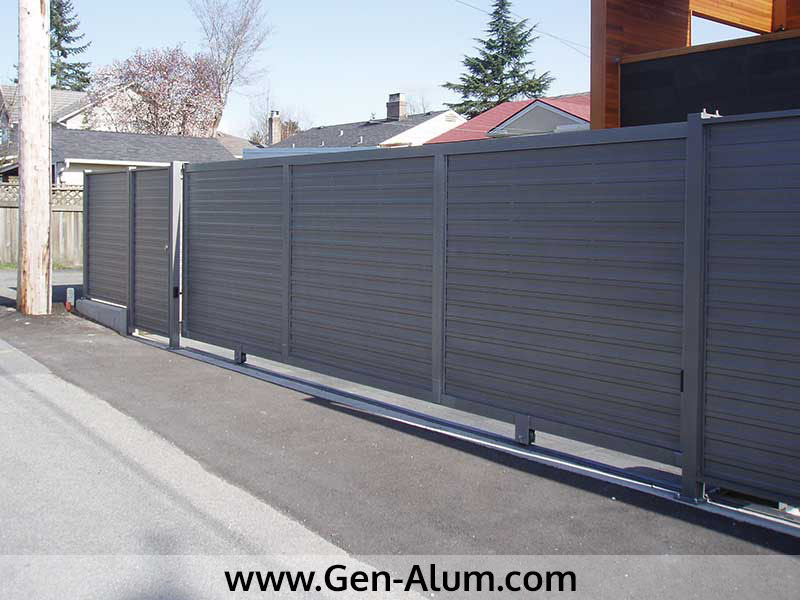 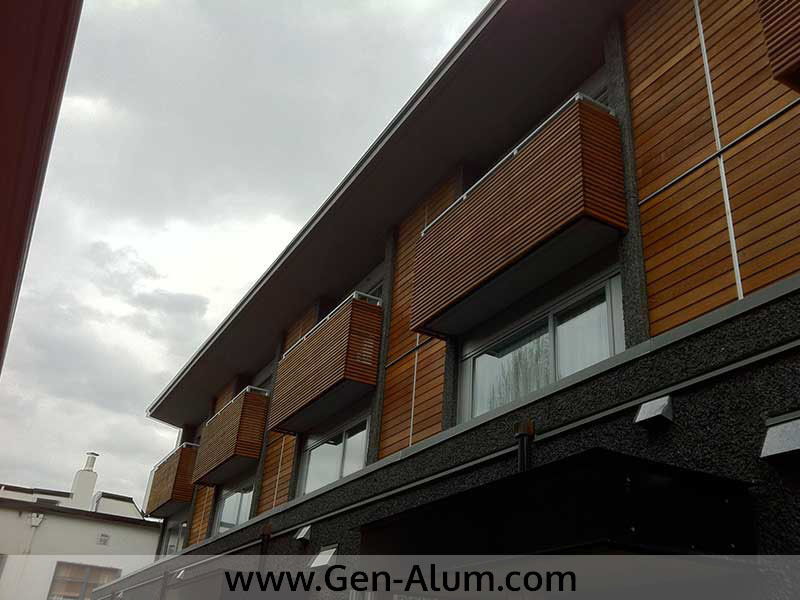 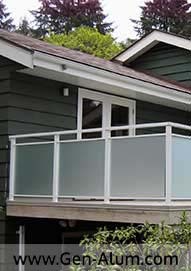 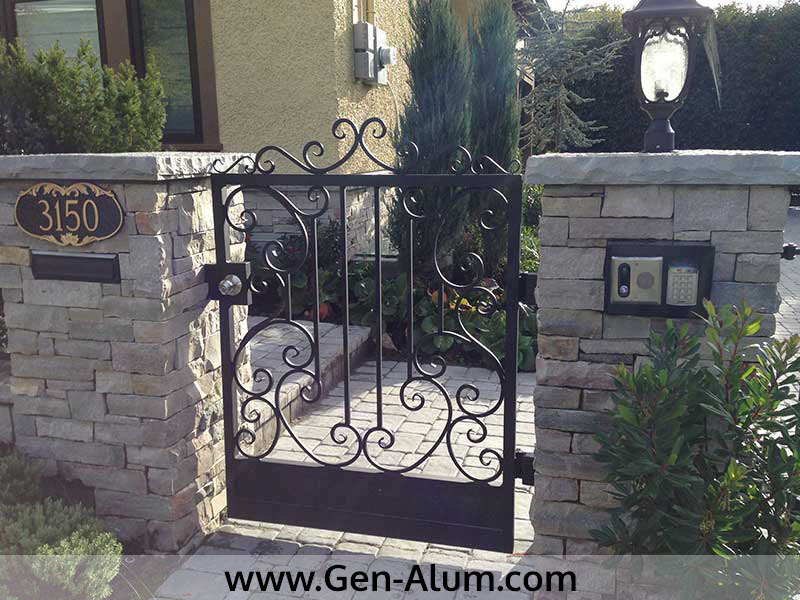 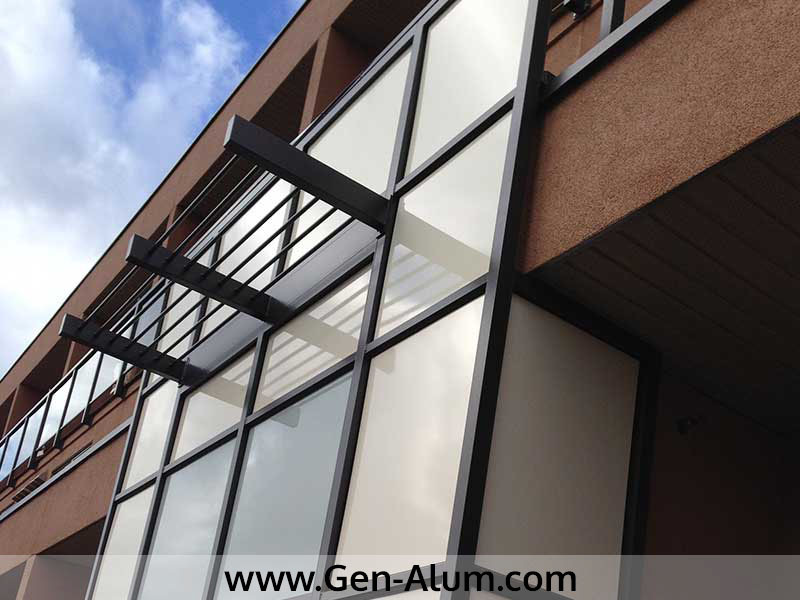 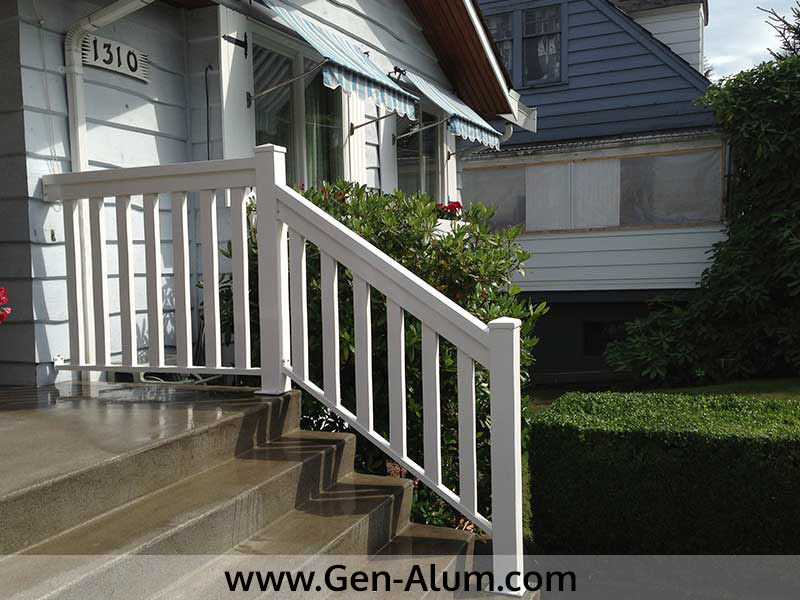 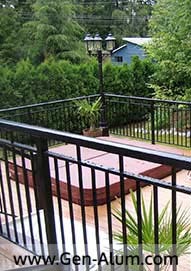 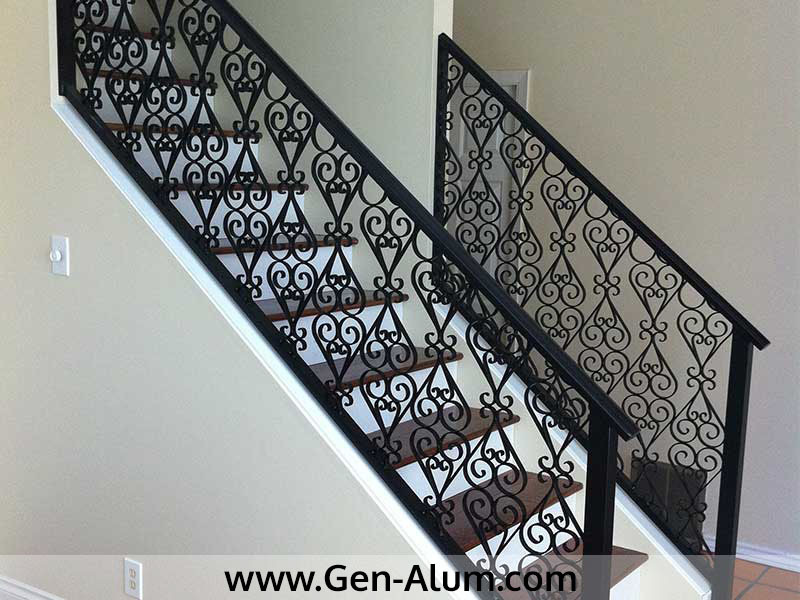 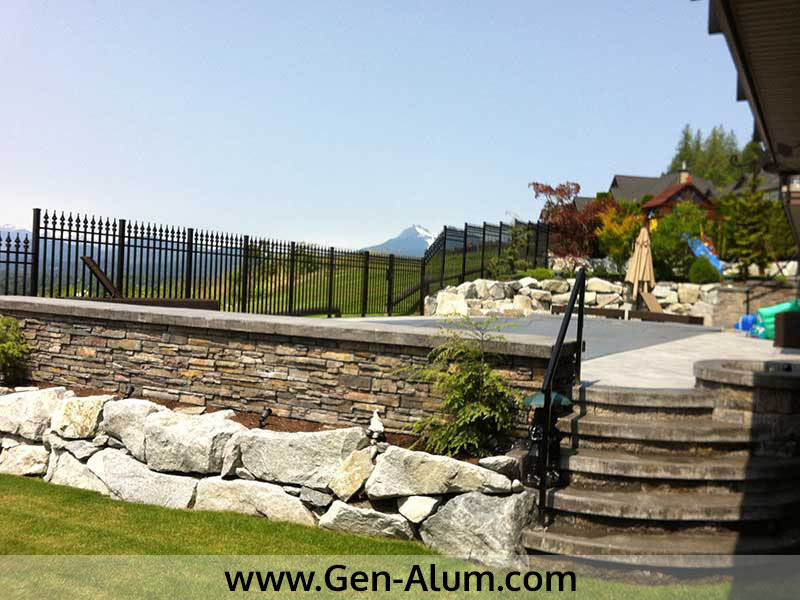 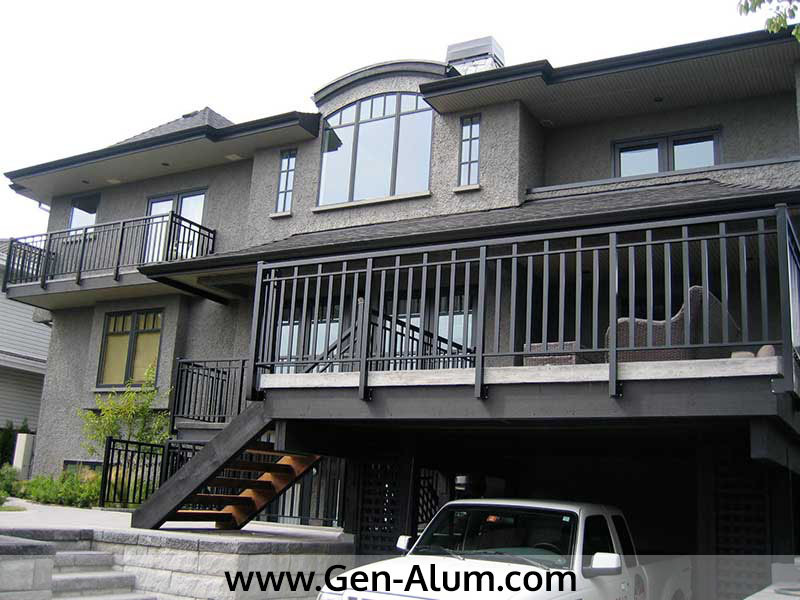 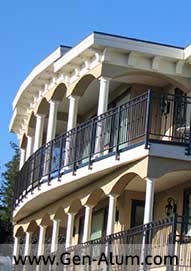 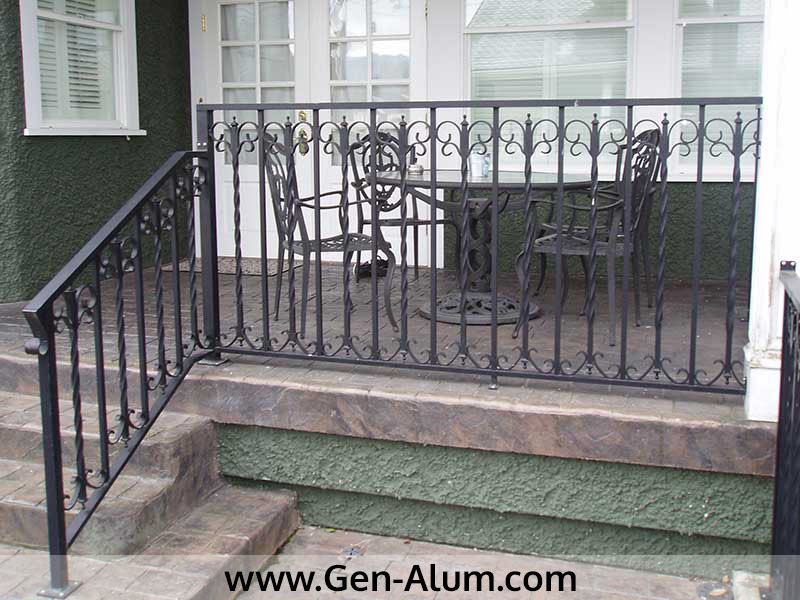 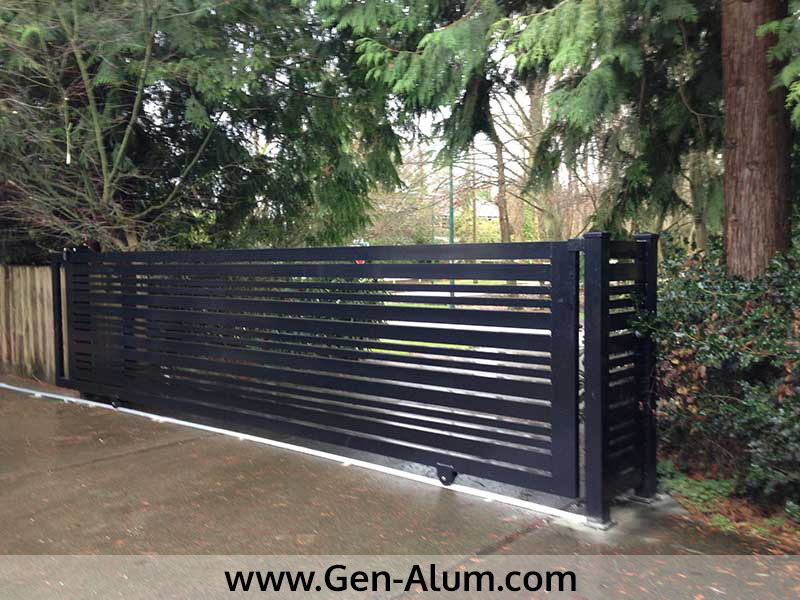 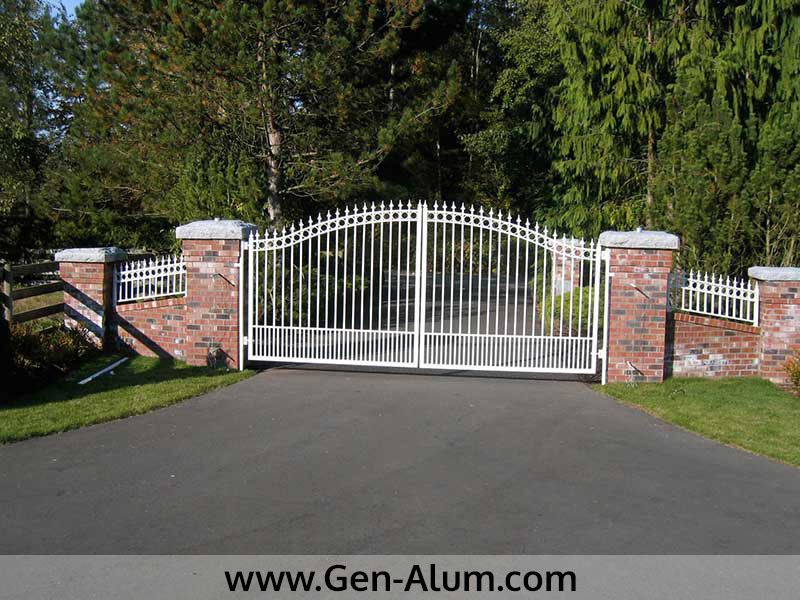 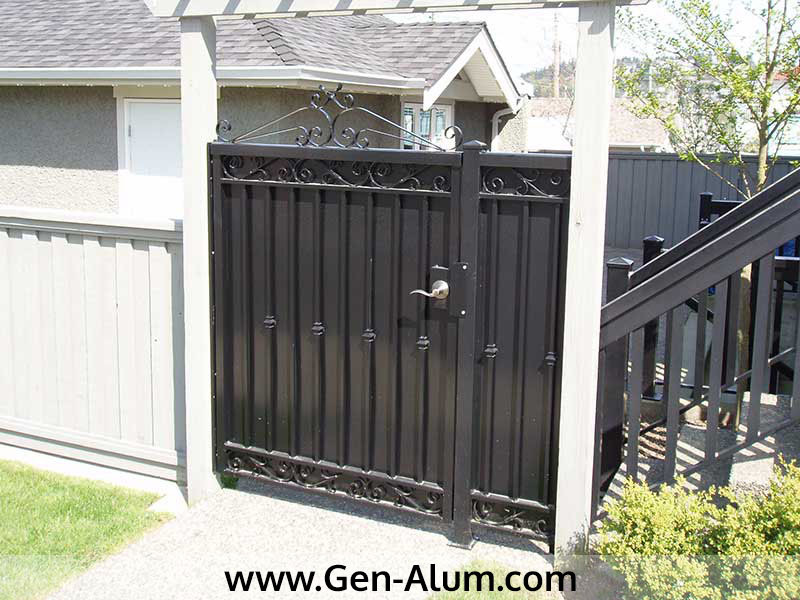 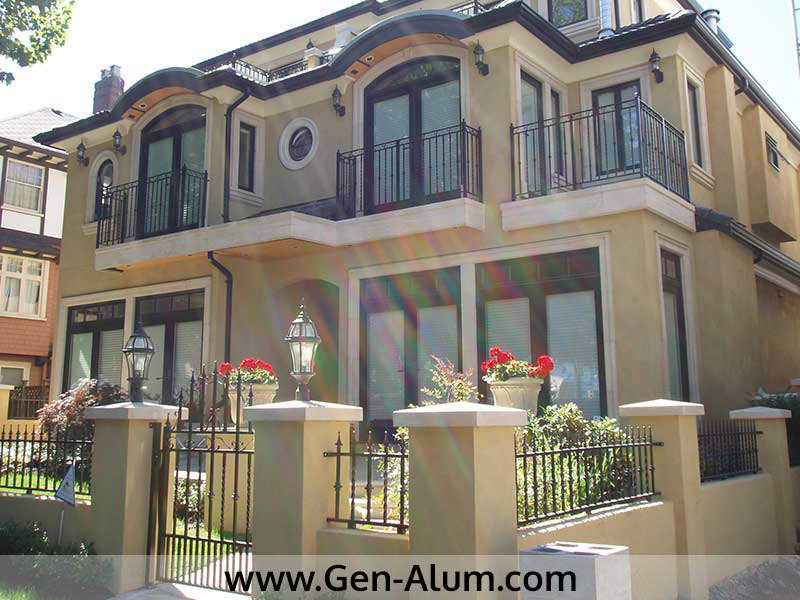 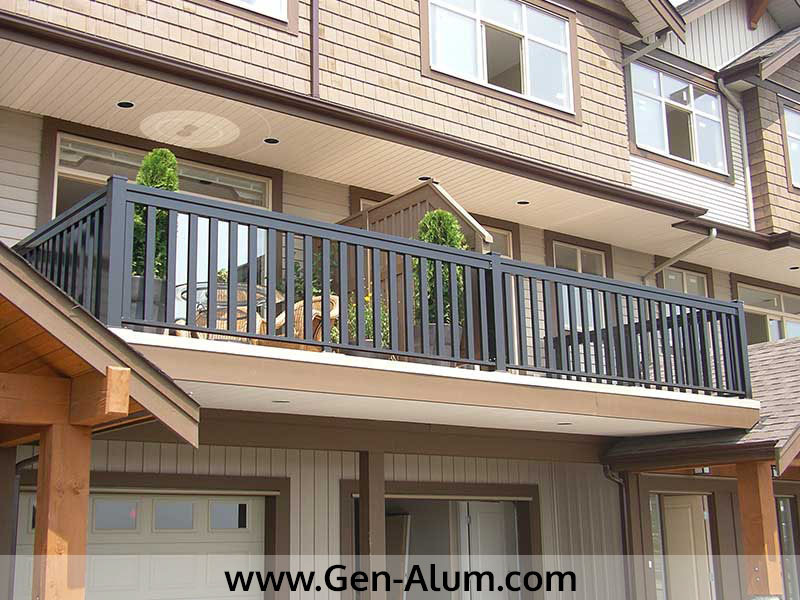 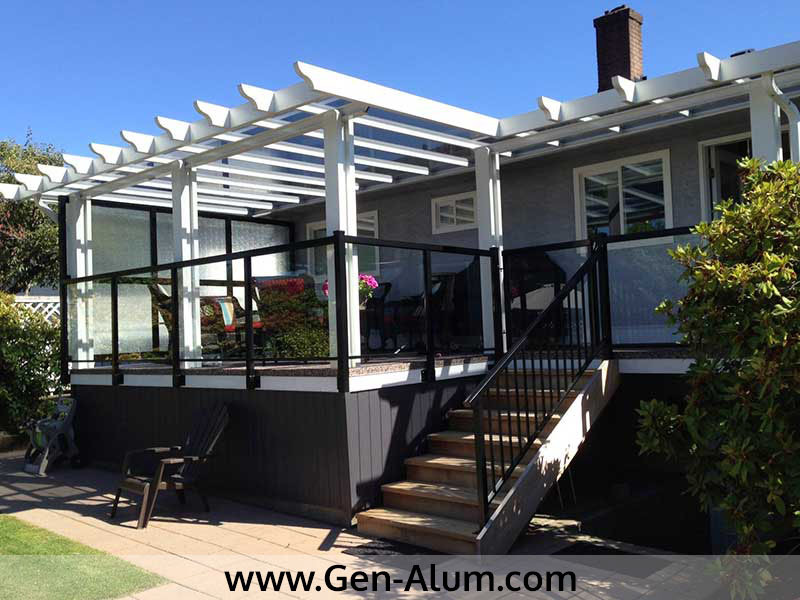 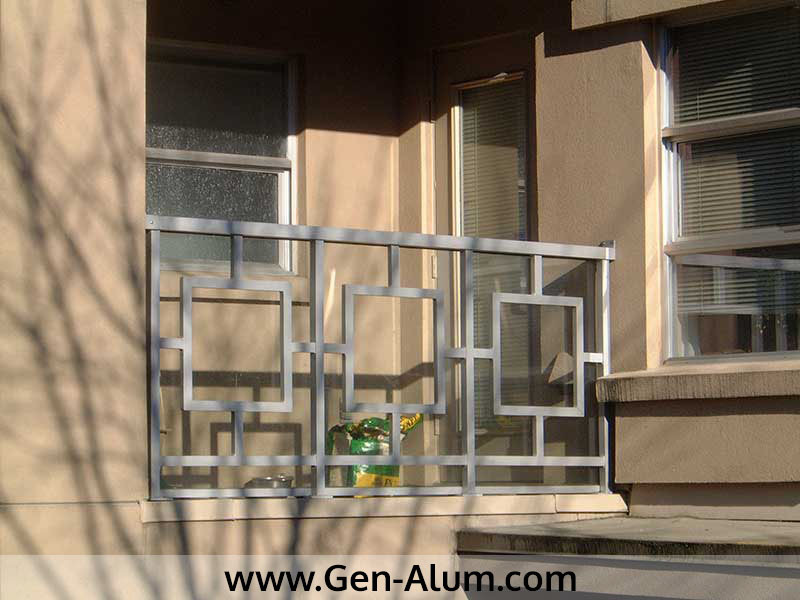 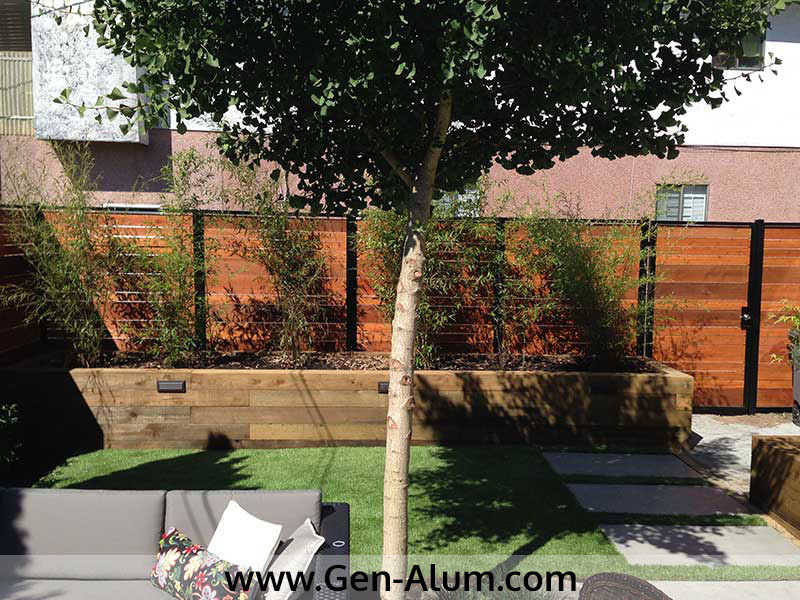 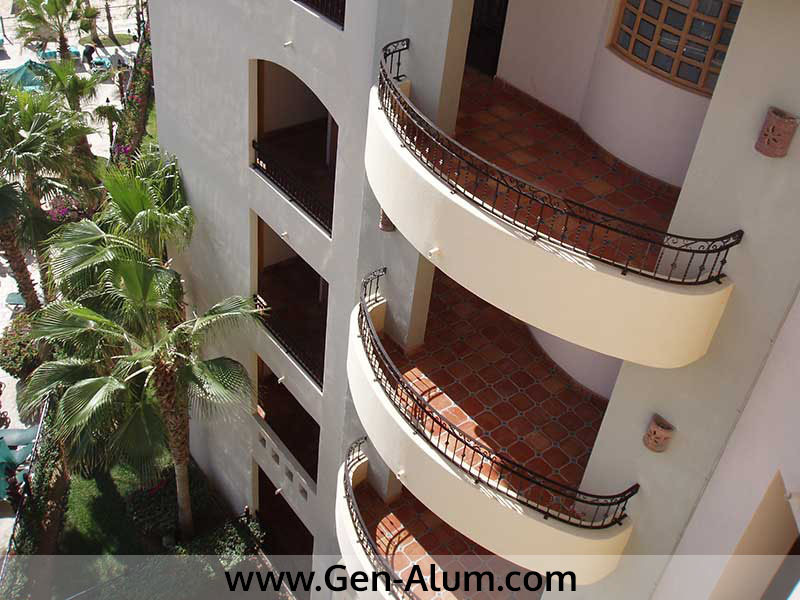 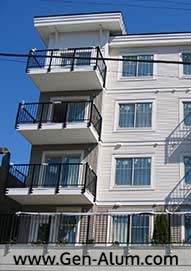 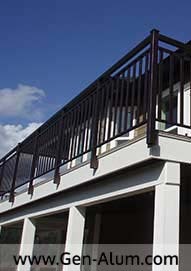 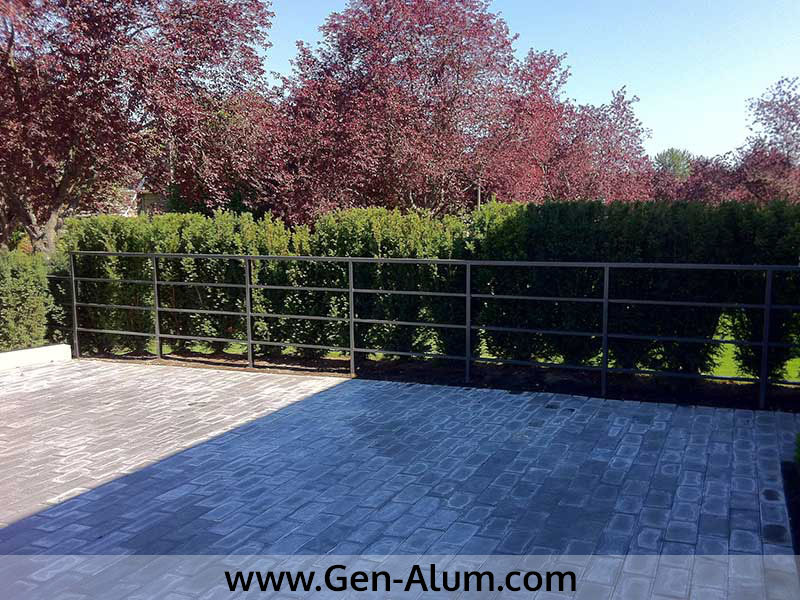 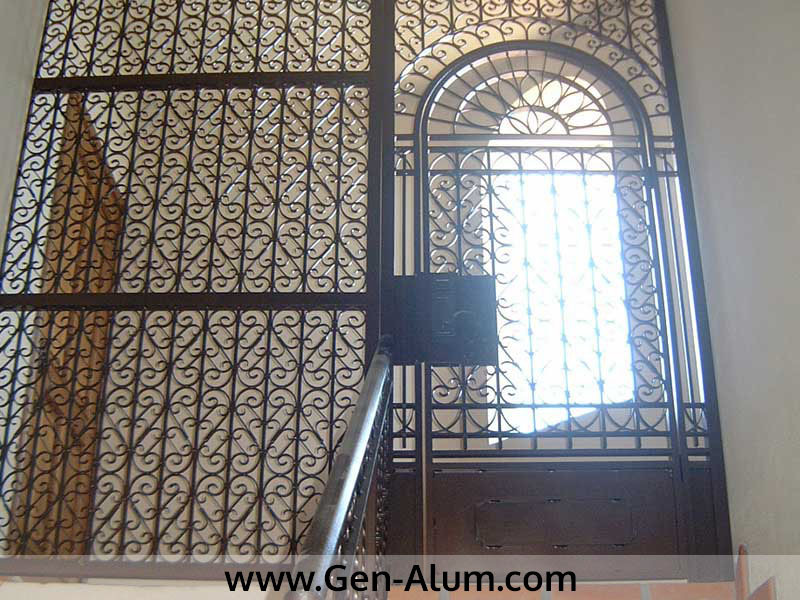 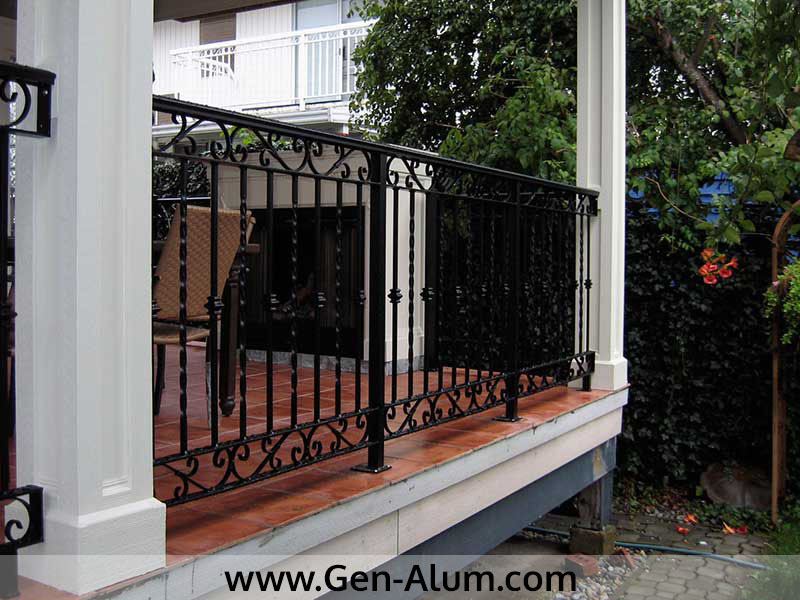 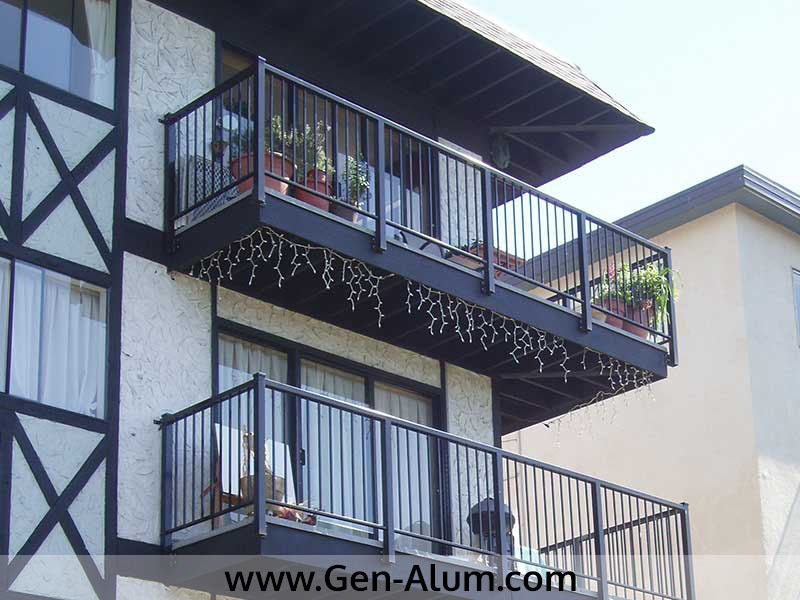 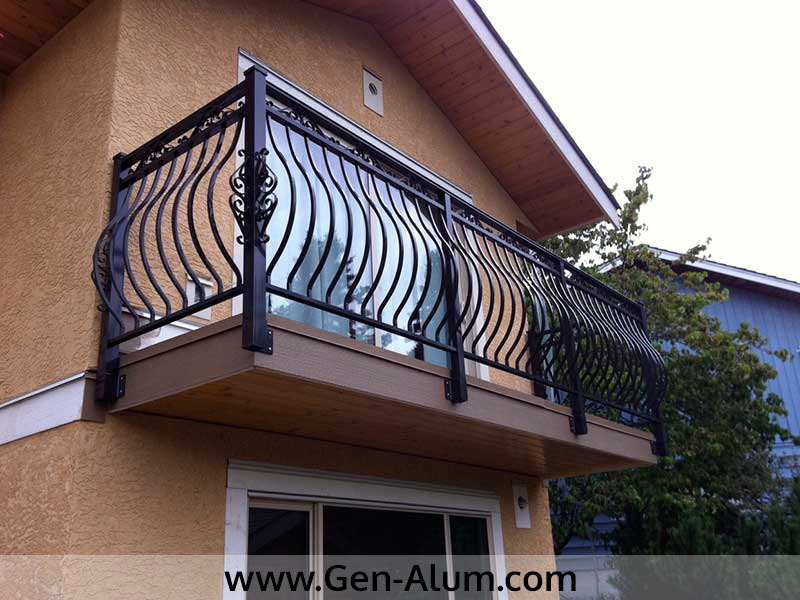 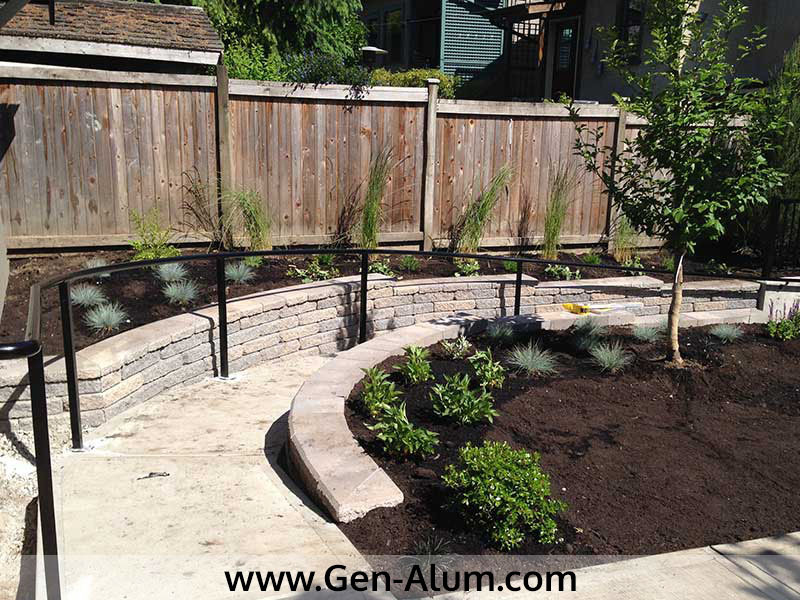 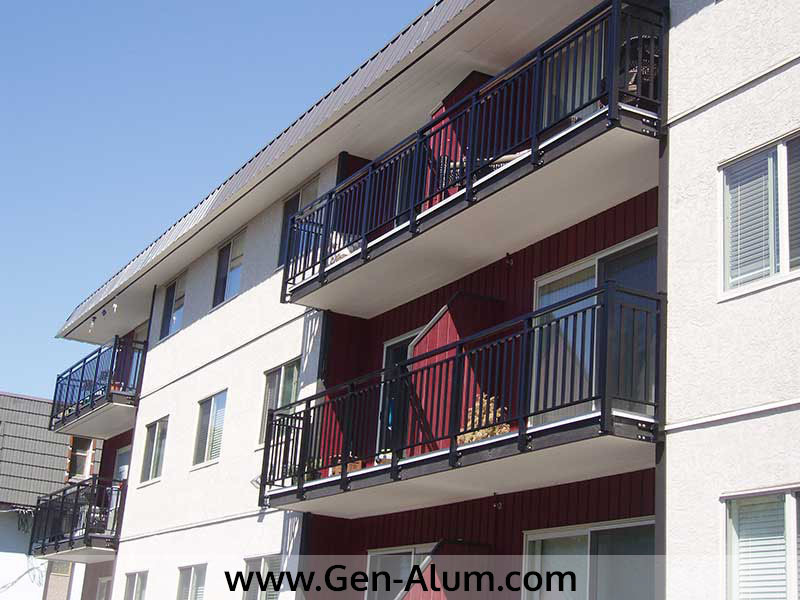 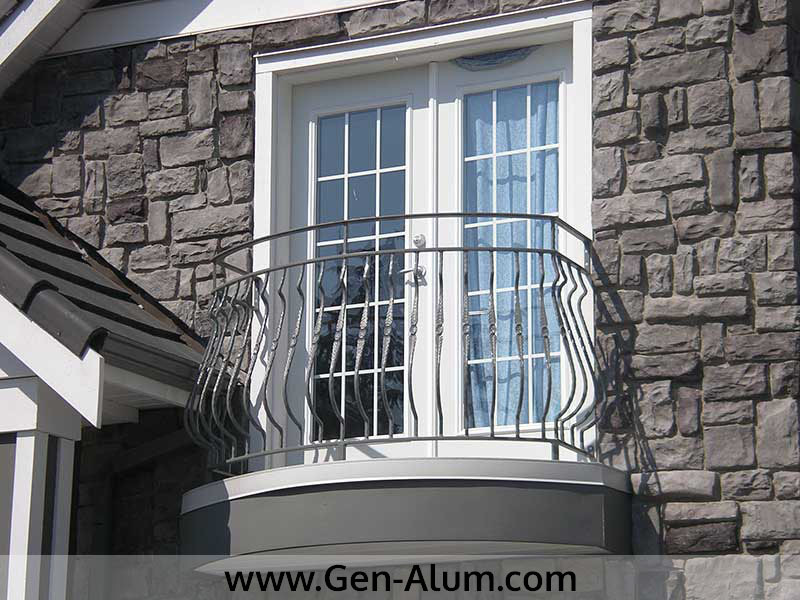 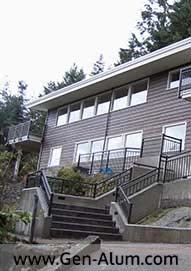 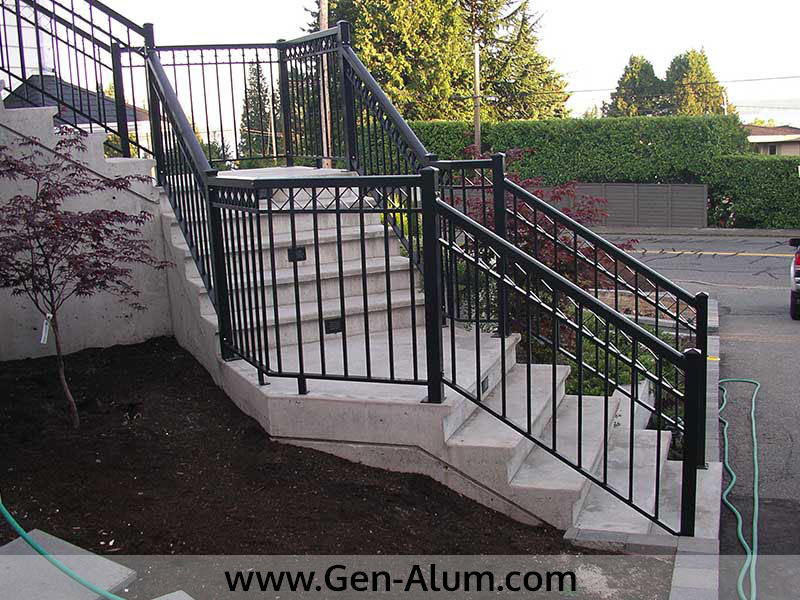 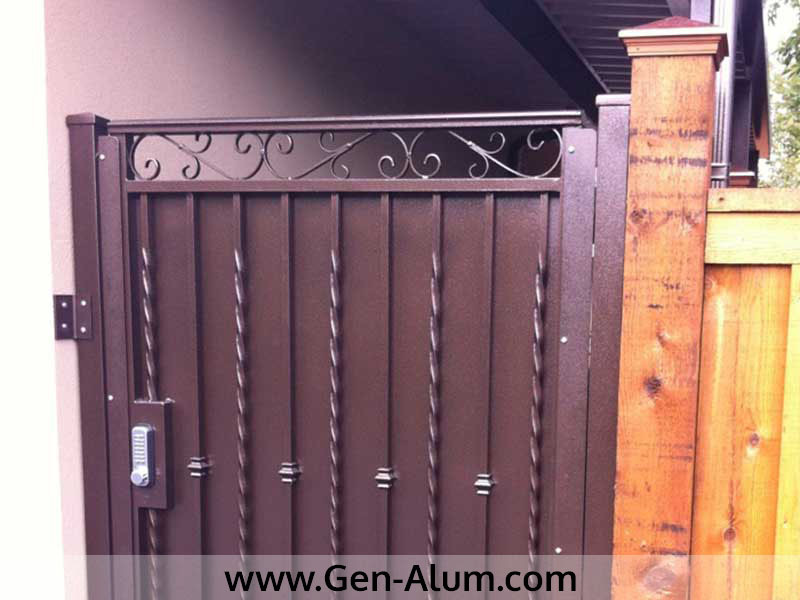 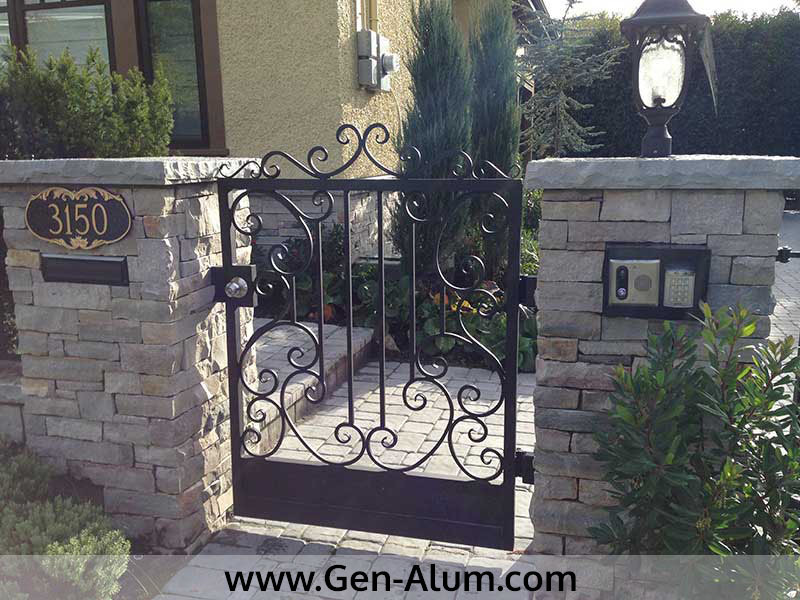 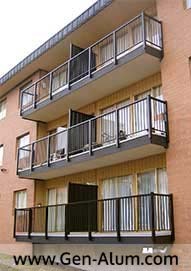 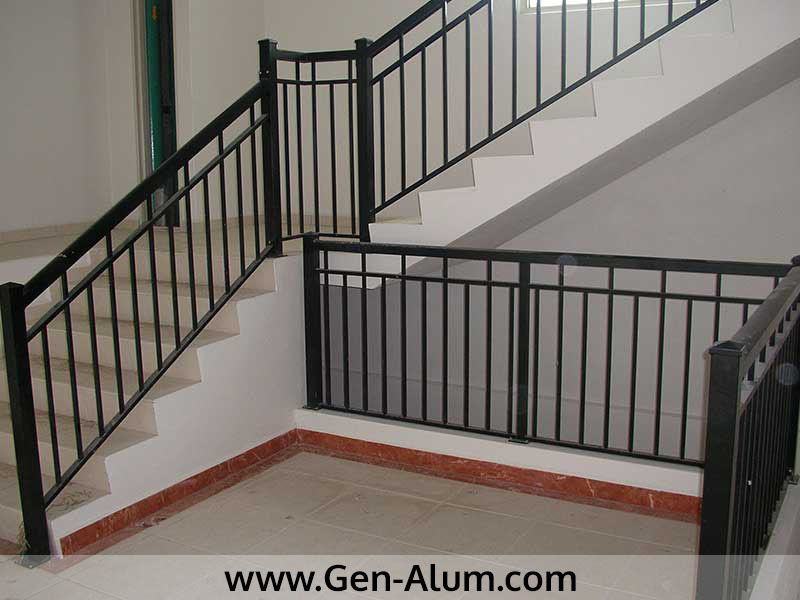 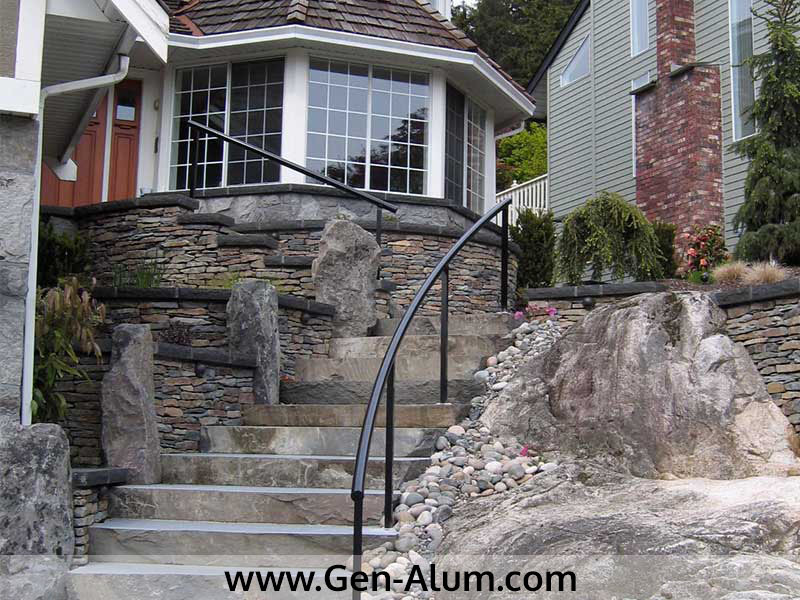 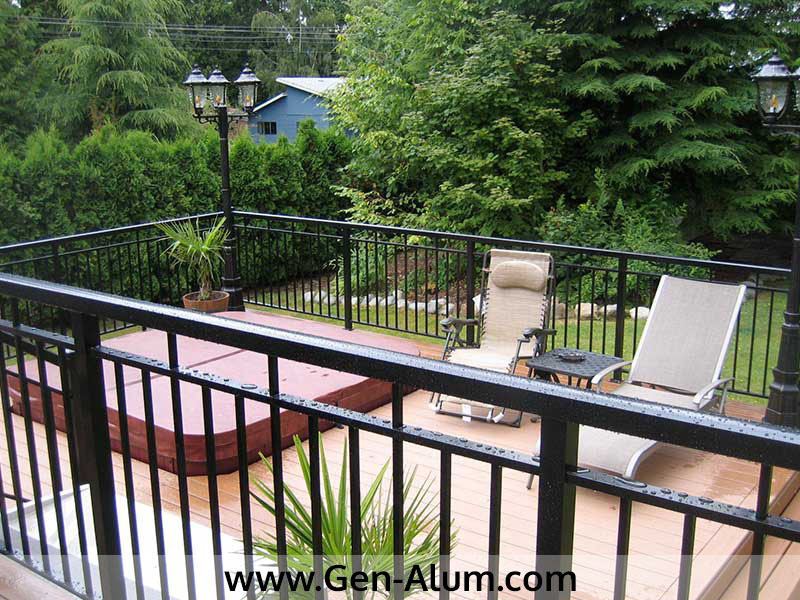 General Aluminum Railings Ltd. can provide you with complete prompt professional service. 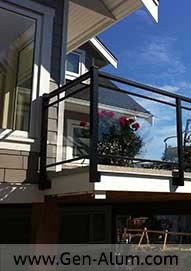 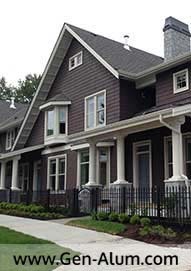 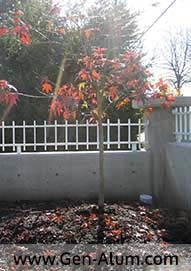 We have accurate project quotes with no surprises and highly professional installations. 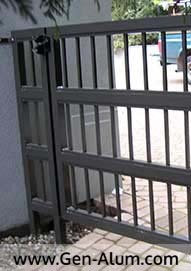 Please feel free to contact us, and we will provide you with any technical information that you should require. 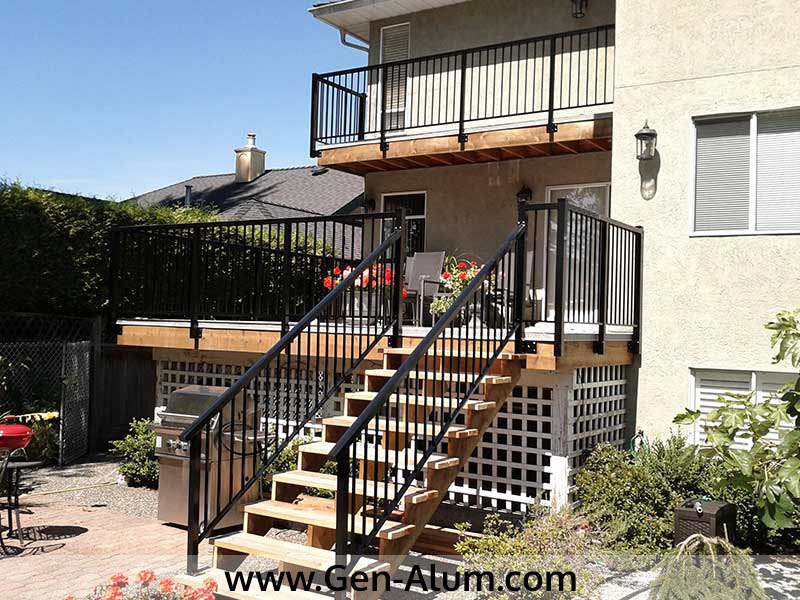 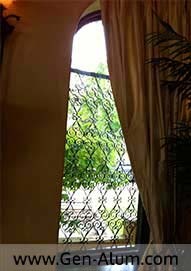 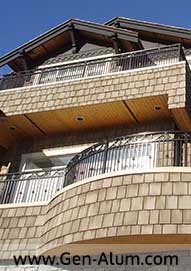 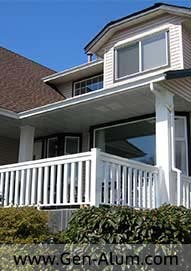 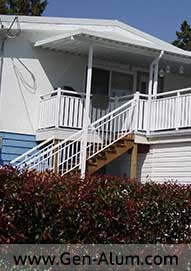 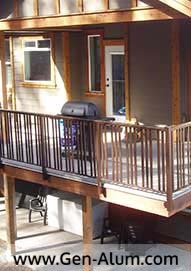 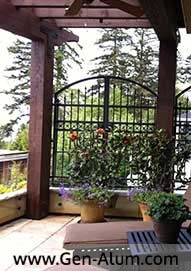 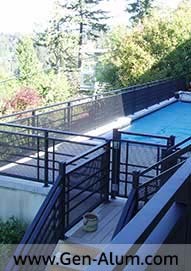 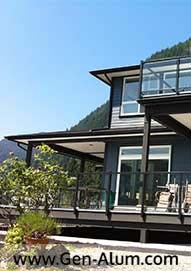 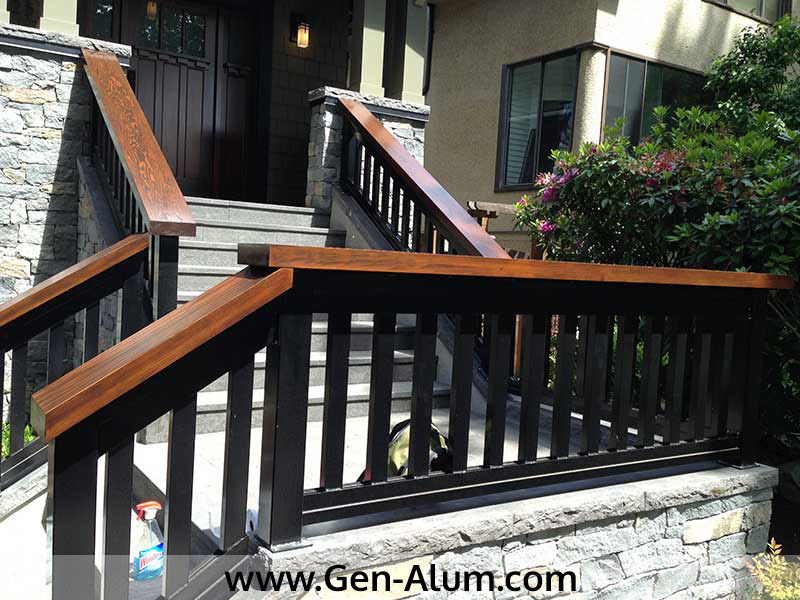 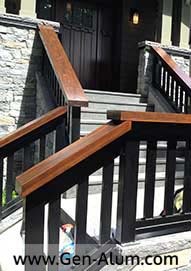 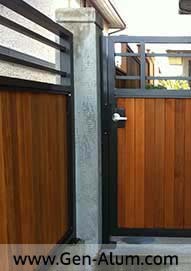 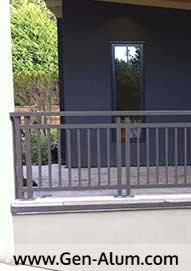 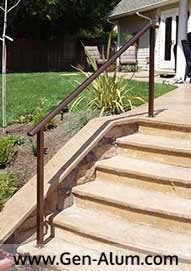 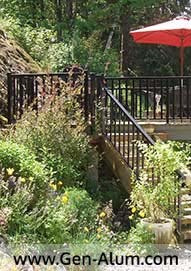 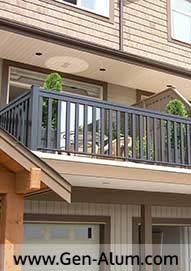 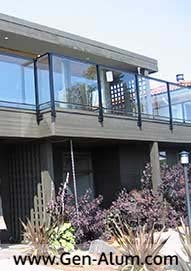 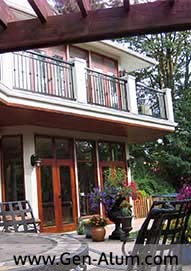 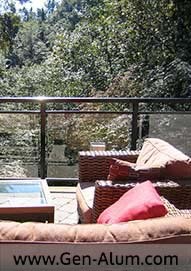 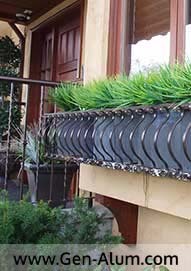 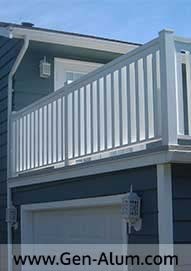 Q: Why should I go with Aluminum Railing instead of Wood or Steel Railing? 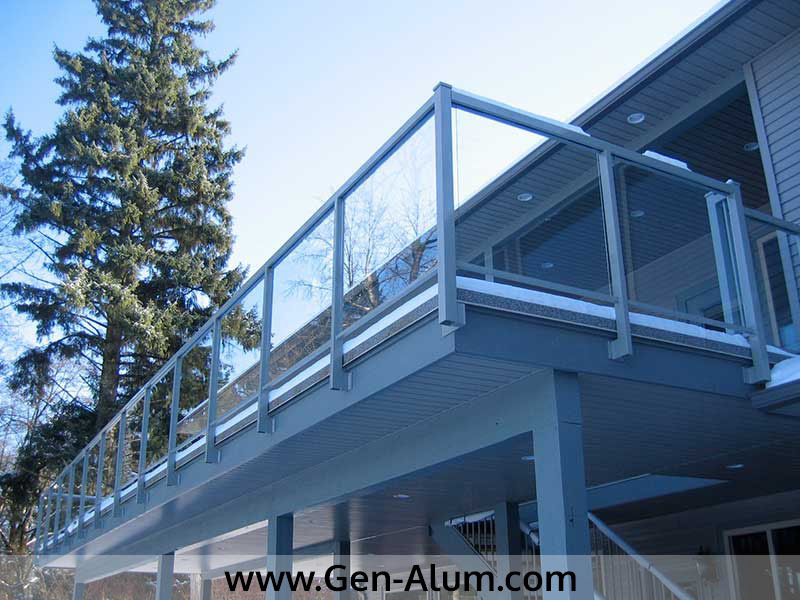 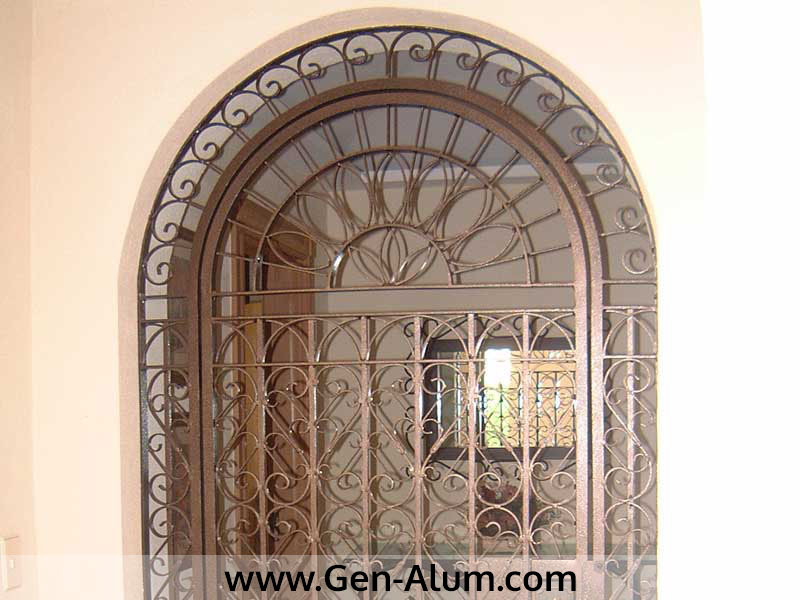 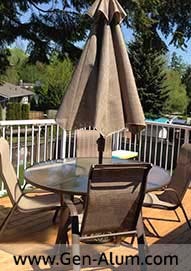 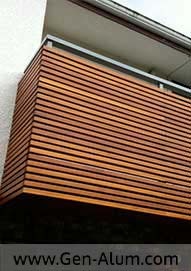 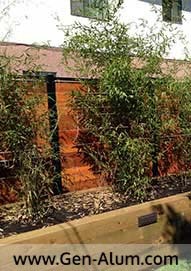 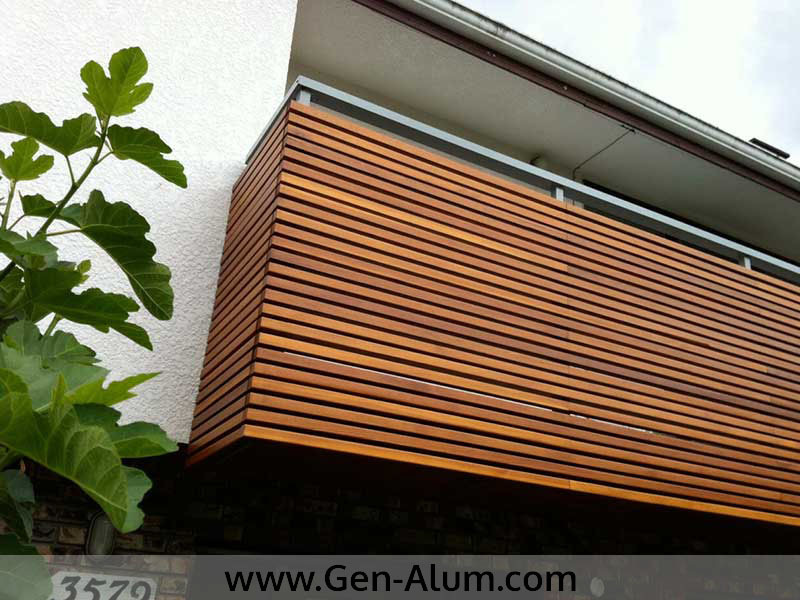 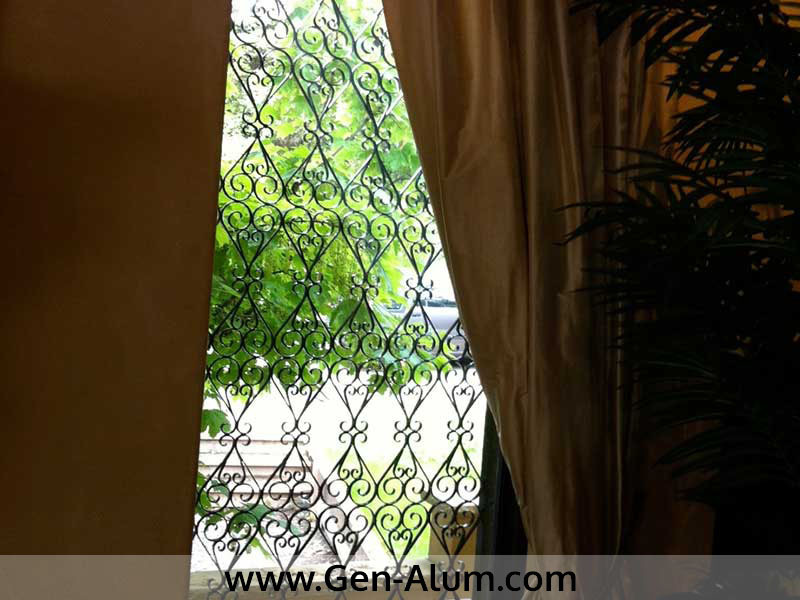 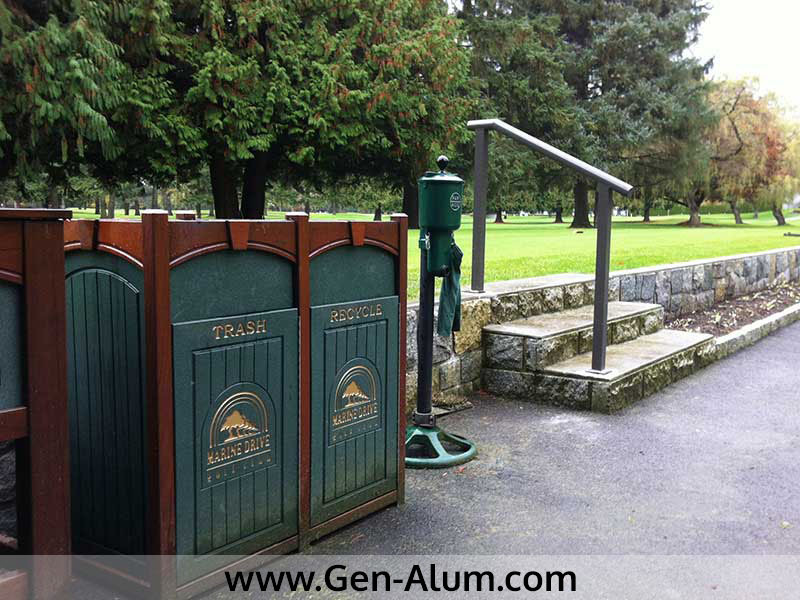 A: Aluminum is Low maintenance, It will NEVER rust or rot. 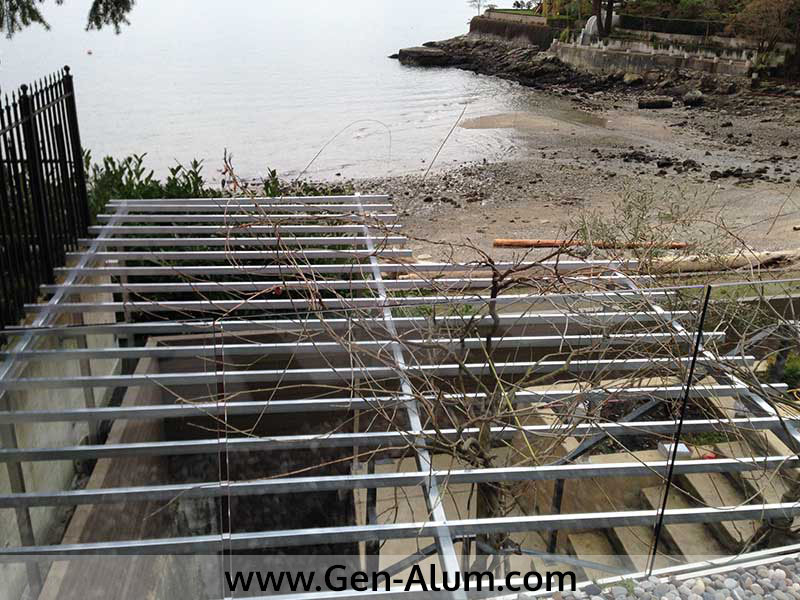 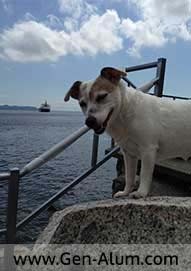 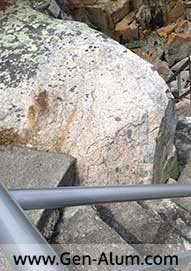 We also use all stainless steel anchors. 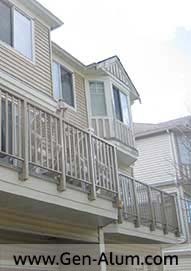 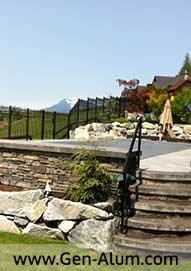 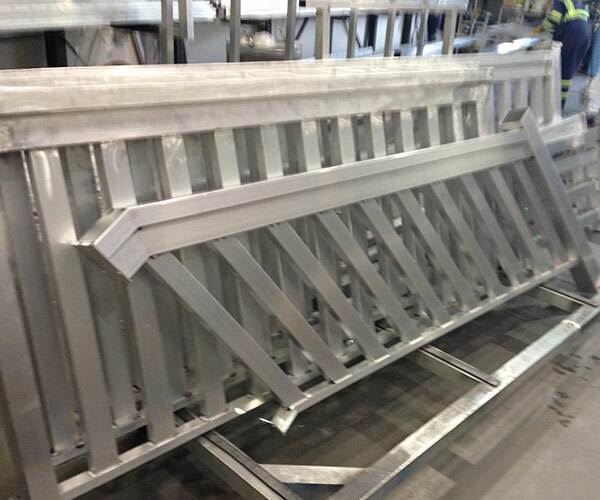 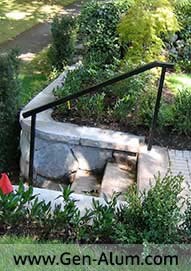 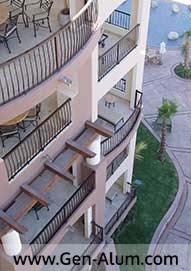 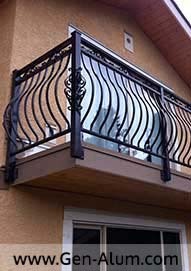 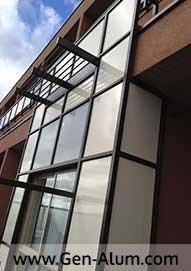 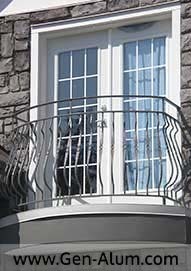 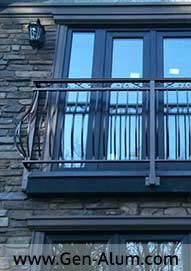 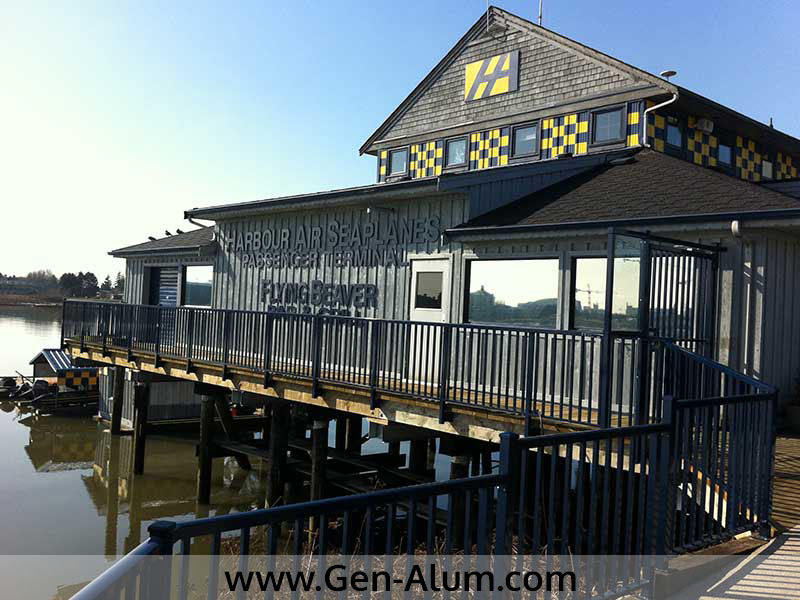 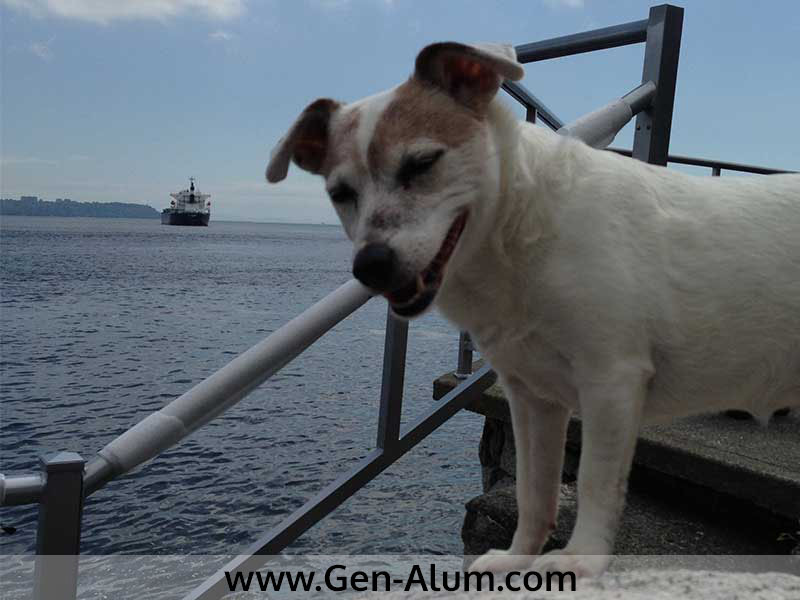 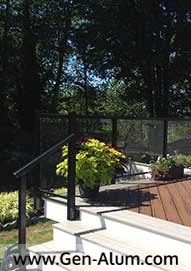 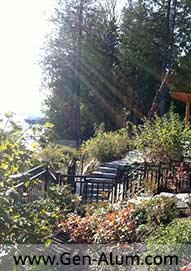 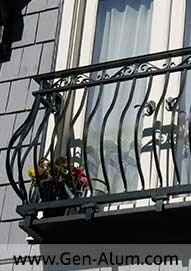 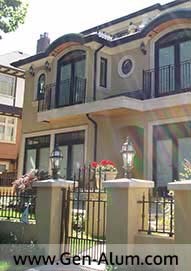 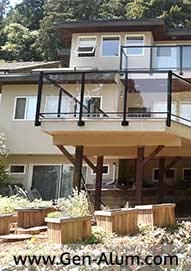 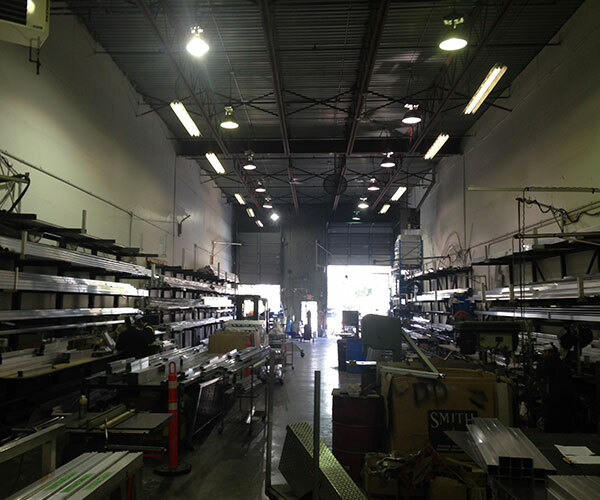 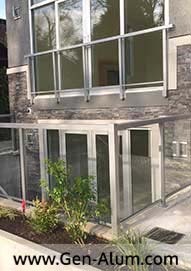 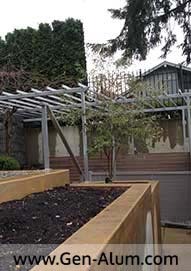 Q: How Long does it take to custom fabricate aluminum railing? 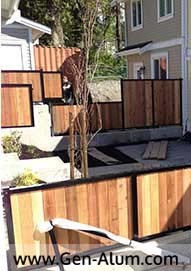 Q: Does the installation take long?